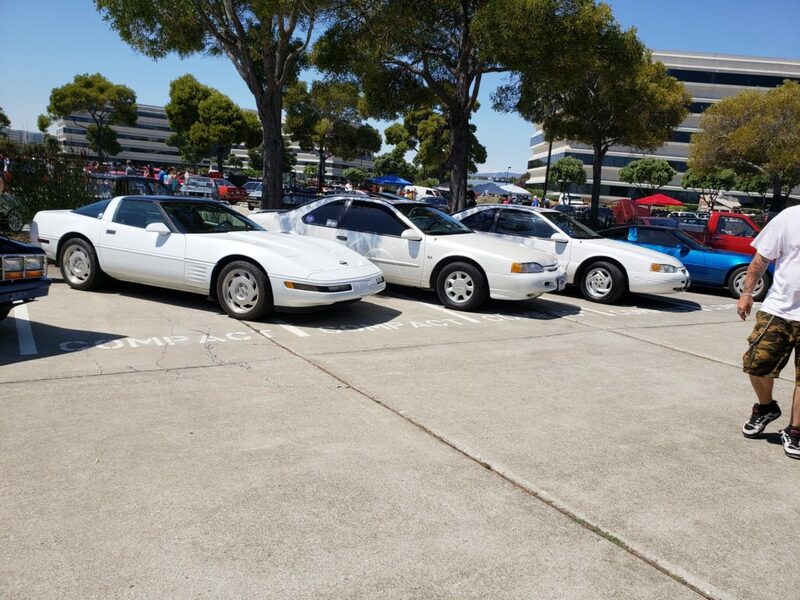 I’ve always been into car shows. 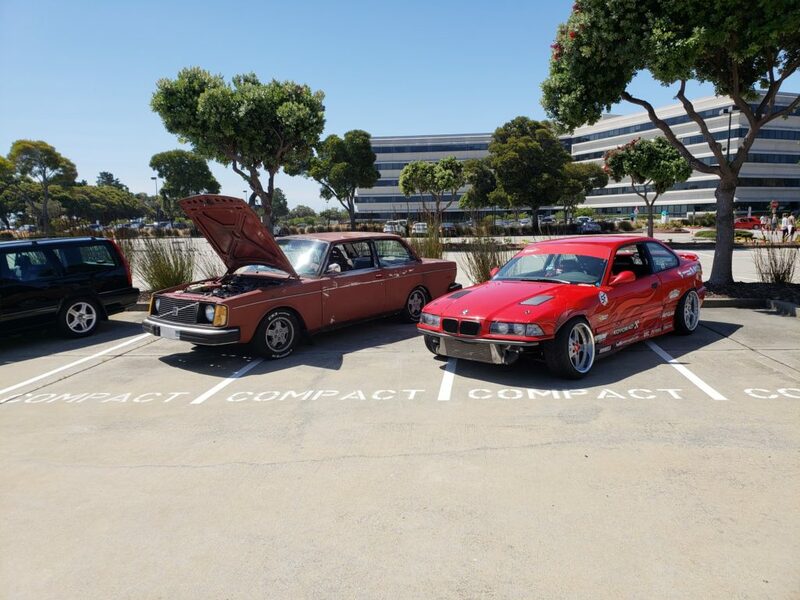 They are my primary interests in cars. 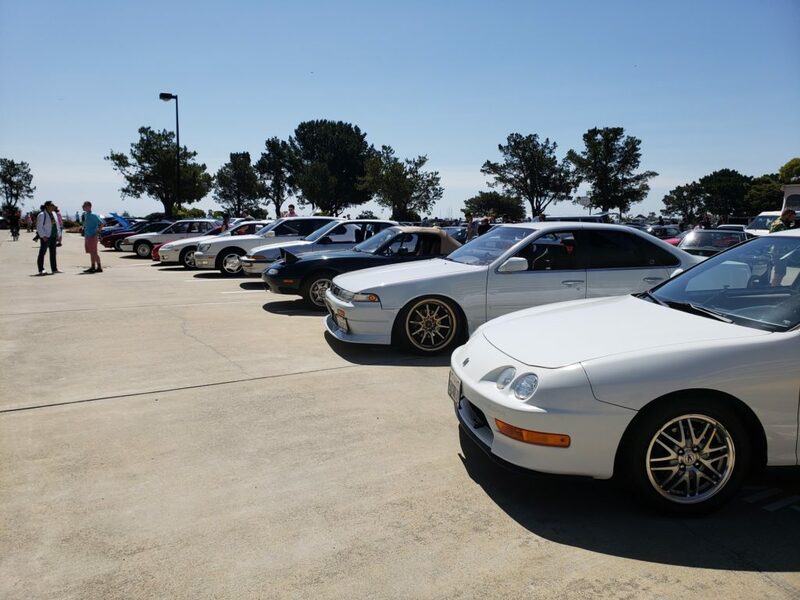 When I lived in Seattle in the late 90s, early 2000s, I drove to Southern California for Hot Import Nights, Import Showoff and other events. 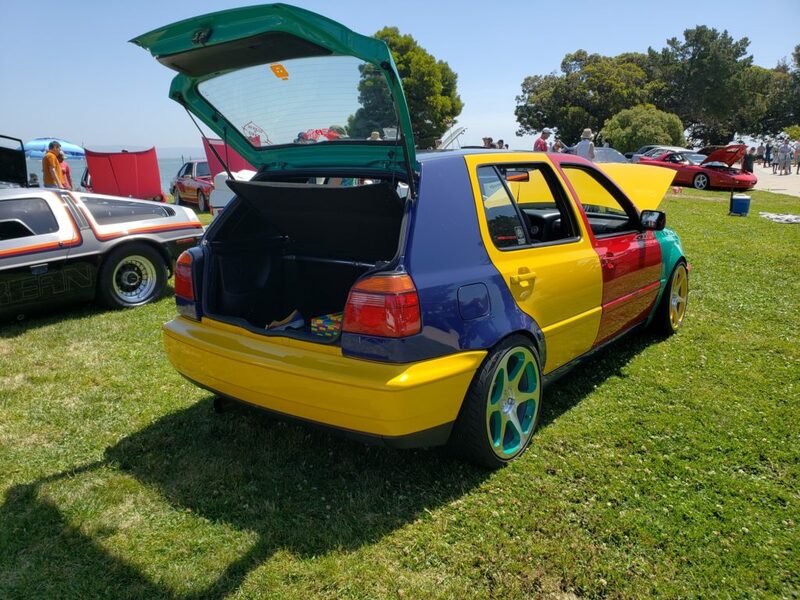 It has always been a goal to show something unique and interesting. 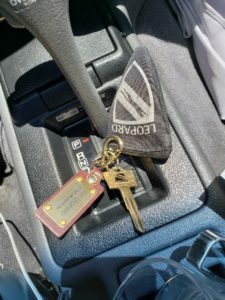 While has always been a goal, I never thought I’d ever get to that level because it just seems there were too many barriers. 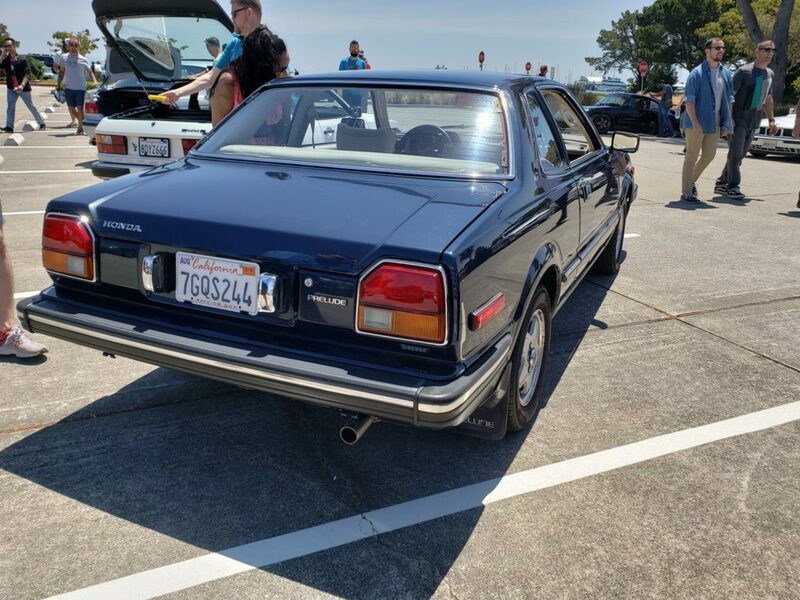 I like older, obscure cars and with my Infiniti M30, it just seems fleeting to think it would be good enough for a show. 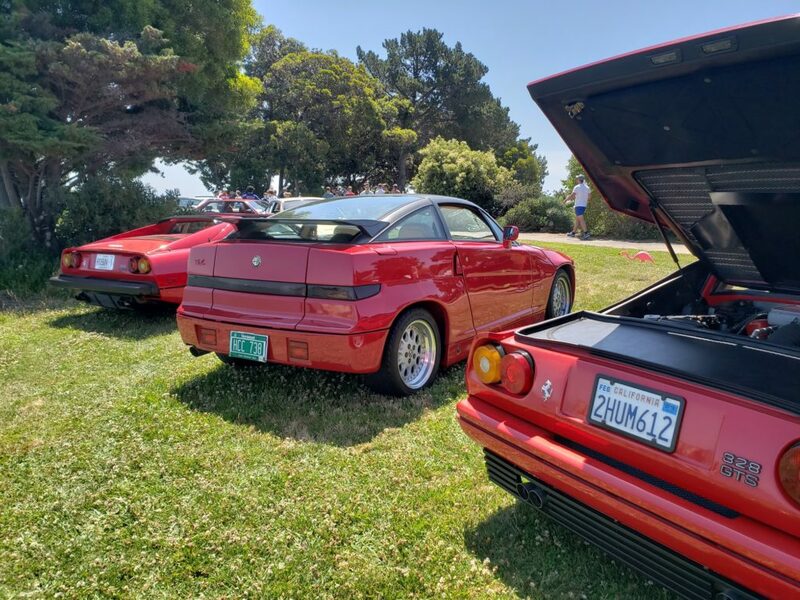 Nowadays, it has been about swaps, stancing cars and modernizing older cars such has having LED tail lights or retrofitted headlights. 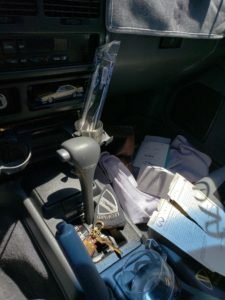 My car has none of those items and won’t go down that path. 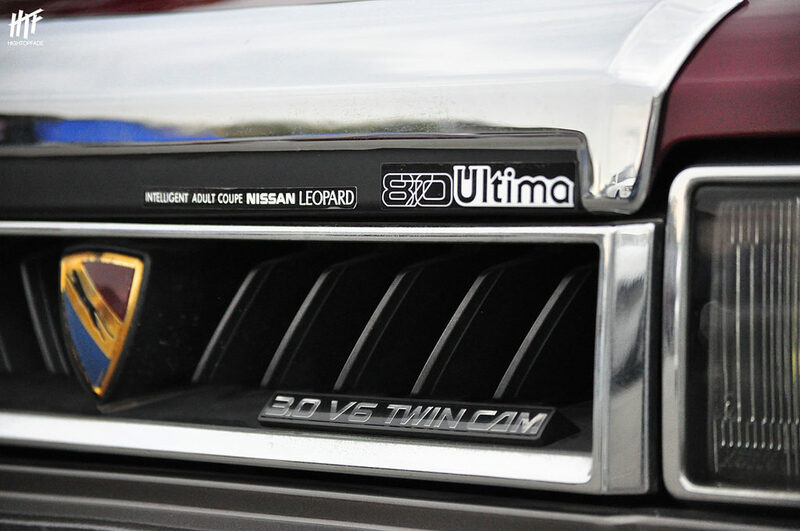 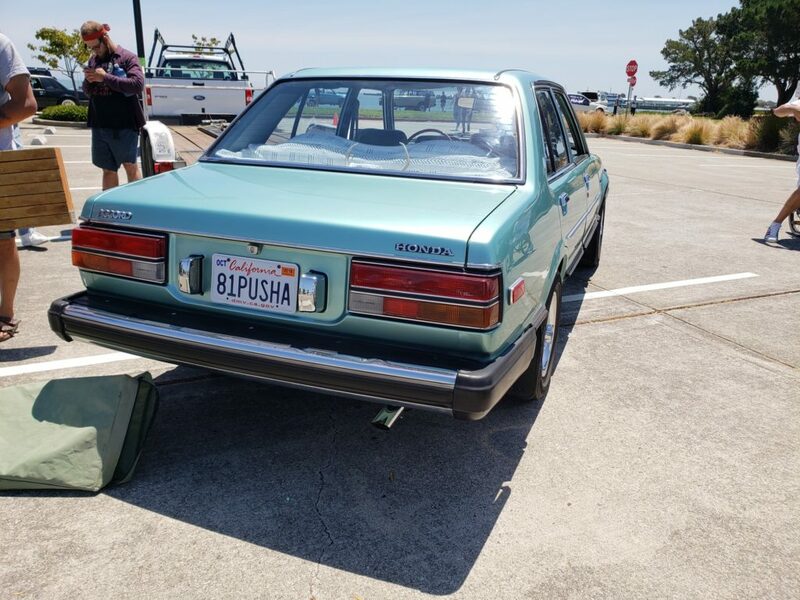 I wanted my M30 to be era correct and with OEM Nissan parts as much as possible. 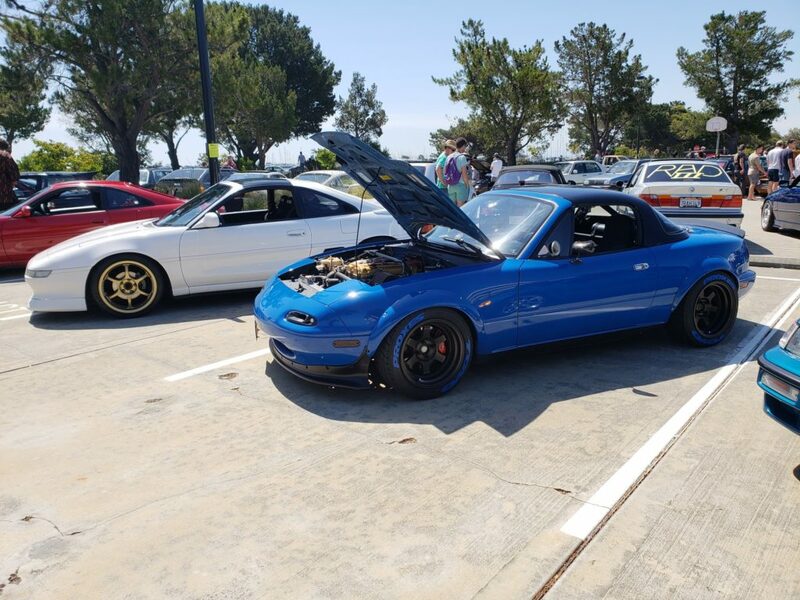 Working 6 days a week, my time has been limited to work on my cars. 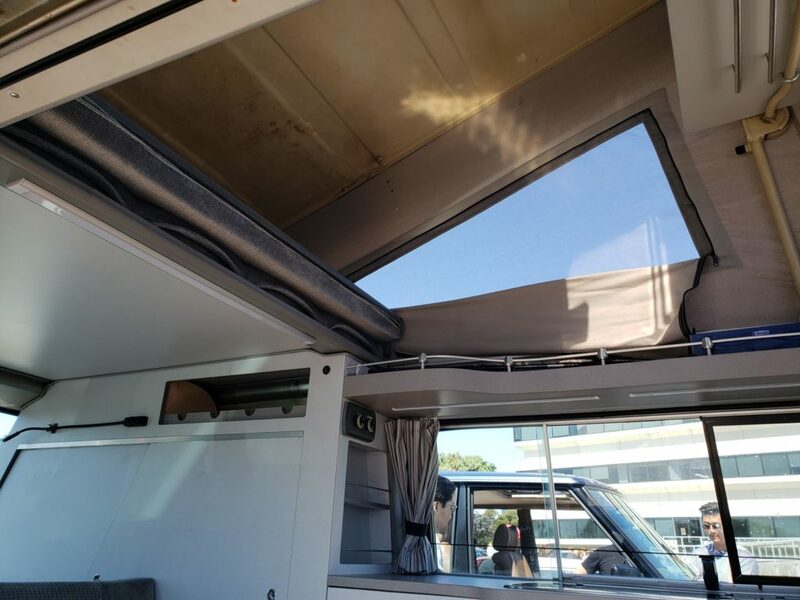 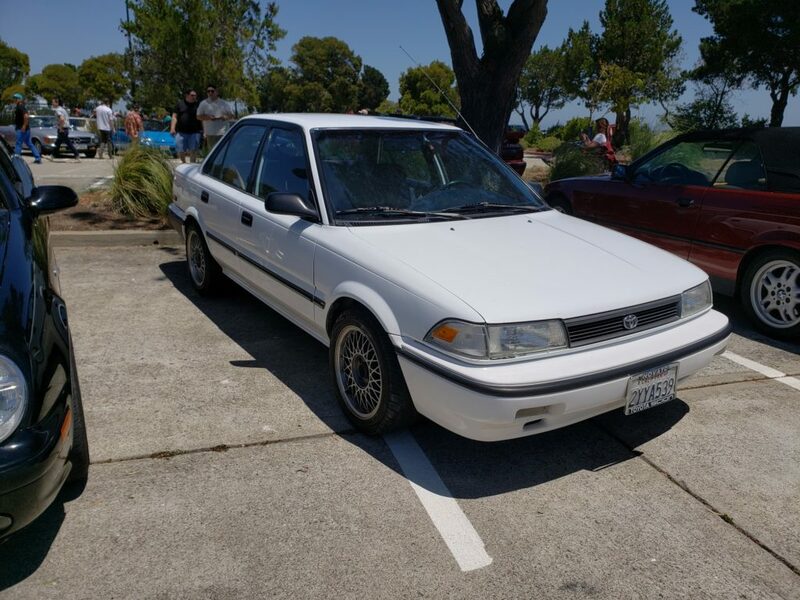 I’ve been slowing doing small projects and changes to my M30. 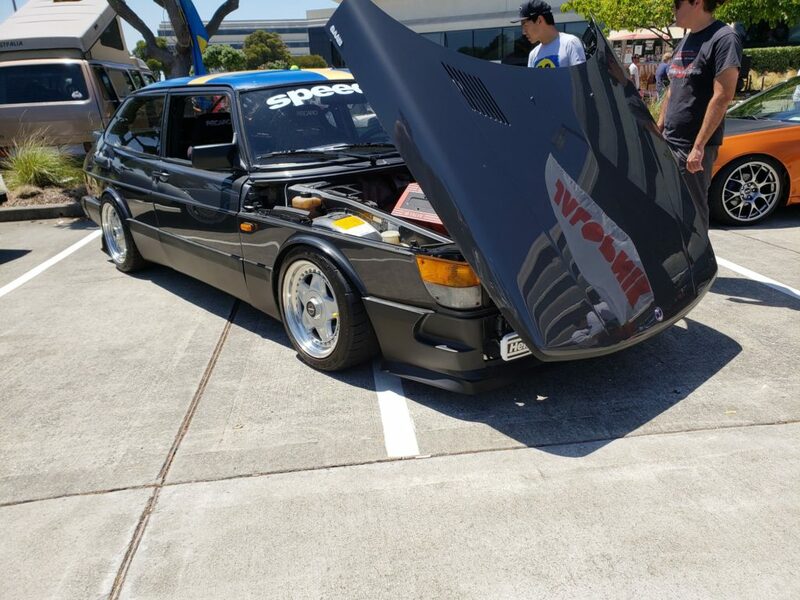 Then one of my good friends online (Tajamul) kinda put the idea in front of me. 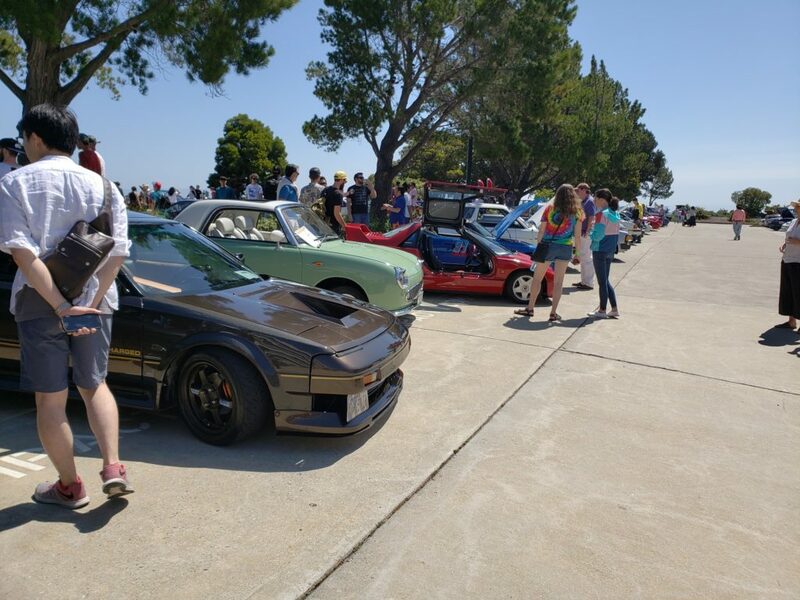 “You should show your car at RADwood!” He said. 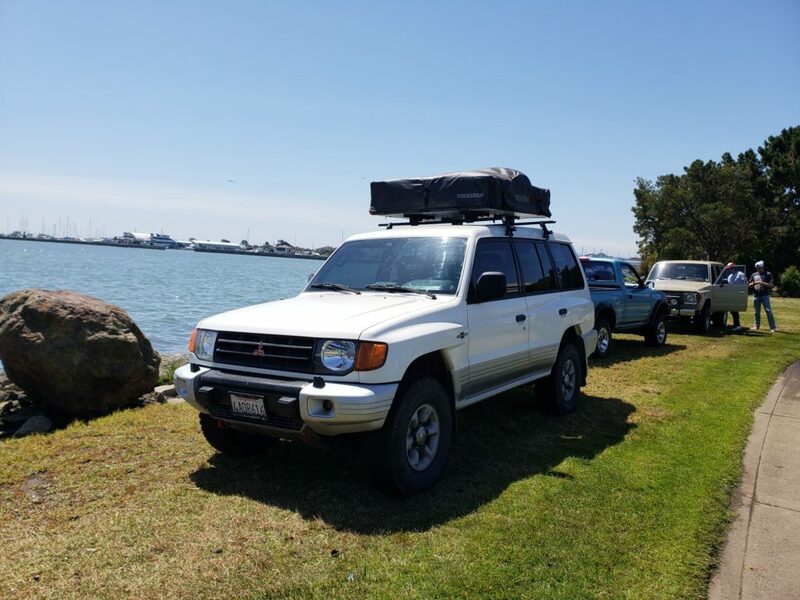 My reply was, “Well, I still got a lot to do and I think I am working that day.” I thought it was on a Saturday (I typically work Saturdays). 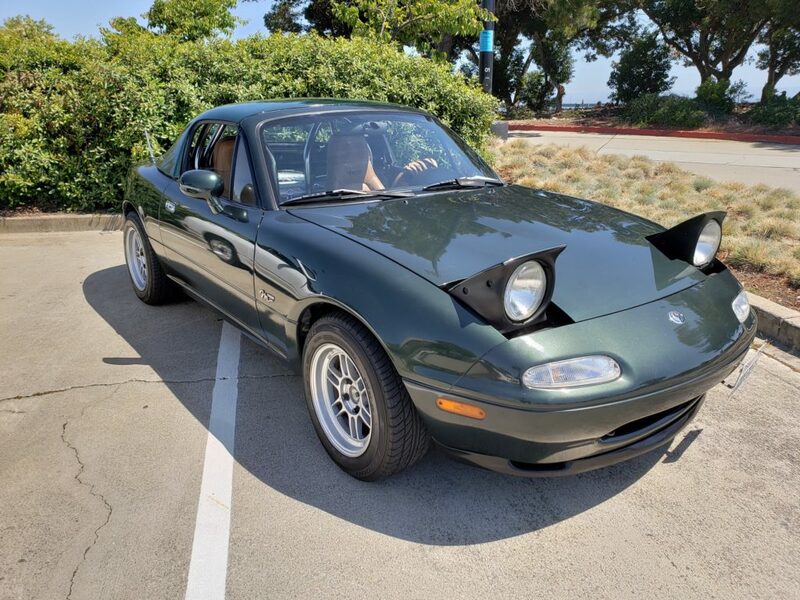 Wednesday comes around and I was looking at everything and decided, “Maybe I should show”. 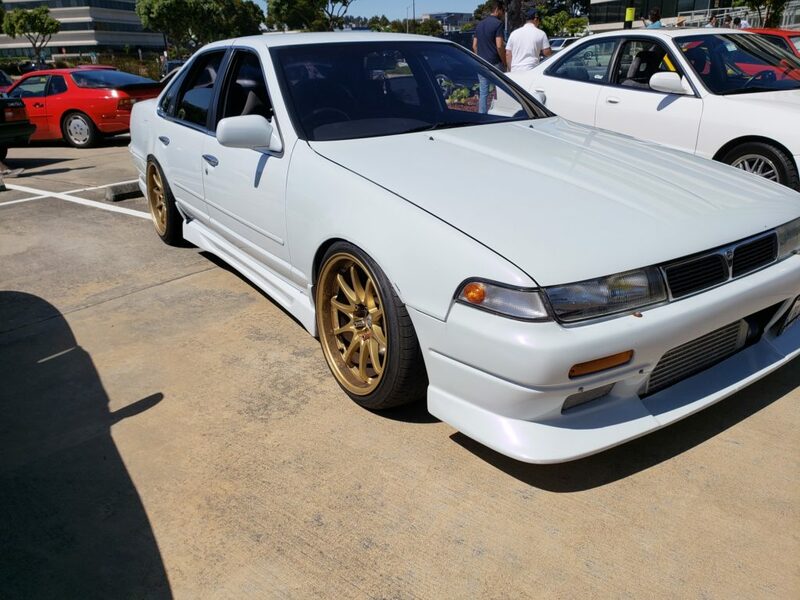 I had a few things I needed to do, such was swapping my corner lamps, fix and paint my side skirts and rear valance. 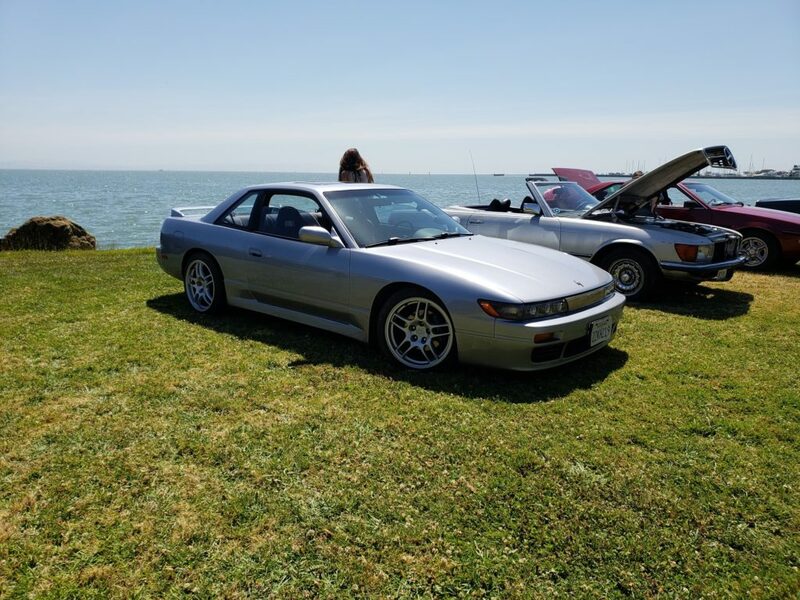 I took them off and posted on Instagram how naked my M30 feels without those pieces. 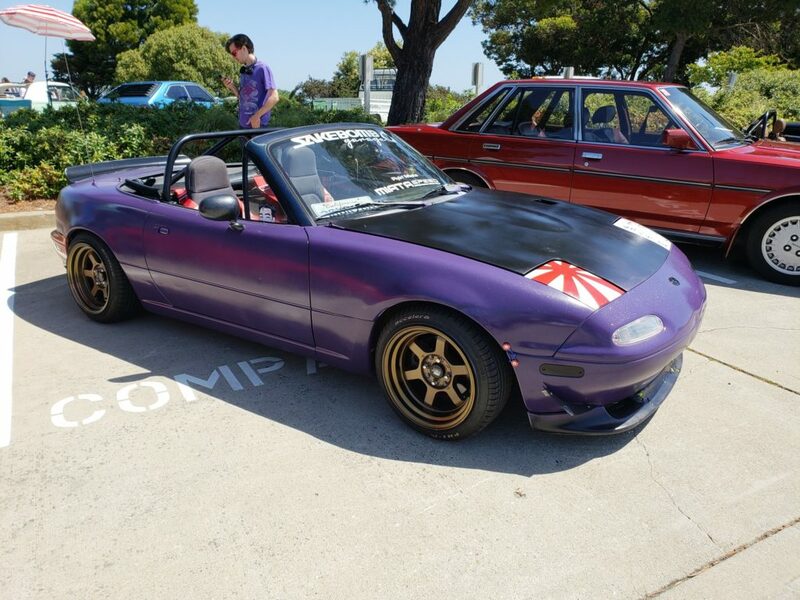 Only left was the front lip and it is painted closely to match. 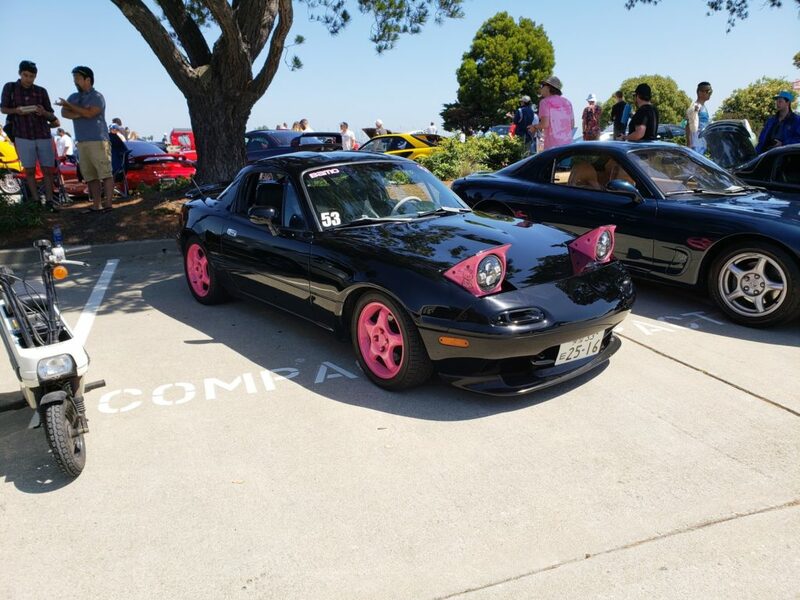 All my Japanese leopard friends told me that is the right style! 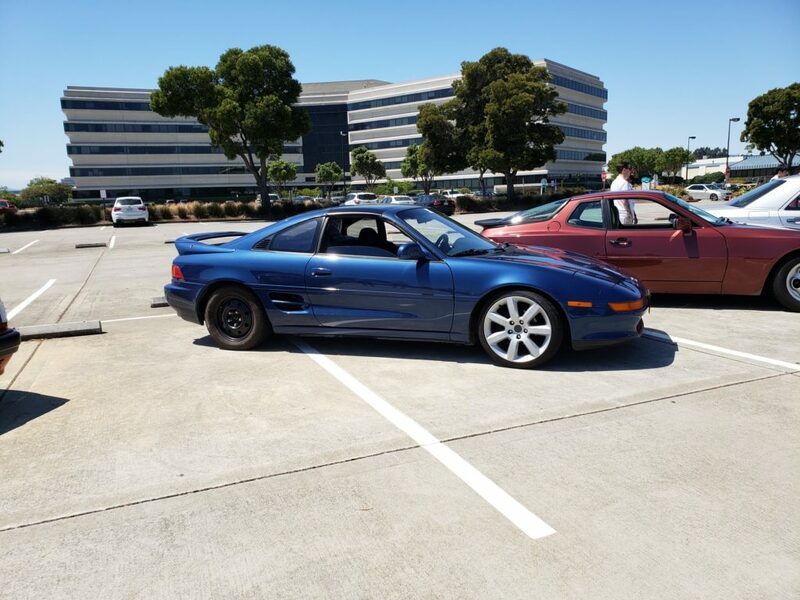 Of course, I am copying their template, so I figure, “Maybe I should roll like this”. 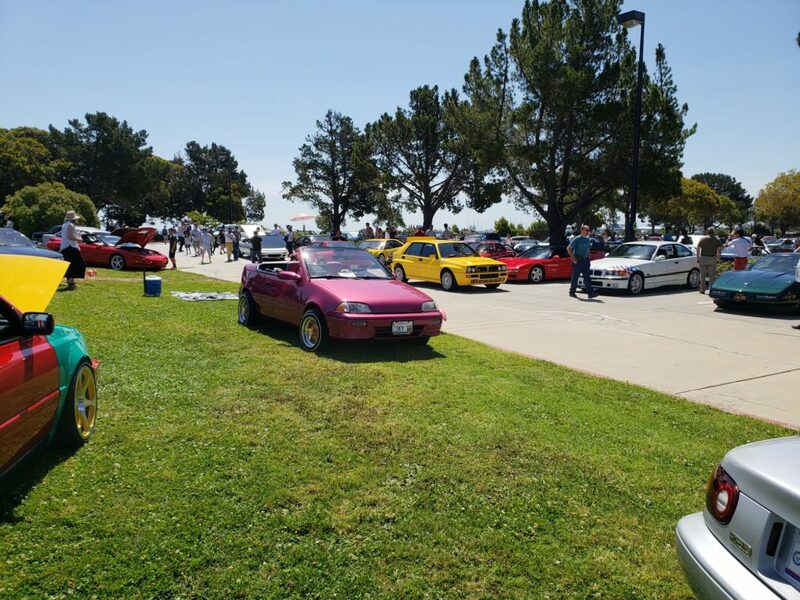 Tajamul then told Bradley (one of the organizers of the event) and he said it would be nice since the show is about being inclusive. 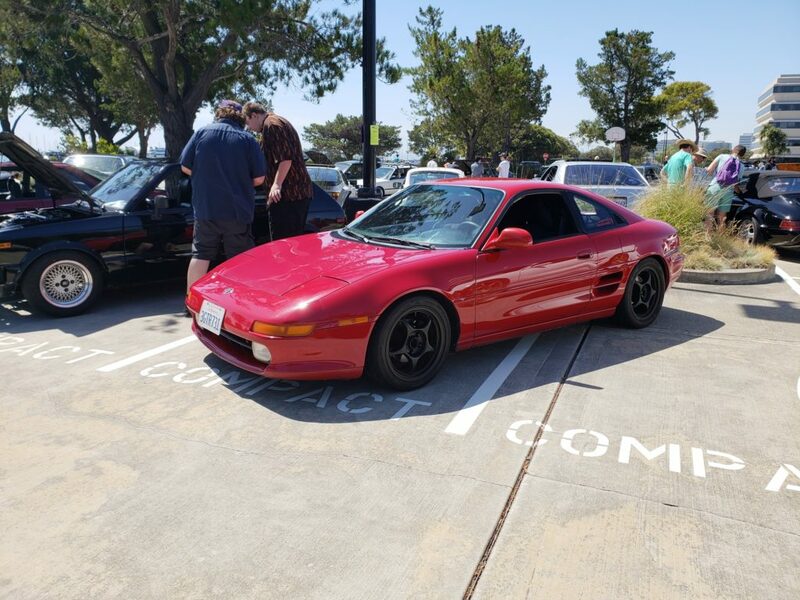 I liked that welcoming feeling. 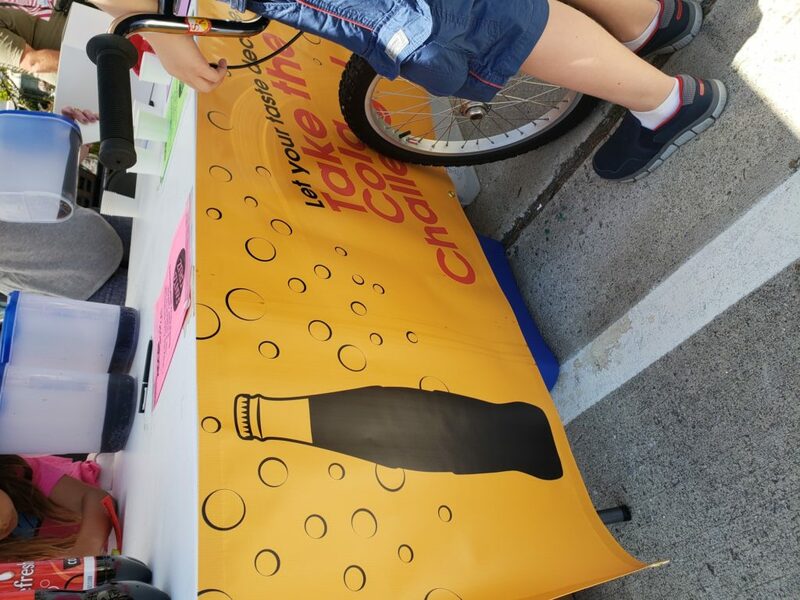 I registered. 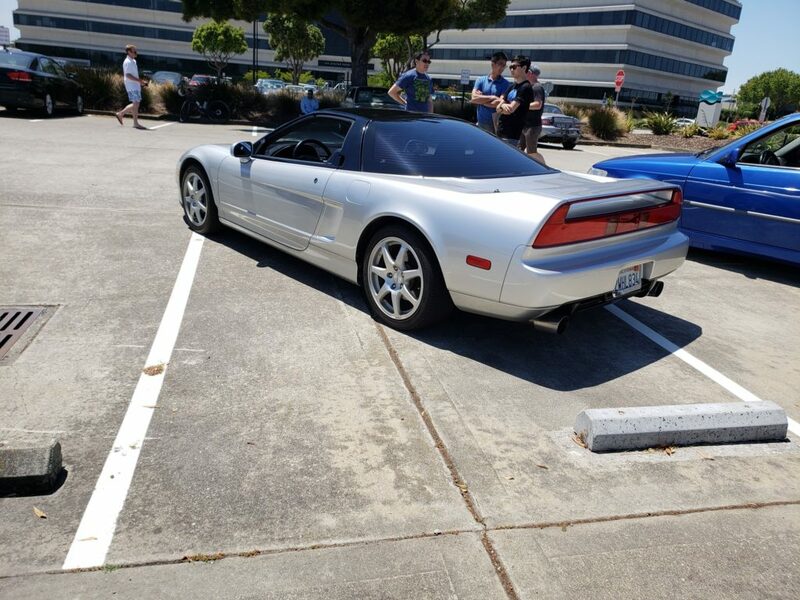 Immediately I started to think what I should do. 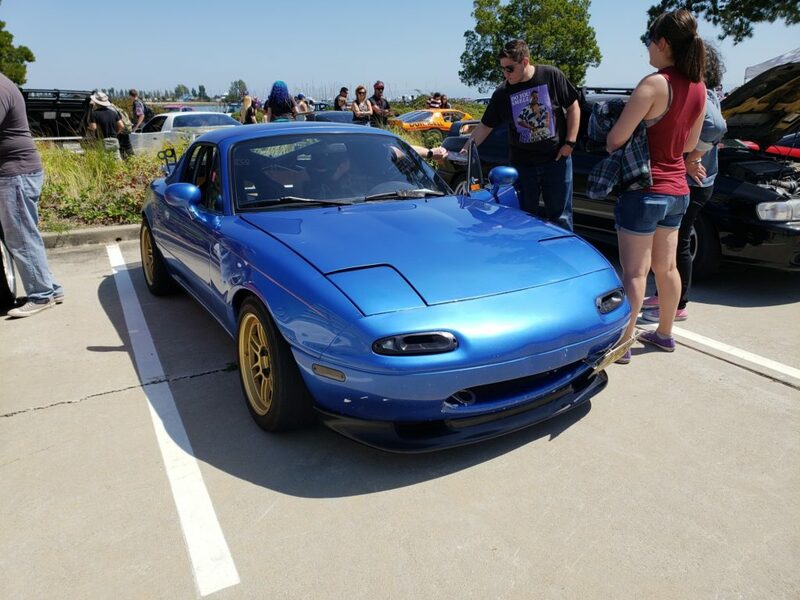 I thought about those cars that caught my attention at other car shows. 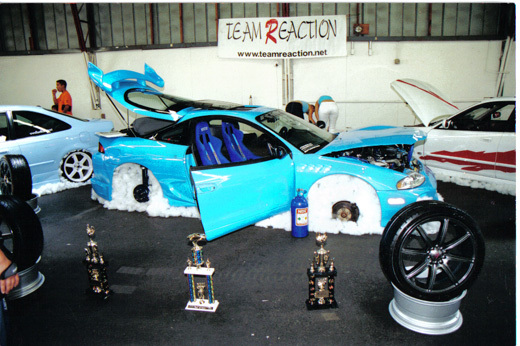 How they were set up and how they were displayed. 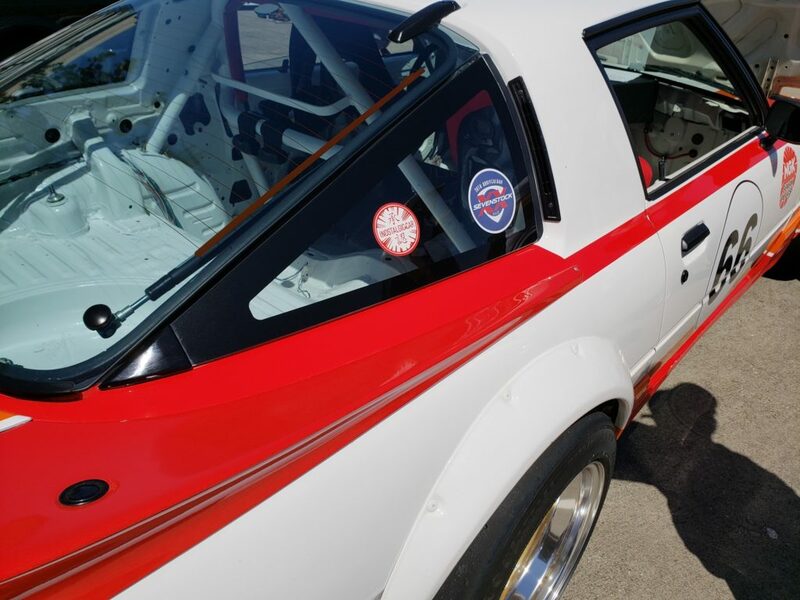 Then I realize it is also a retro themed show, and so I figured I’d honor my old race team by having a Reaction sticker. 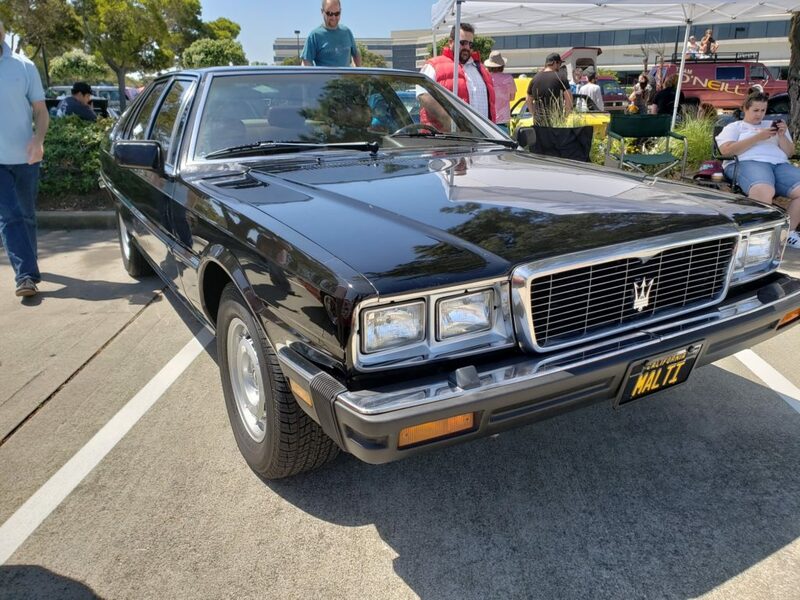 I then started to stroll though some old Leopard pictures from the mid to late 90s. 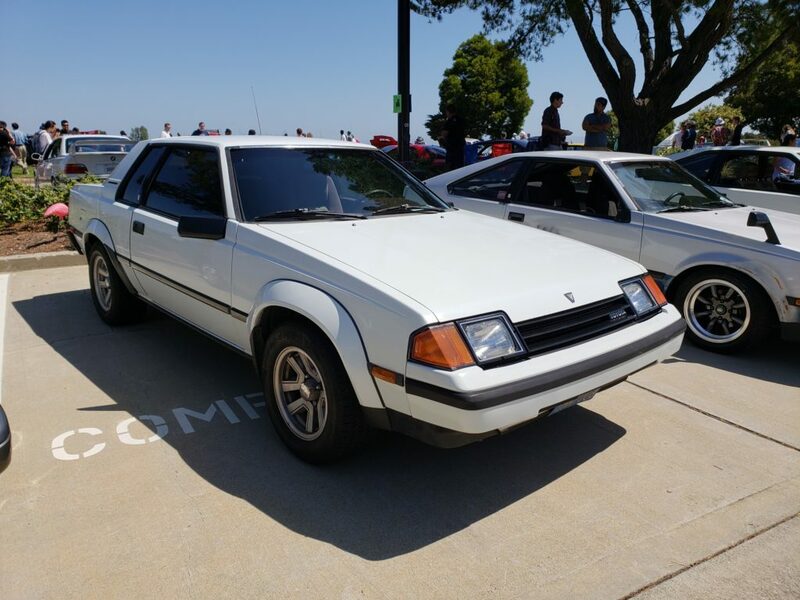 Again, I wanted my M30 to mimic their style of that era. 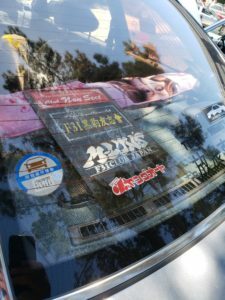 I saw started to look at my old auto magazines too and saw some older Japanese race style stickers. 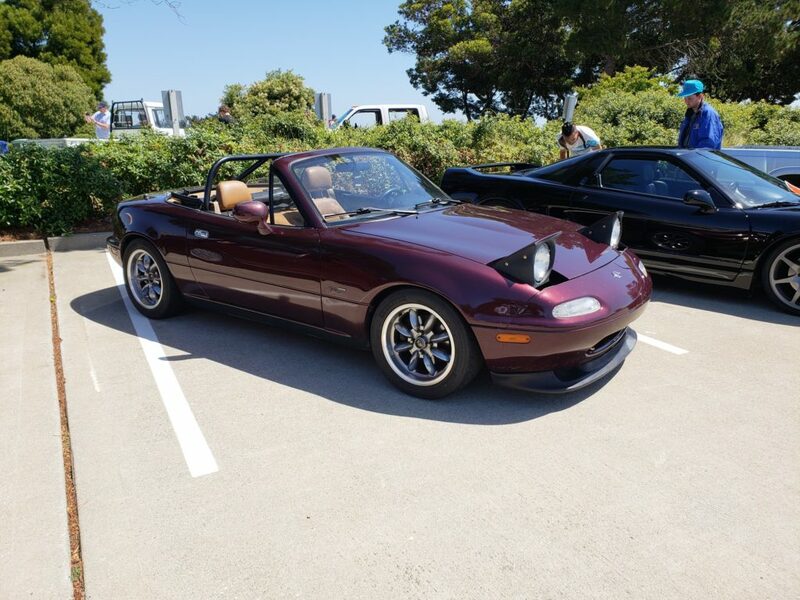 I saw a picture from Yamazaki-san’s IG. 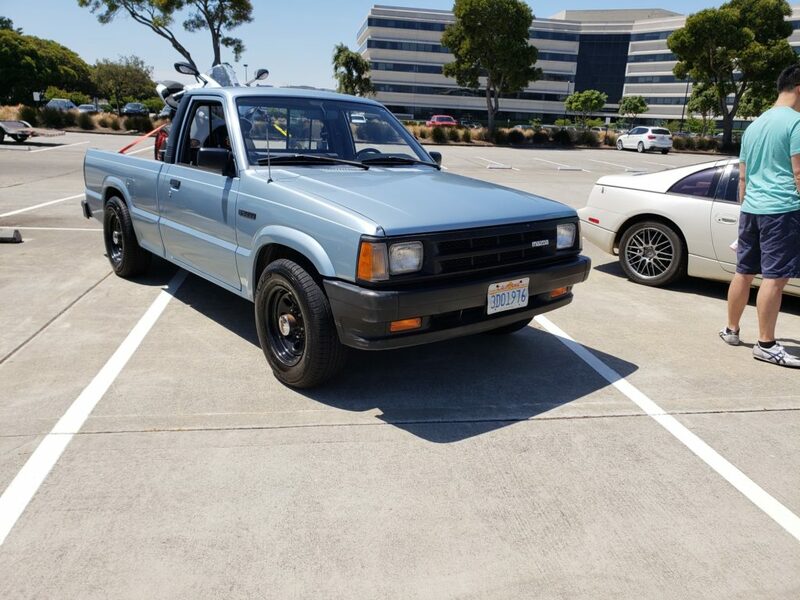 Since I’ve been doing my projects at night, they feel like they never end. 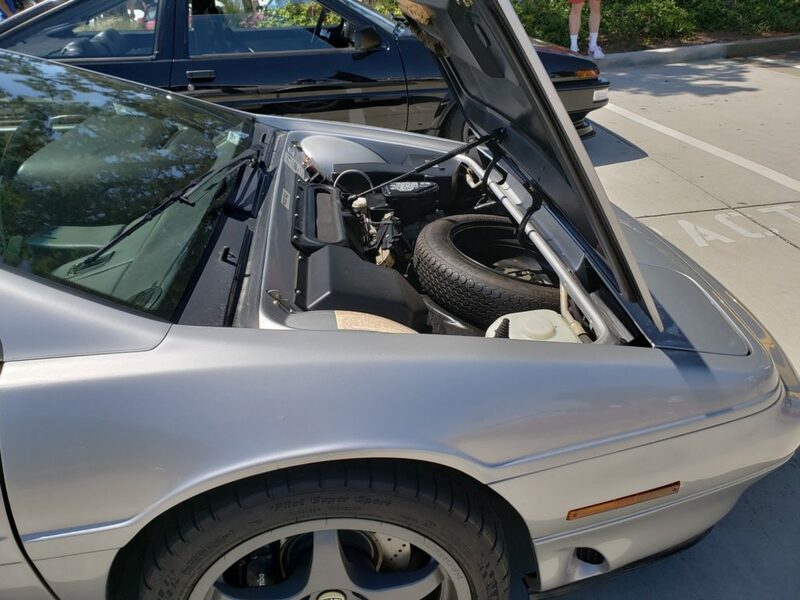 And I needed something to put at the bottom. 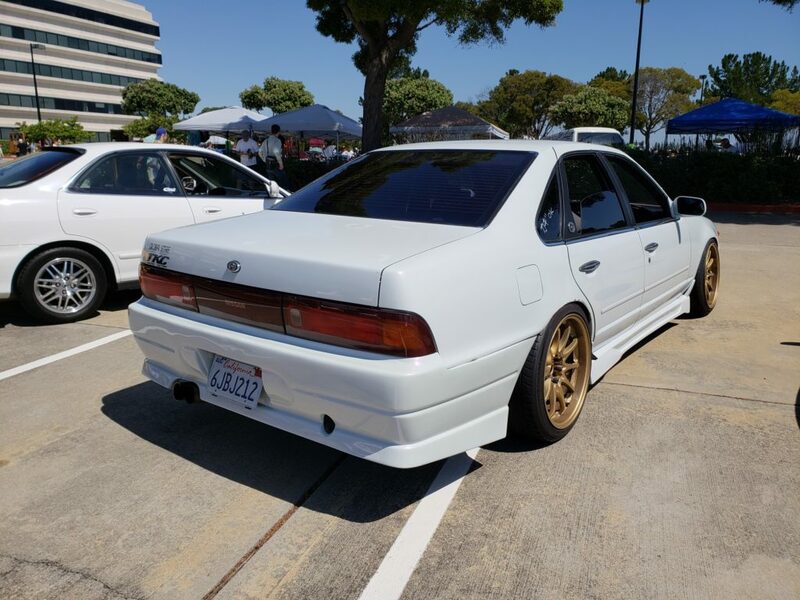 Since my F31 isn’t a drift car or Shakotan/Stanced styled LIKE MANY are today, I wanted to use something original to the F31 Leopard. 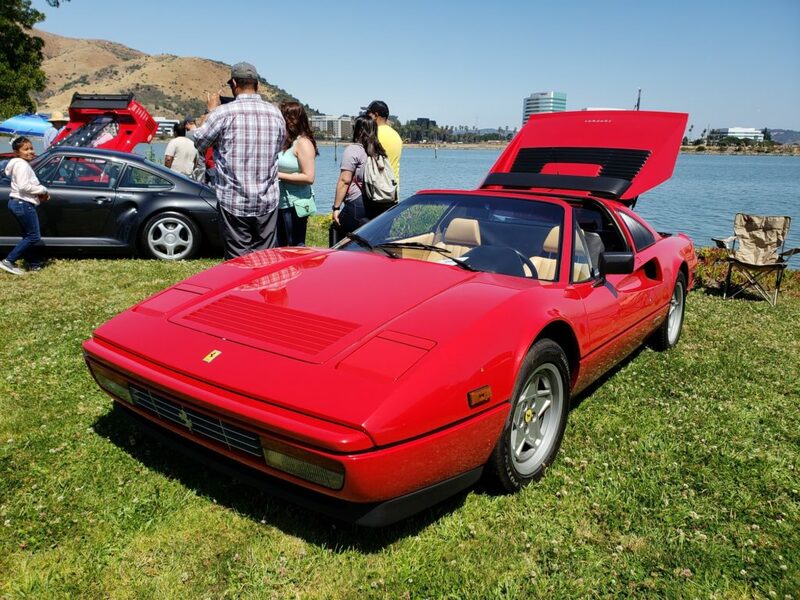 Since the car was a luxury sports car, it was intended for the “adult” demographic. 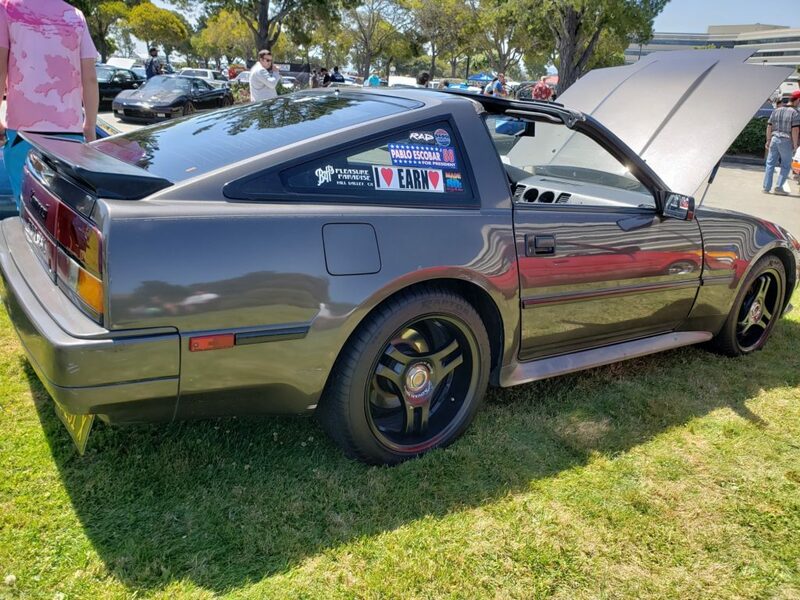 In all honesty, I am not into having stickers all over the car, maybe some, but keep it clean if you know what I mean. 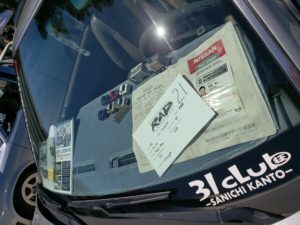 At the same time, the stickers are all Original JDM and from the presidents of the respective clubs, so I had to show respect to them. 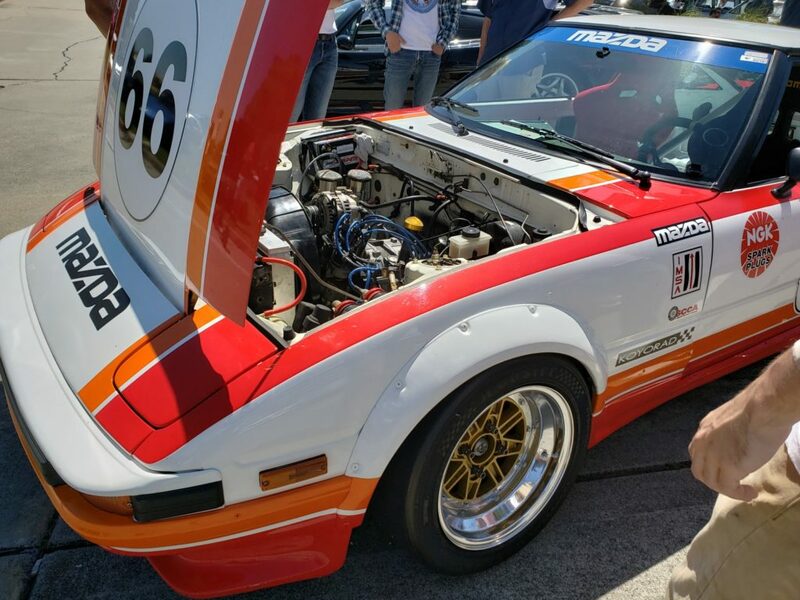 I texted my friend Ben who owns Redstart Racing in WA state. 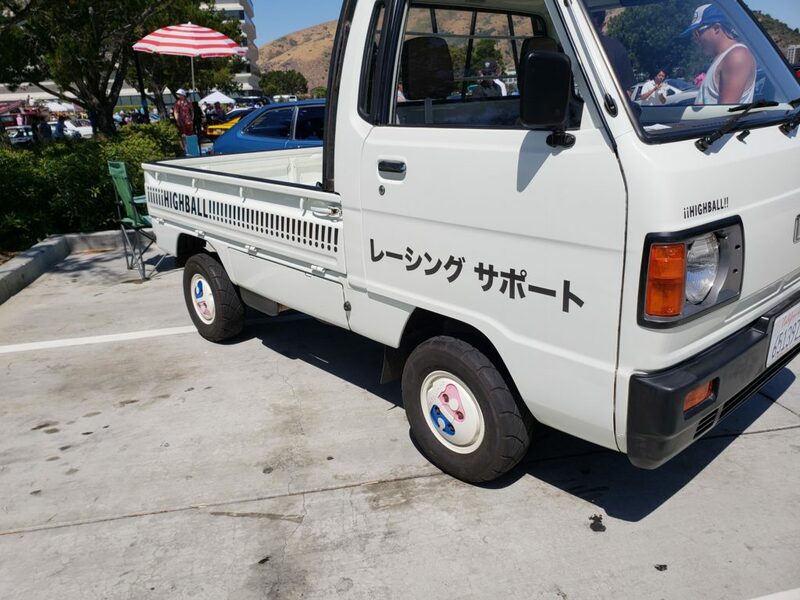 I get stickers of him. 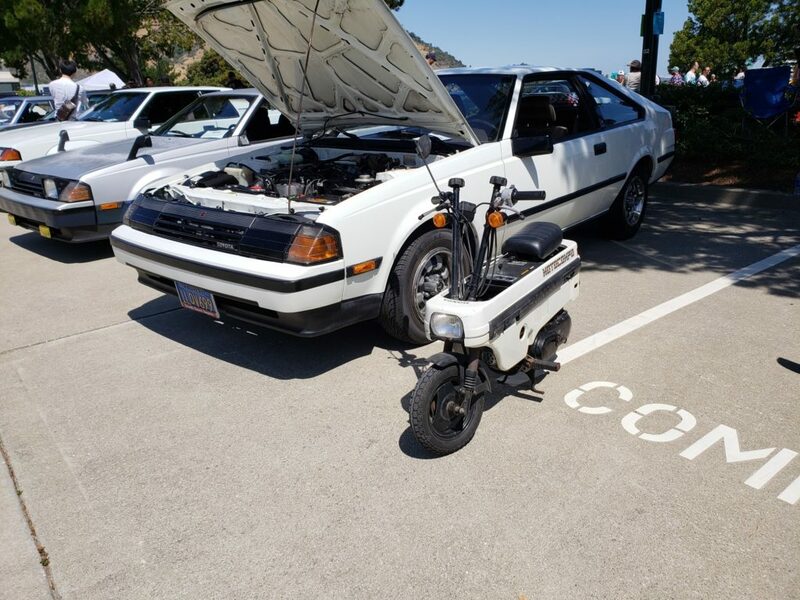 I shot my ideas to him and he send them back. 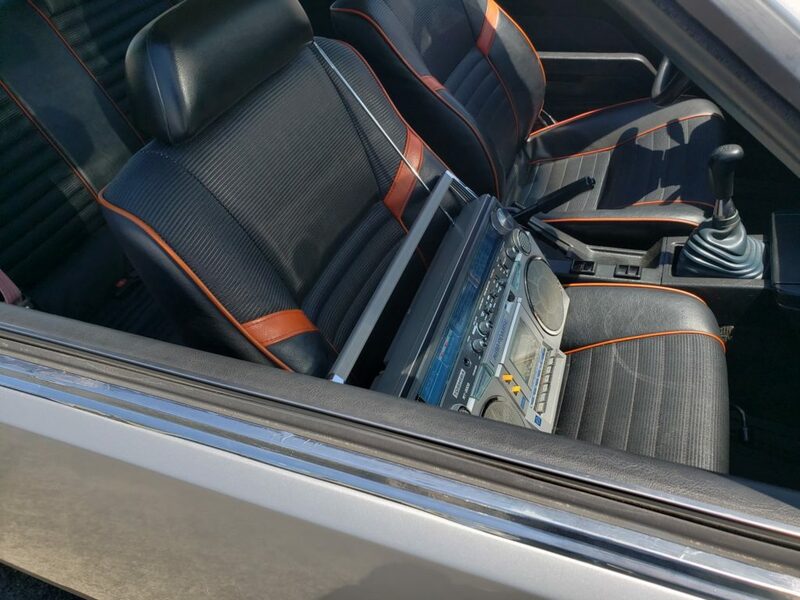 He told me the prices and I said, “Overnight them”. 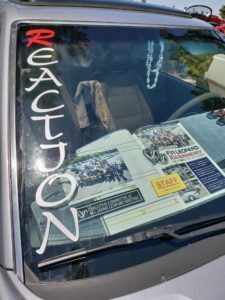 He printed out the Reaction sticker and These night stickers. 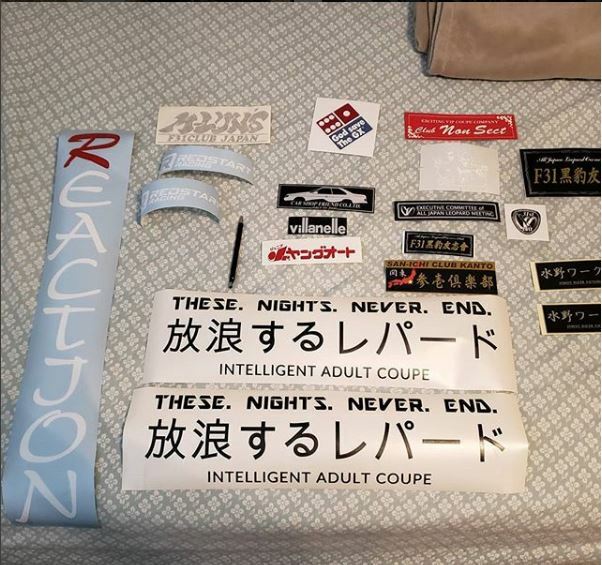 “These nights never end” stickers were suppose to go on my rear quarter panel. 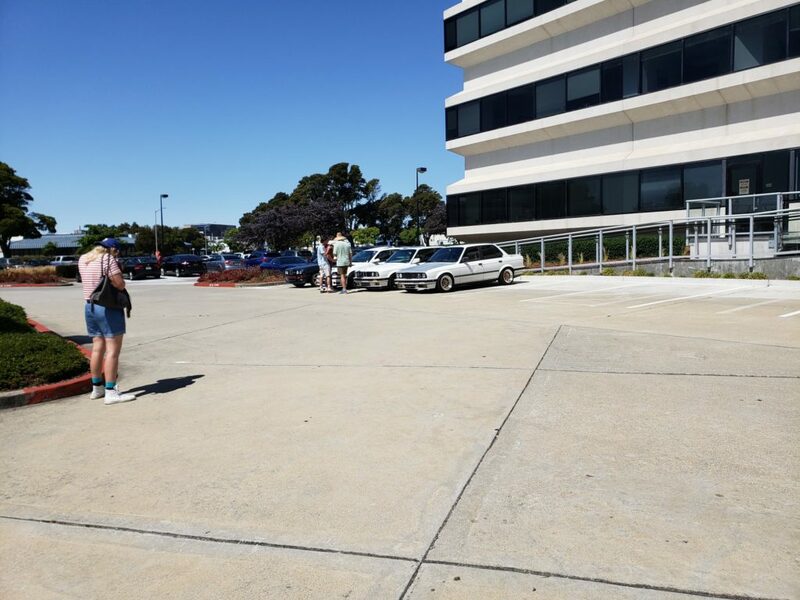 Few barriers. 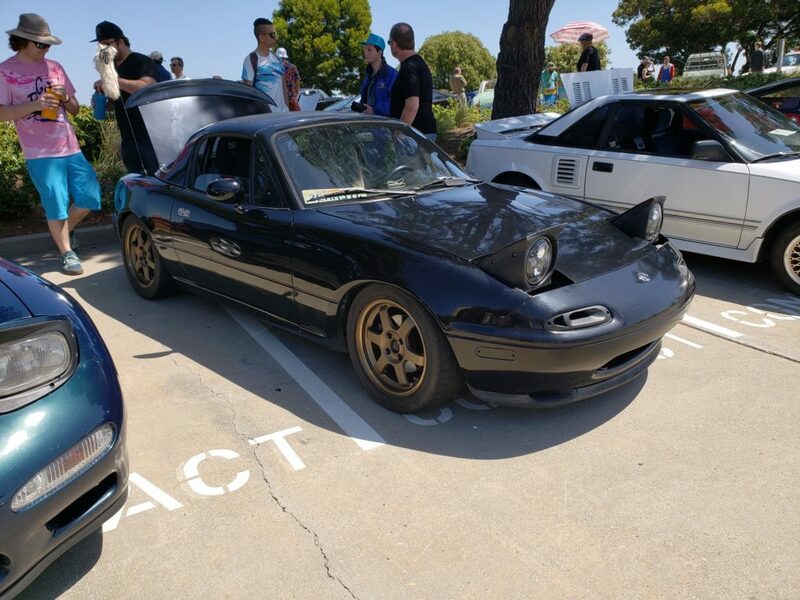 My car doesn’t look like a race car, so it threw it off. 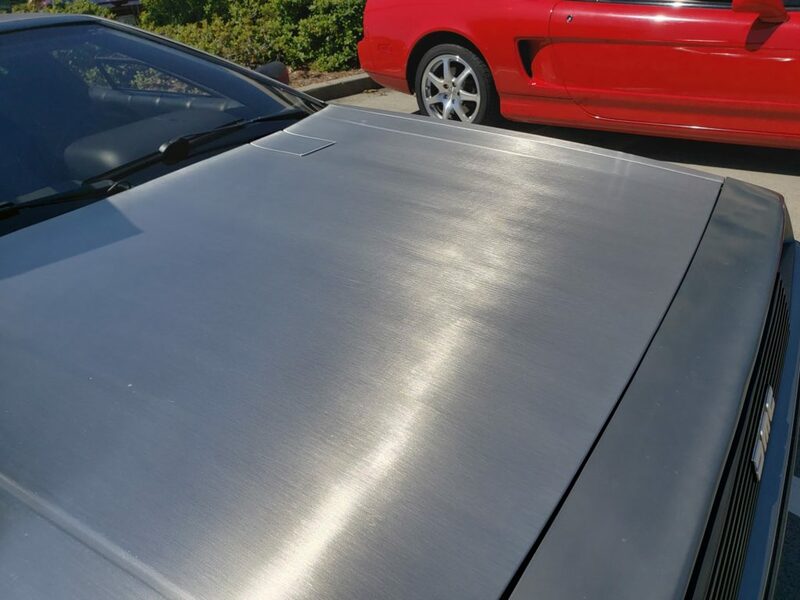 Additionally, I was trying to get my a small dent removed and the people I’ve contacted weren’t getting back at me. 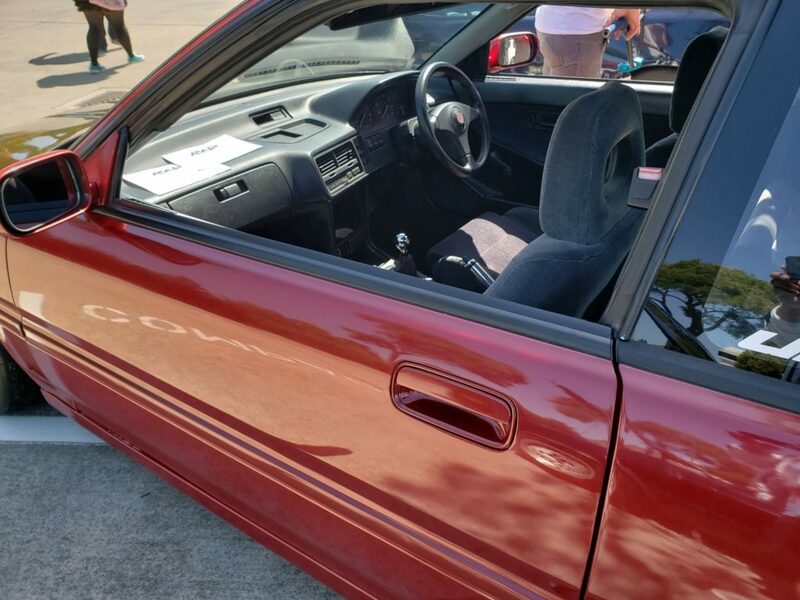 So I ended up putting one on my rear glass. 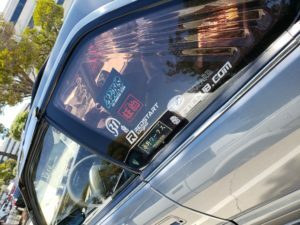 The other stickers, I put on my rear quarter sunshades and a few into plaques. 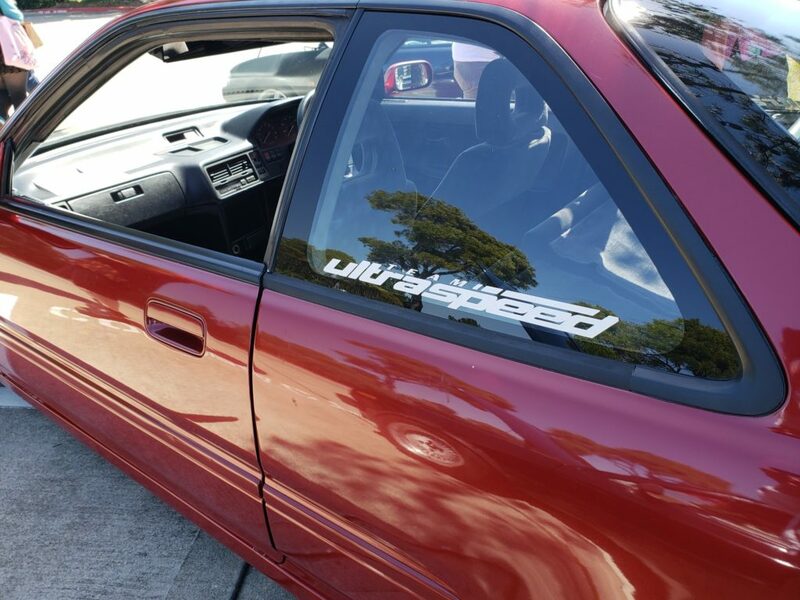 My goal is get my car redone anyway, so I didn’t want to have these stickers be put on and then taken off. 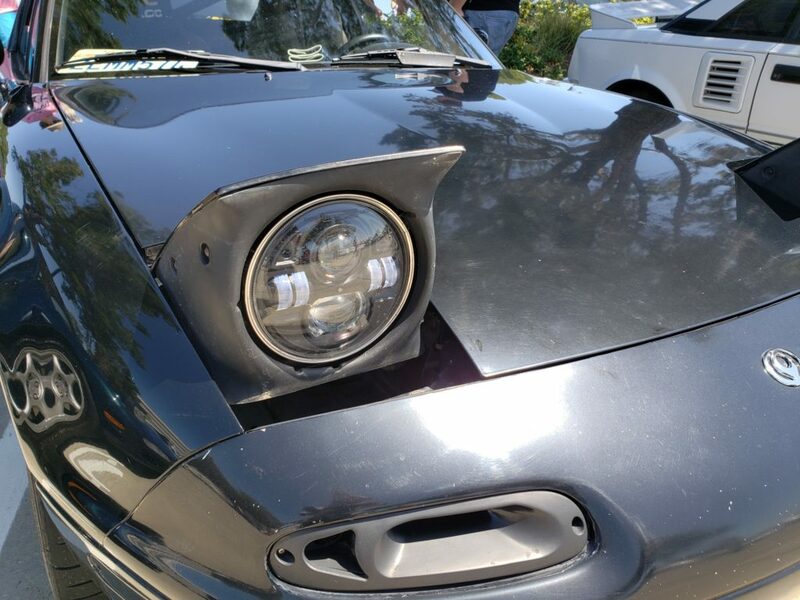 Then I spent the next couple of nights getting things done, turn signal, detailing, rear trunk emblem, cleaning up the wiring for the headlights. 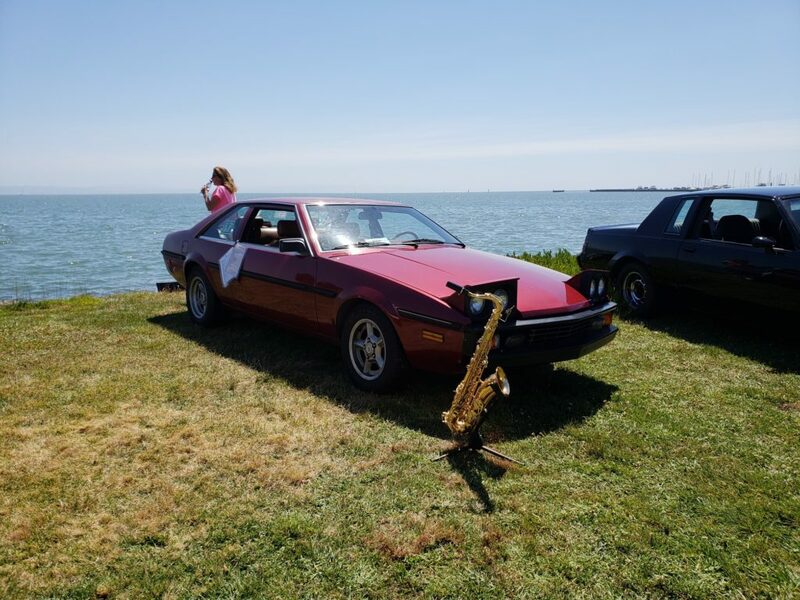 In fact, Saturday night, I didn’t sleep til 230am. 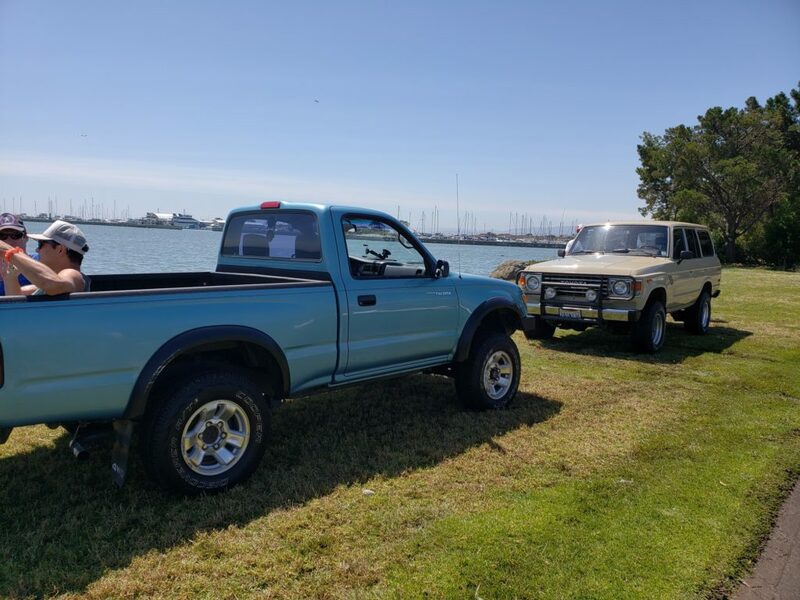 I woke up at 730am to do a few more things and grabbed a few stuff for display. 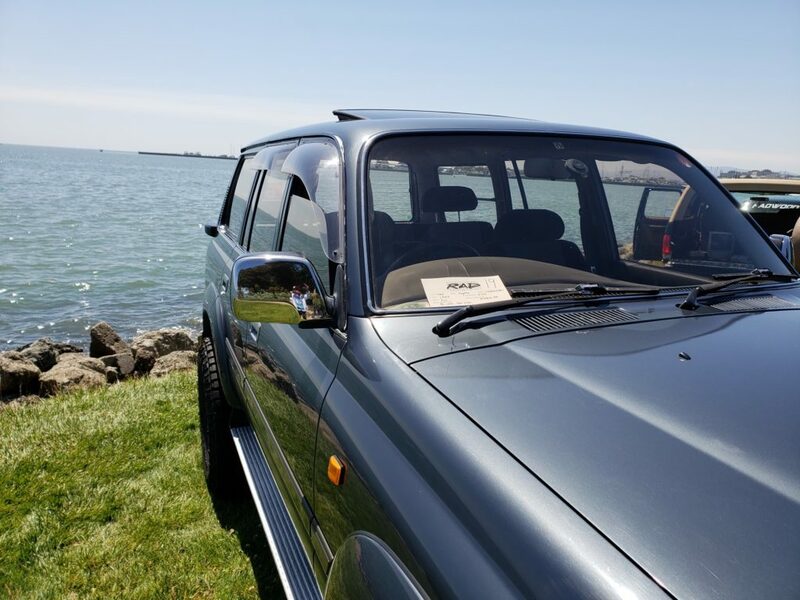 Infiniti branded Motorola Startac phone! 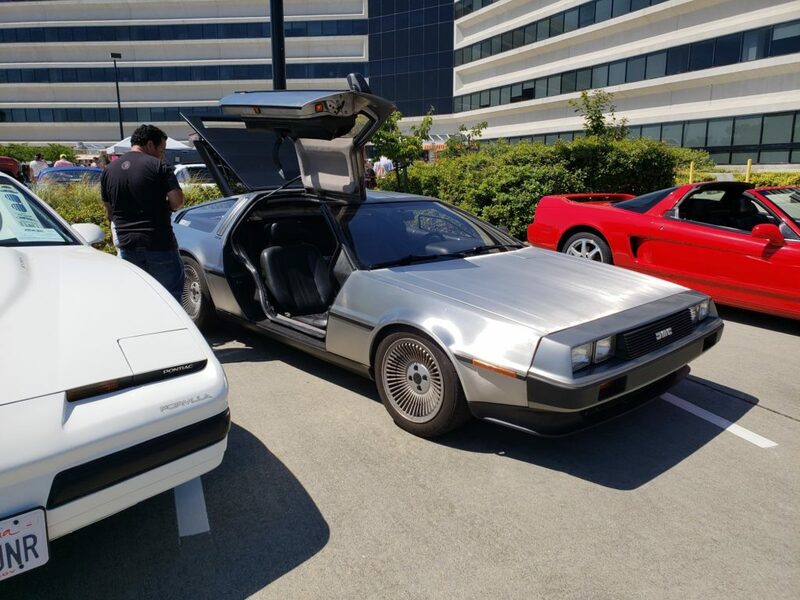 I arrived around 915am and there was a line, but it moved quick. 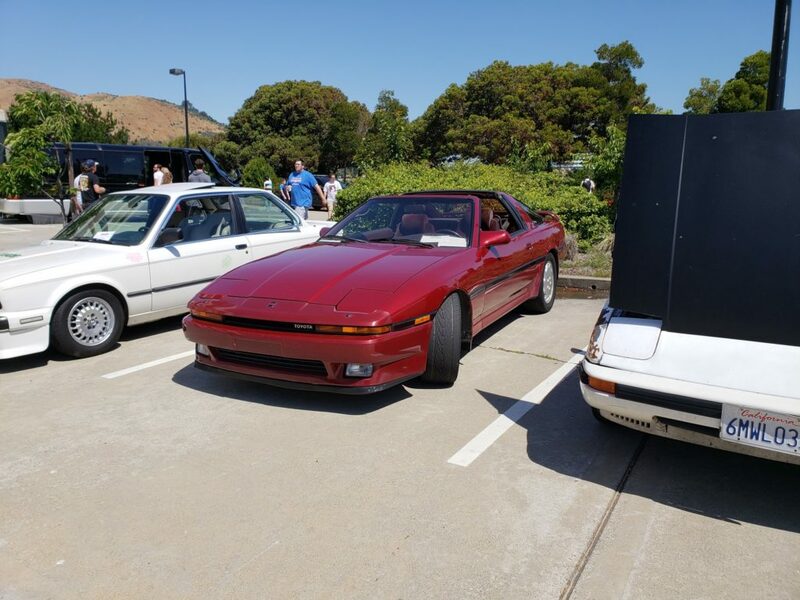 I set up next to the Celica group and put some stuff on display. 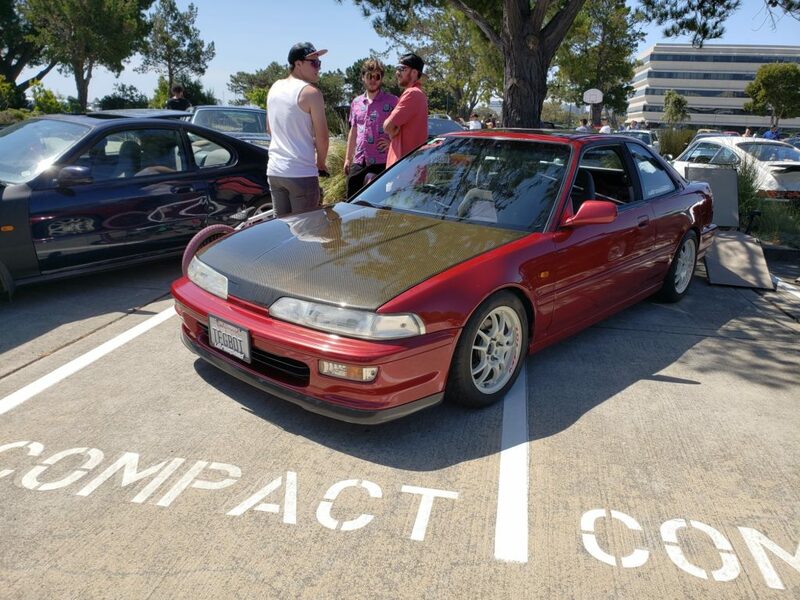 Now that’s done… let’s go check out RADWood! 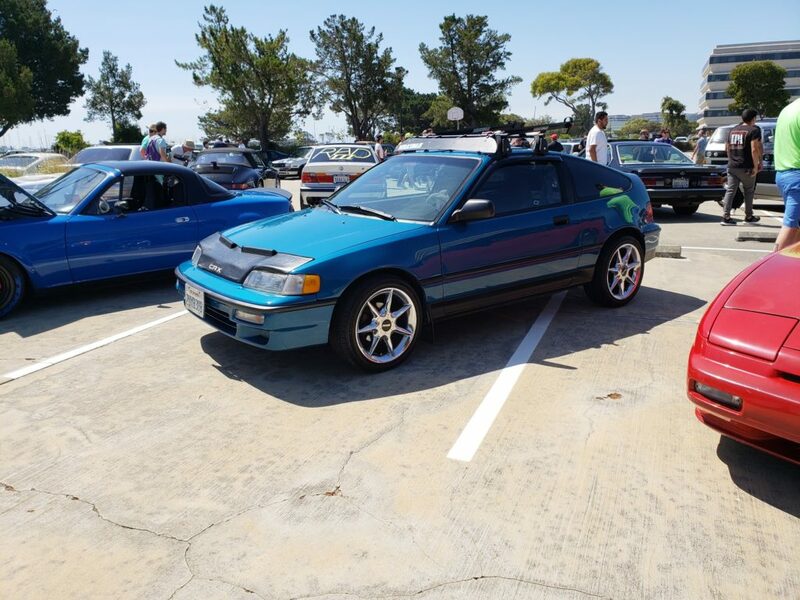 I had good vibes coming in. 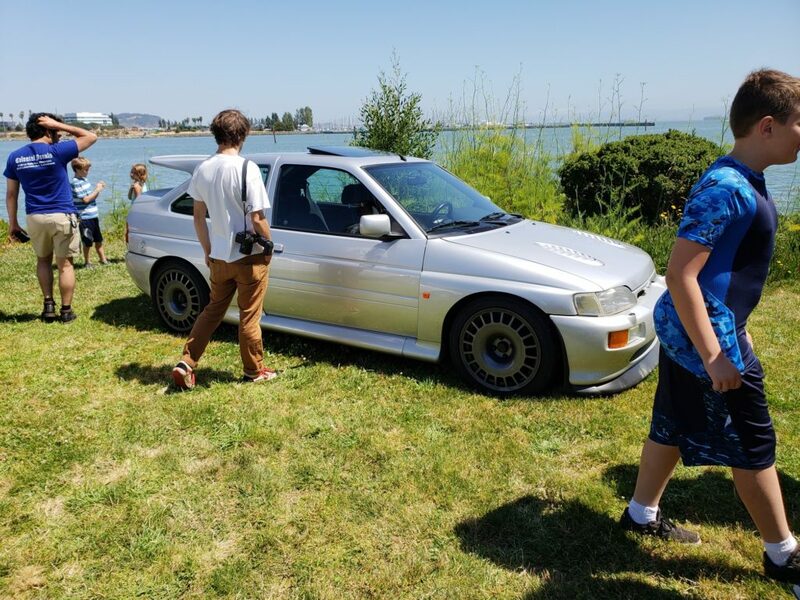 Seriously, the show is based on an era I grew up in and seeing that many were enthusiasts of the cars they owned, I felt at home! 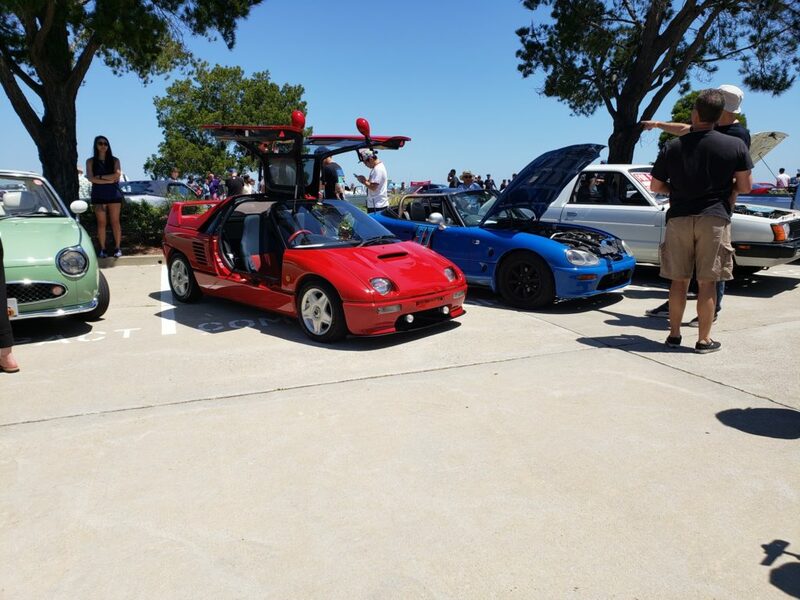 There were tons of great cars. 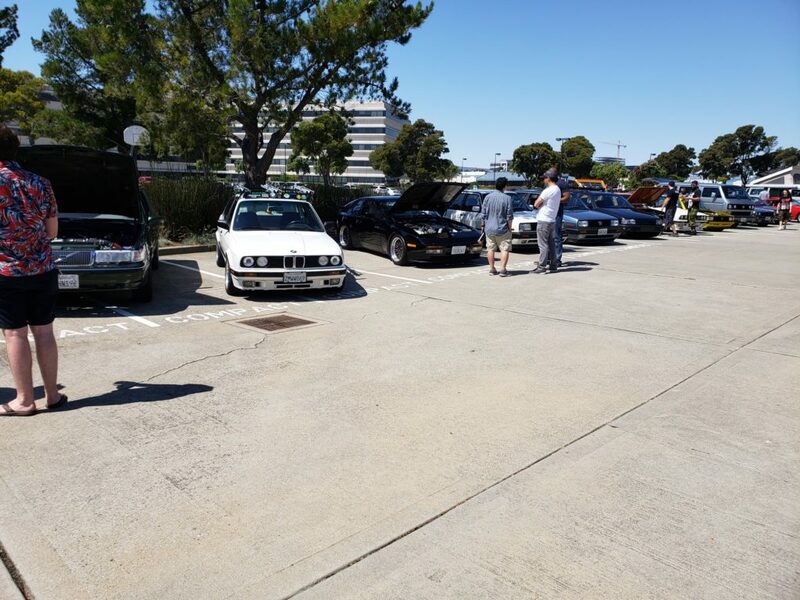 German cars came out in force, VW and BMW were just dominant! 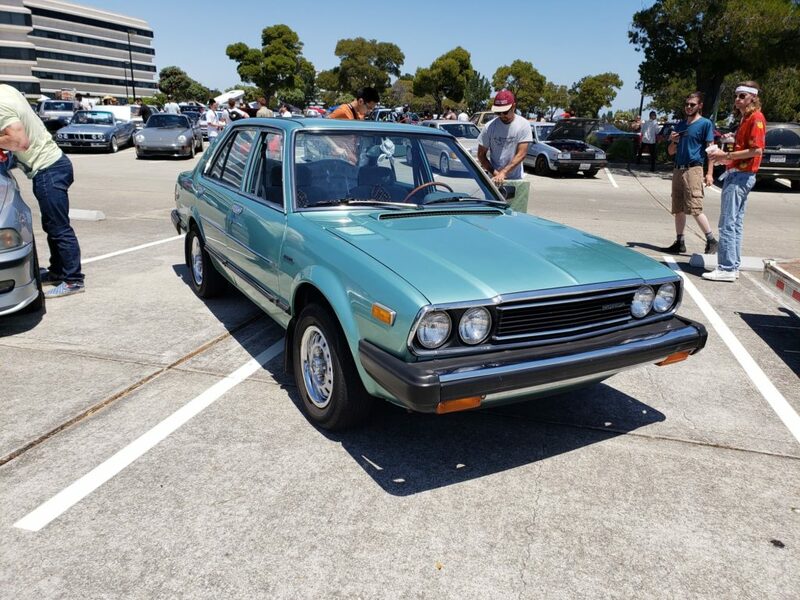 I love older Japanese cars and that was attracted me the most. 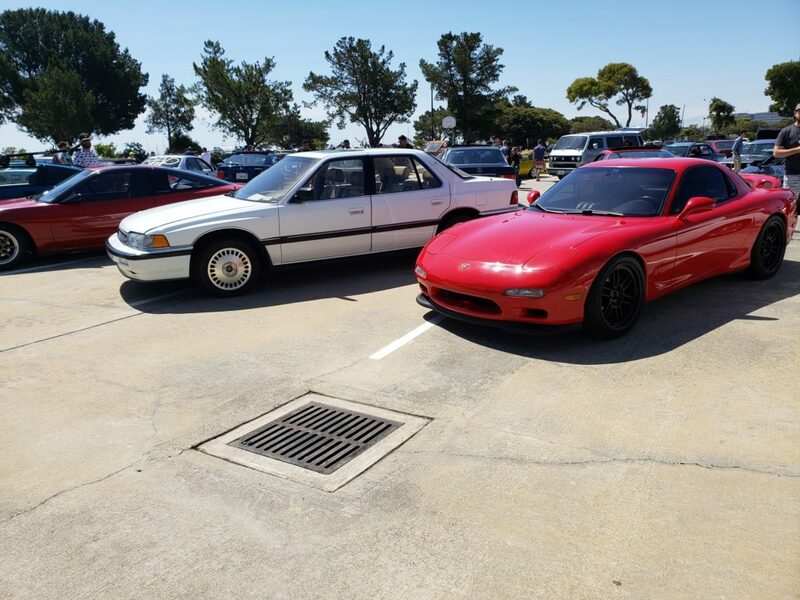 Not to say that the JDM rides or Ferraris and Lancias were not my taste. 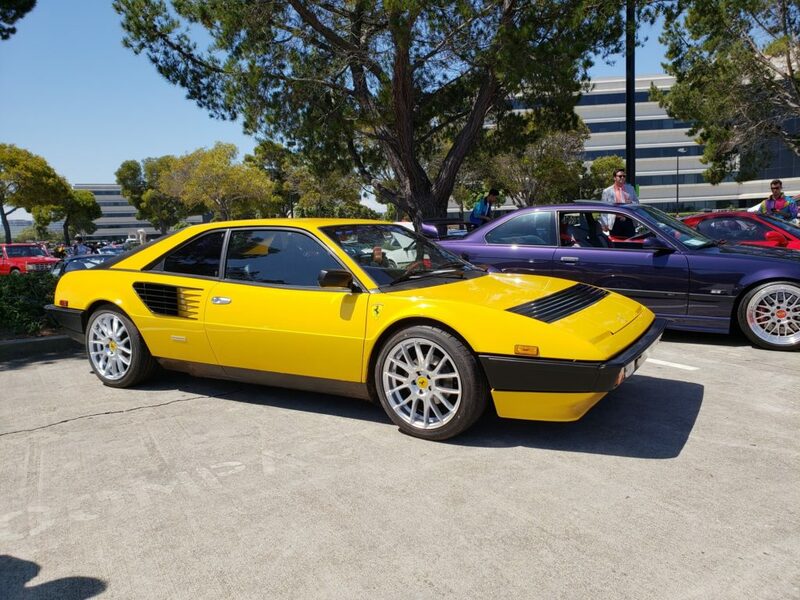 I always have this thing for obscure, yet attainable cars. 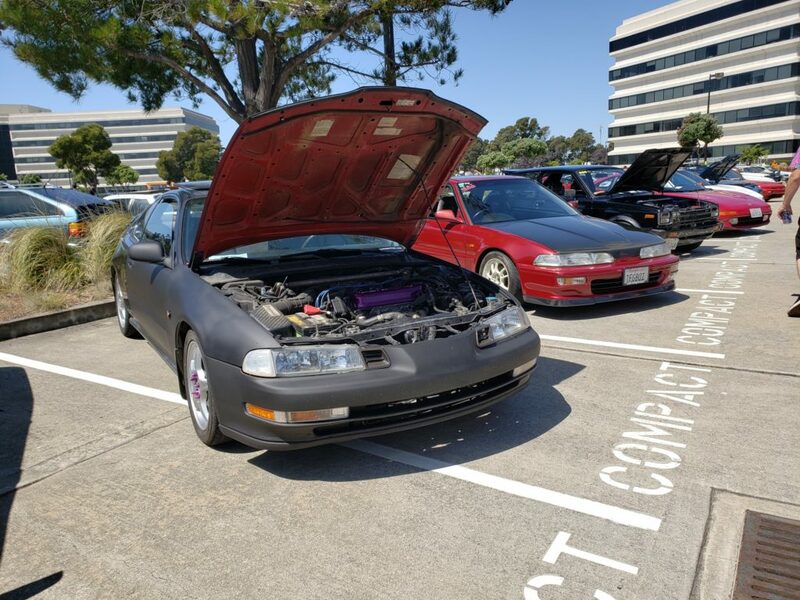 I love that many people were into keeping their cars pretty much stock! 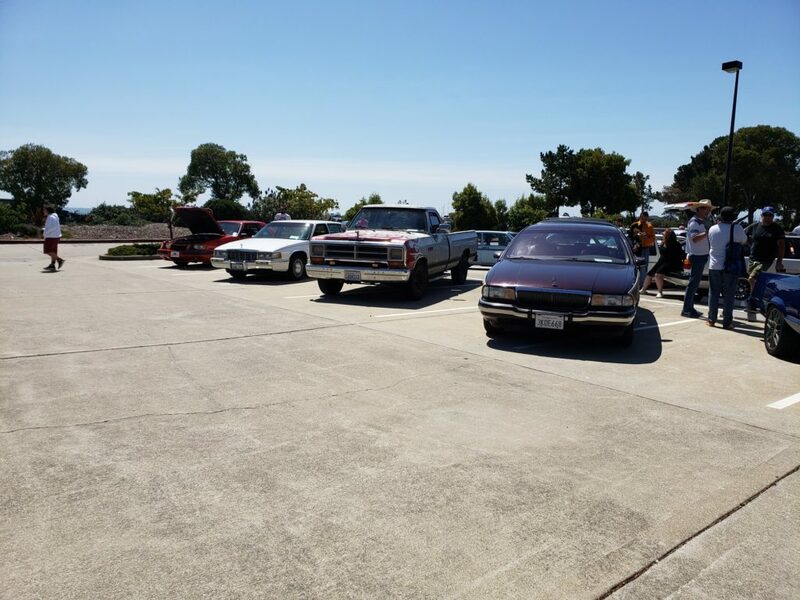 There were tons of cars that kept rolling in. 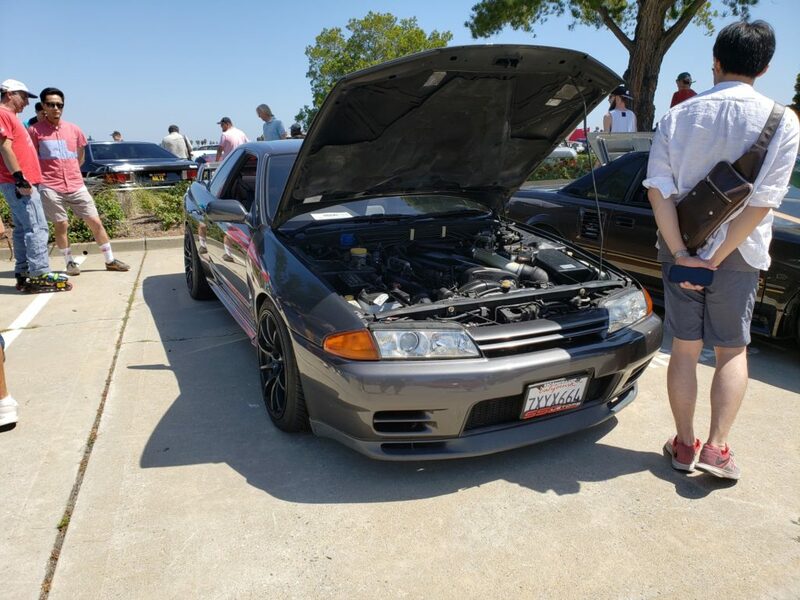 My phone battery died and so I was pissed that I couldn’t take more pictures. 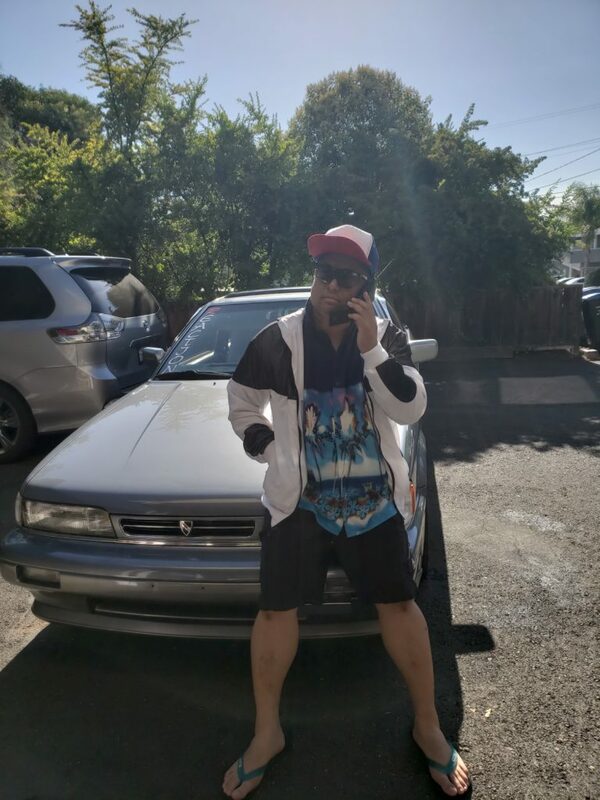 I did a few live videos on FB and IG for my friends around the world. 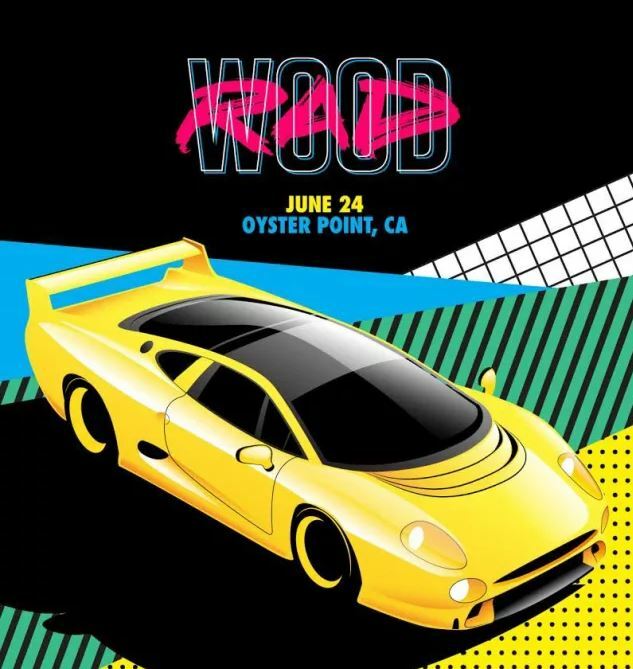 Hands down one of the best shows I’ve been to. 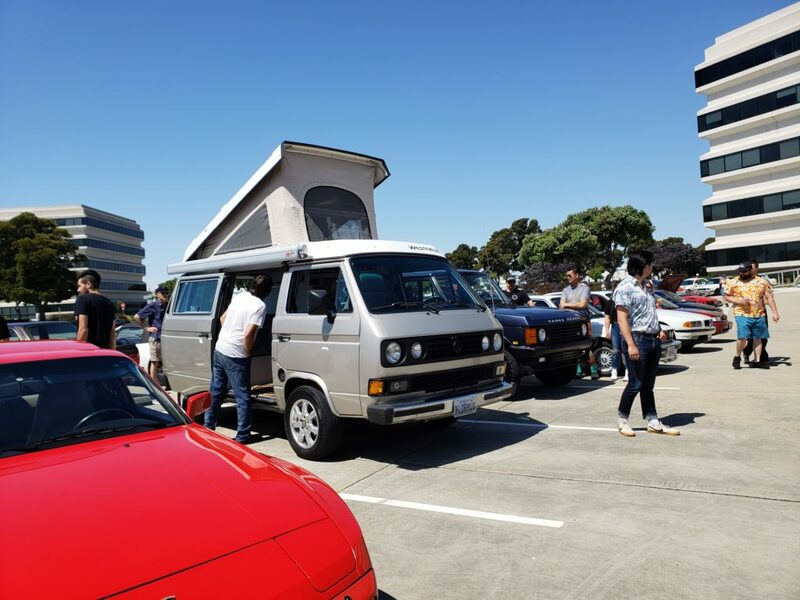 The vibe and people were right IMO. 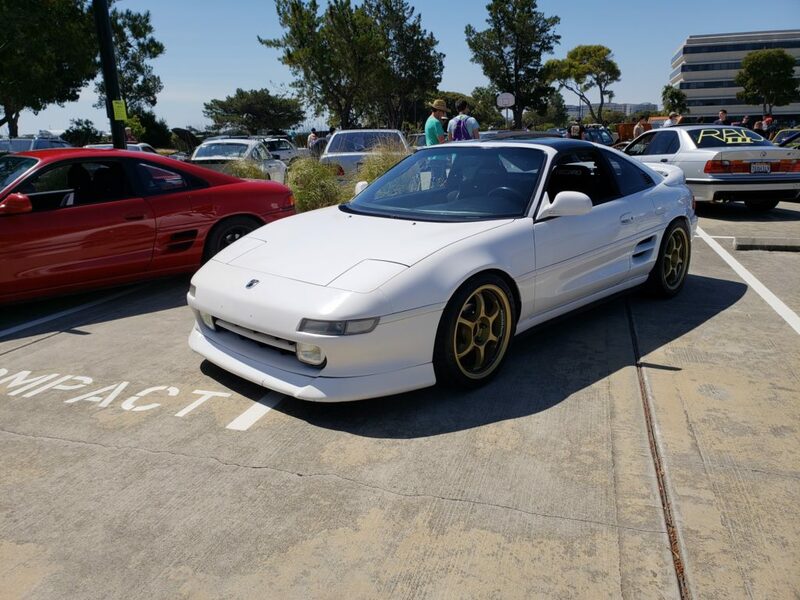 Cars with stock wheels!!! 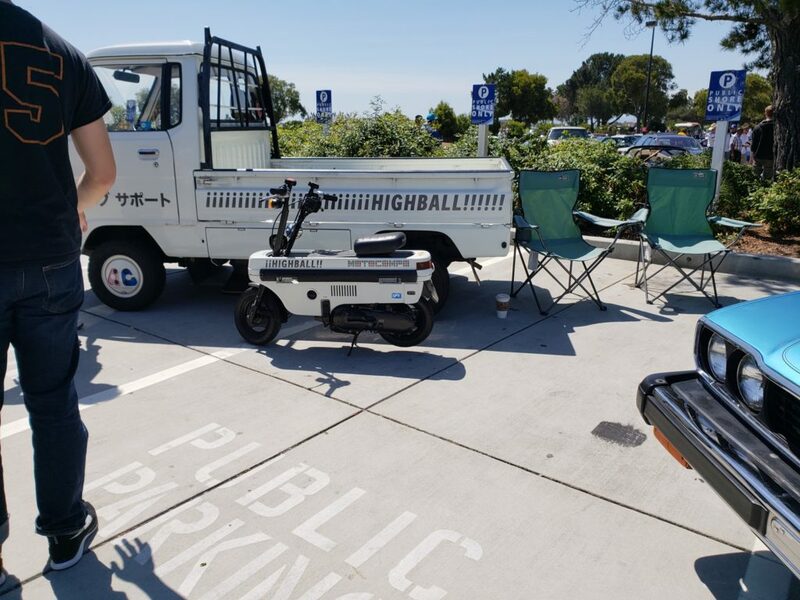 That’s true celebration right there! 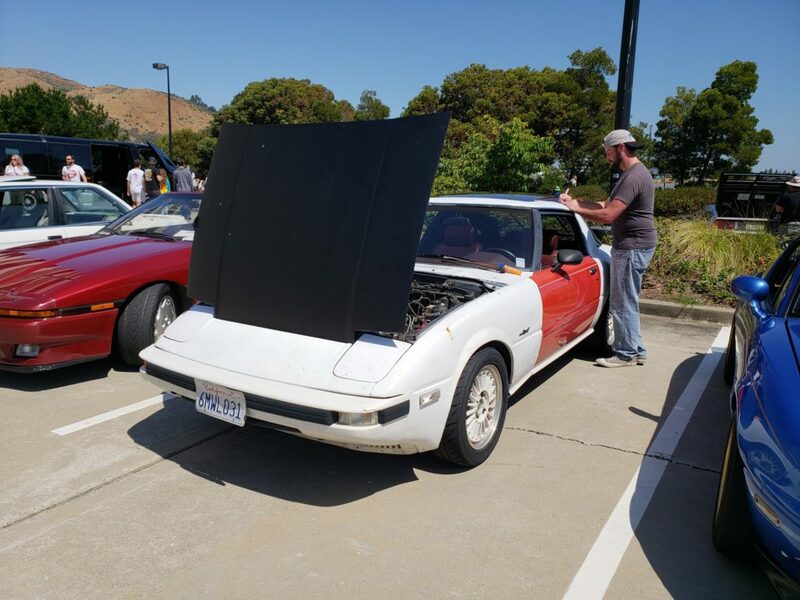 It was also goal accomplished as I actually showed my car! 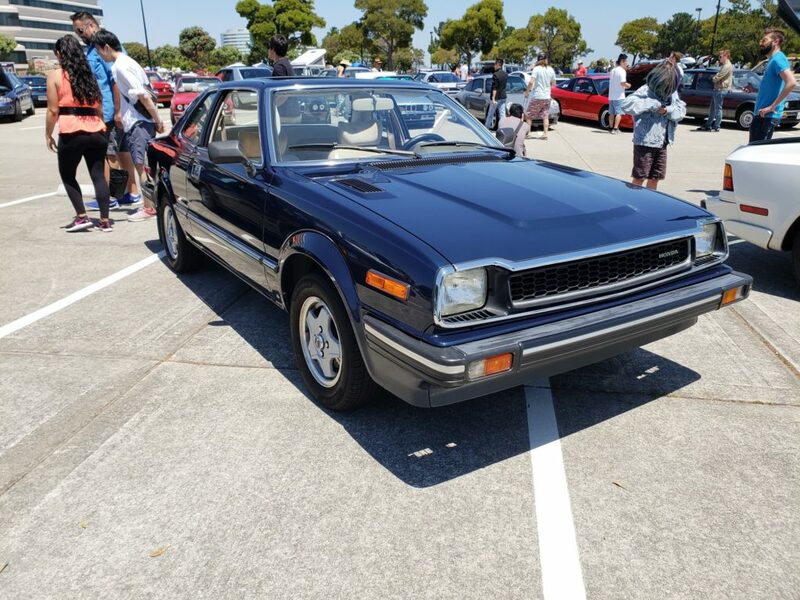 The M30 is obscure enough that people don’t know what they are. 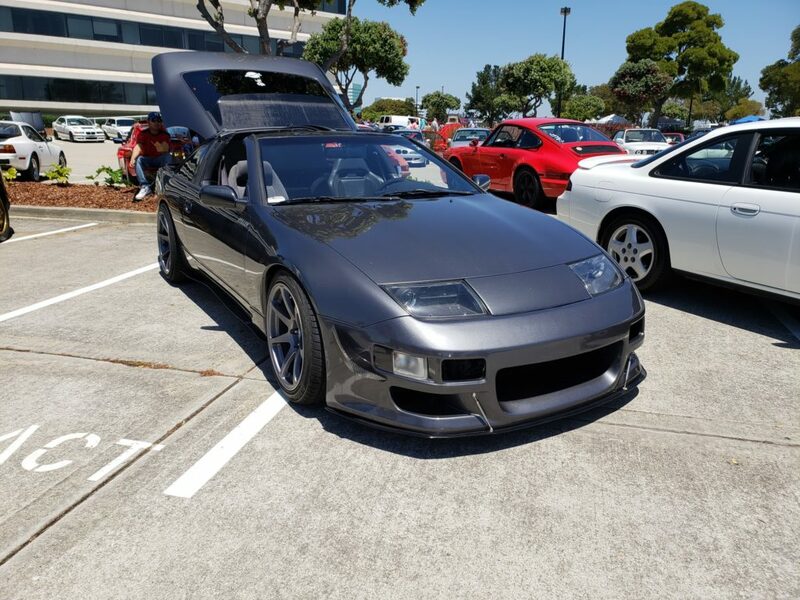 I was subconscious about my car, so I kept away to check out other cars. 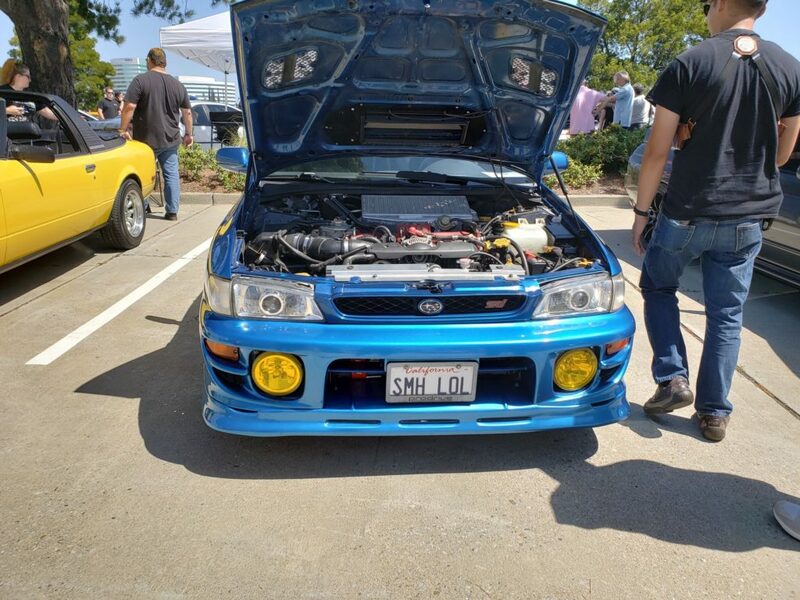 Later people asked me questions and what not. 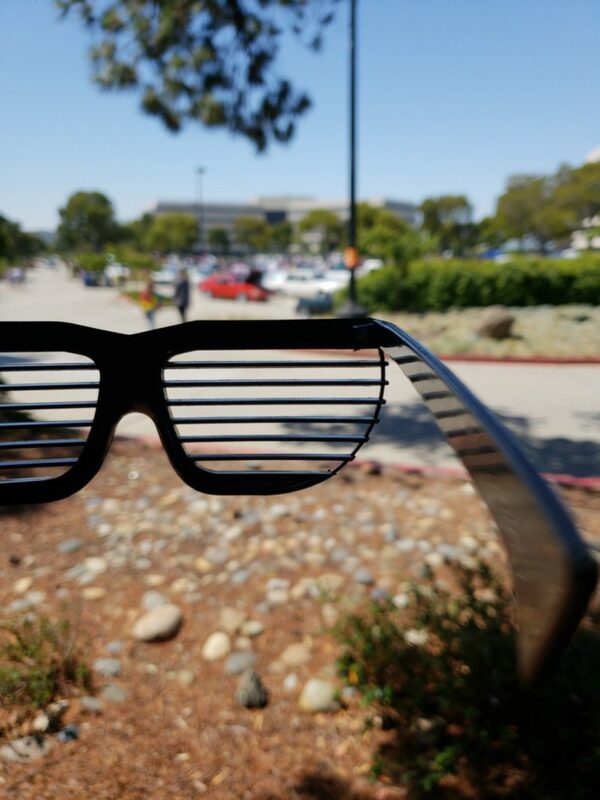 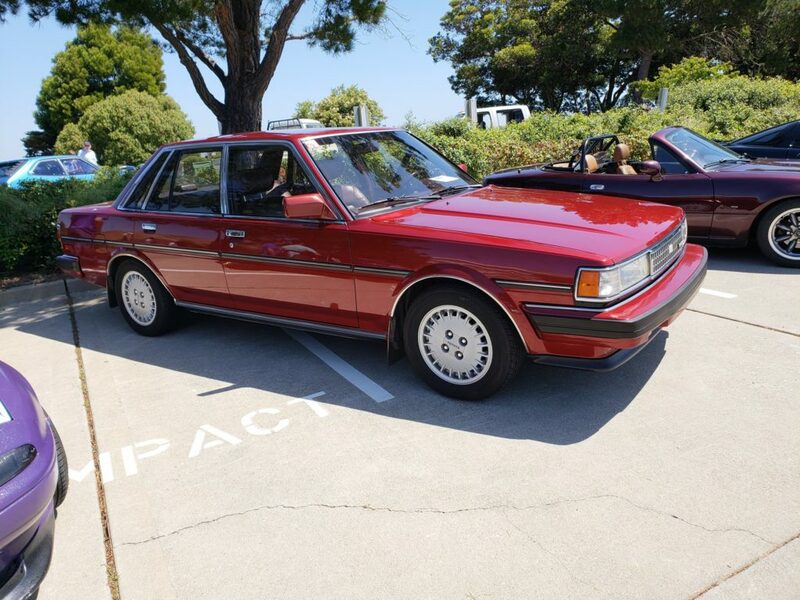 As for my feeling as showing my M30… this was the perfect platform! 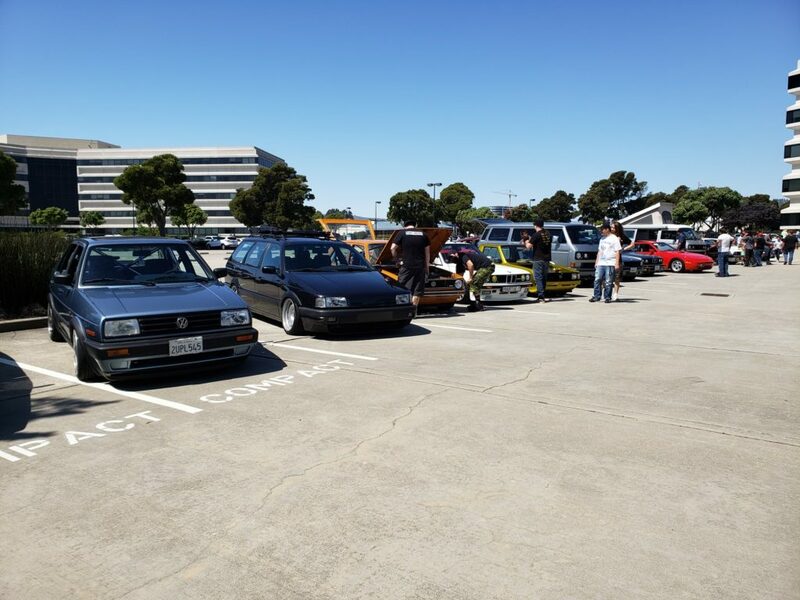 Props to everyone that showed. 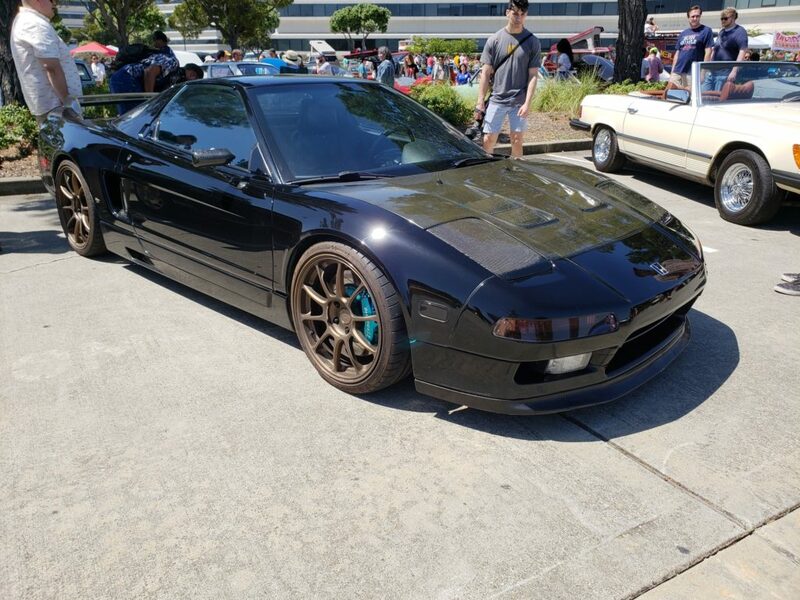 AZ1 stole the show near me. 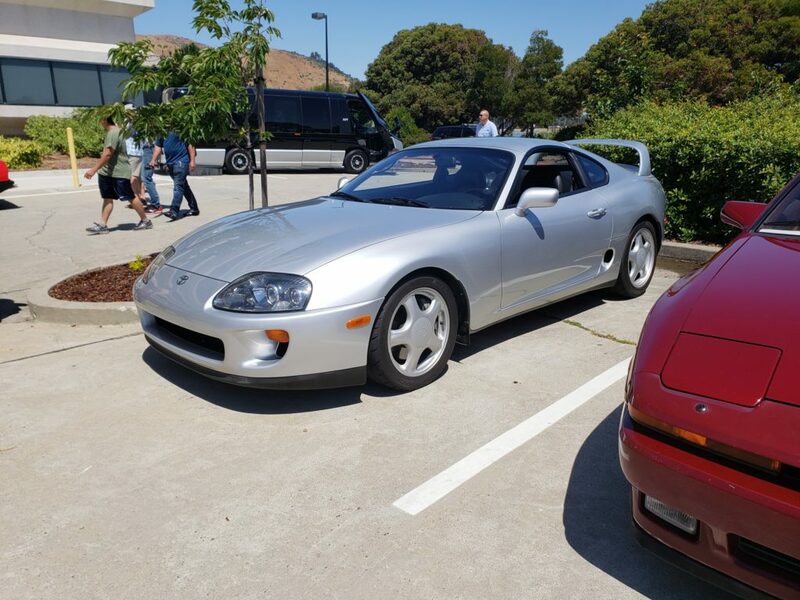 How I like the Supra! 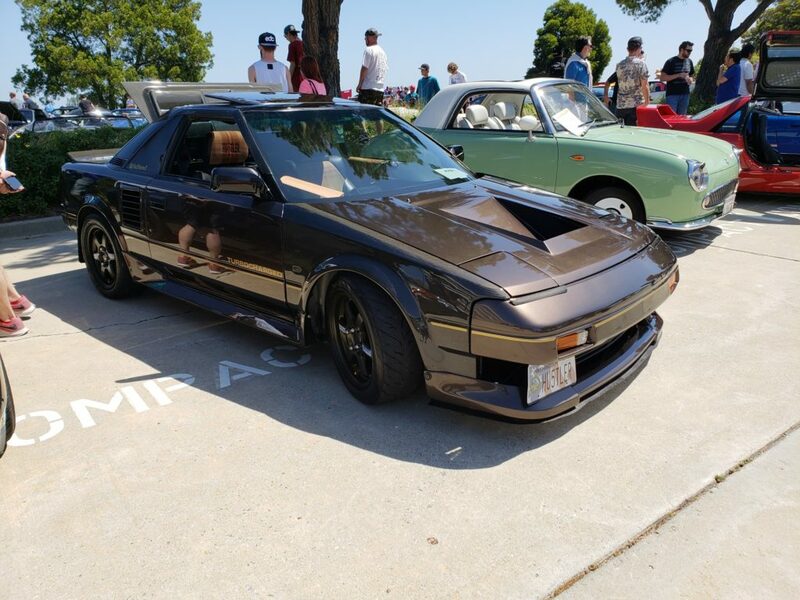 this reminds me of my AW11. 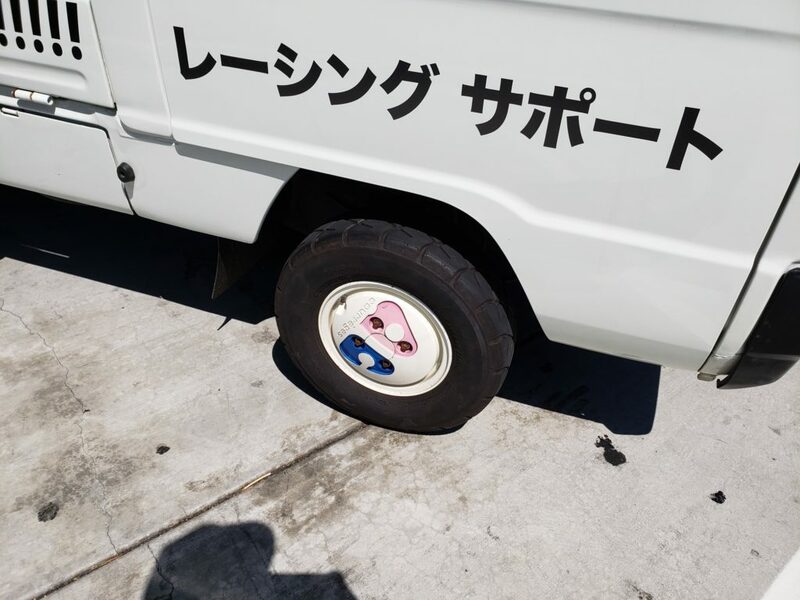 So my heart is here. 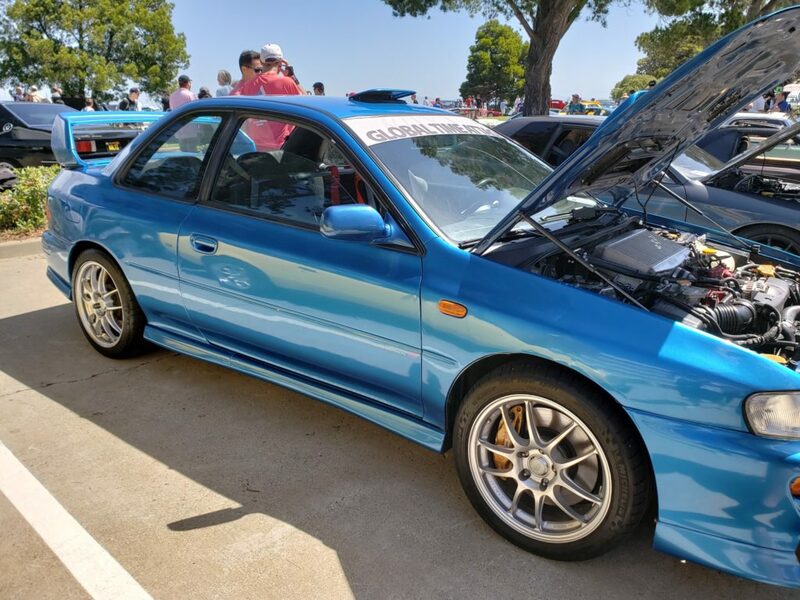 AWD turbo! 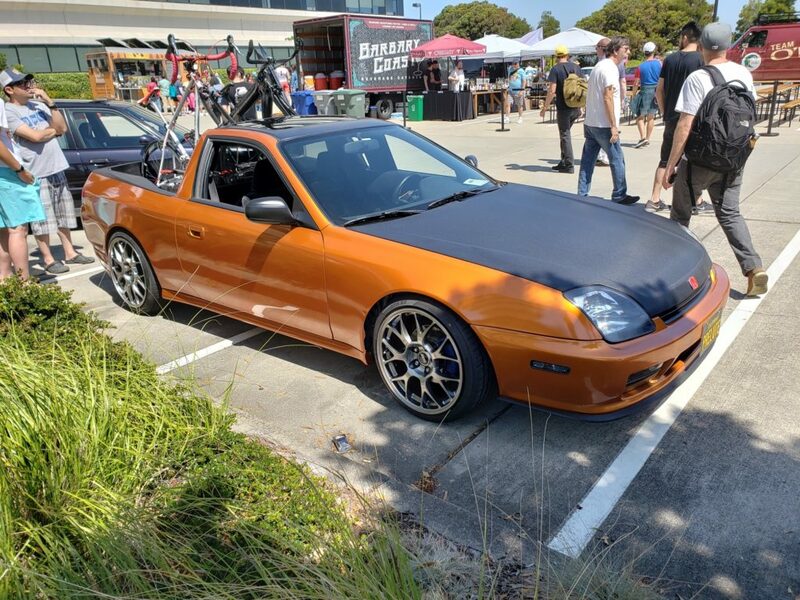 and He wants to keep it stock!!! 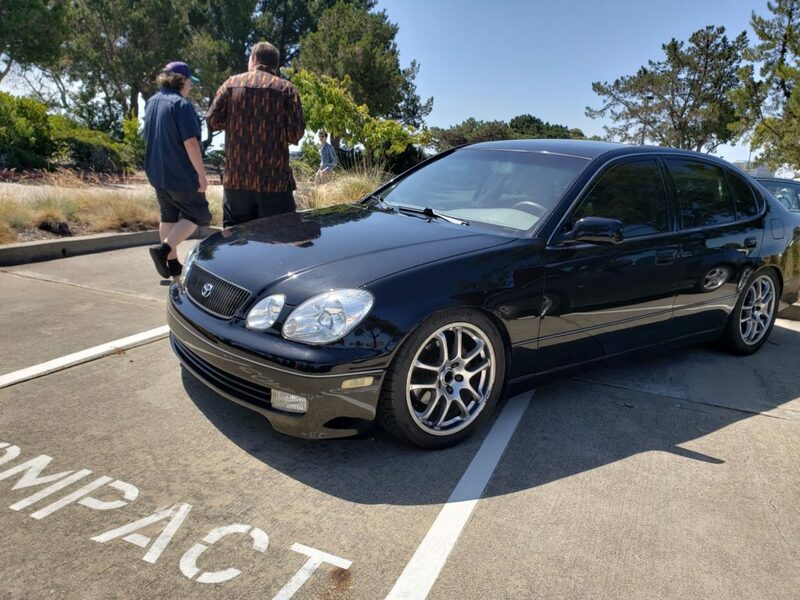 Probably one of the very few Cressidas that is the best in 2018. 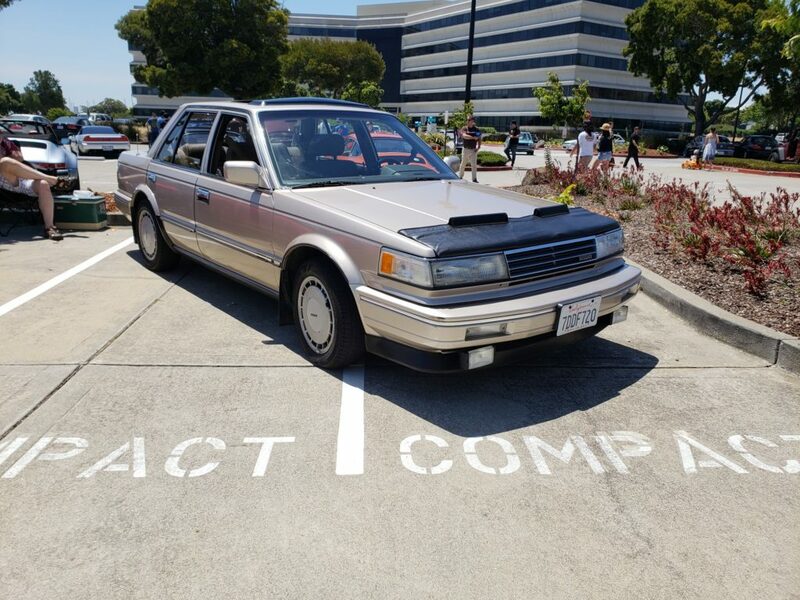 Not a drift missile. 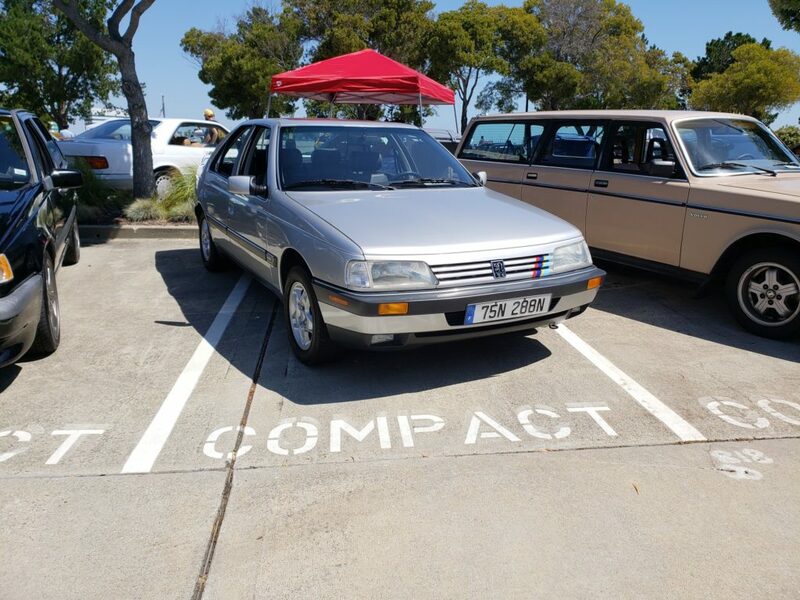 But how it should be!!!! 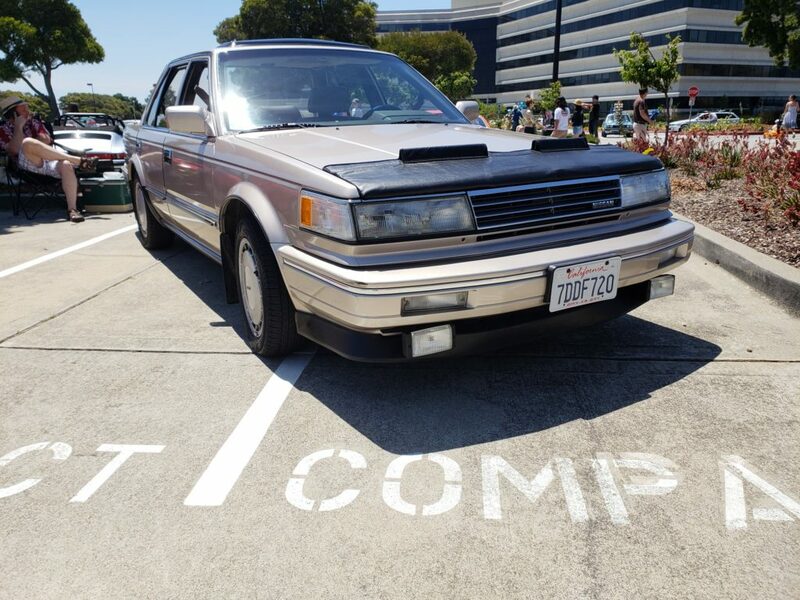 I can see 86 Corollas like this often, but a Camry.. that’s unique! 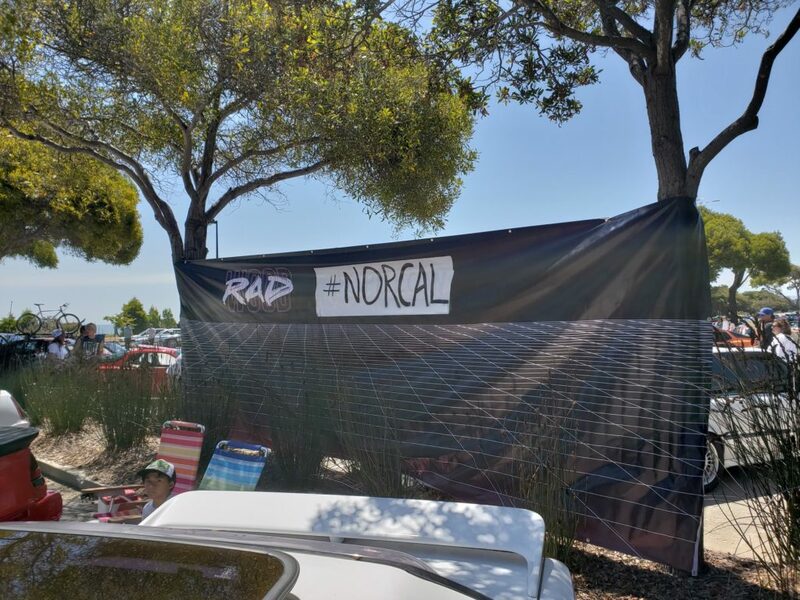 In conclusion, it was a RAD show and tons of fun! 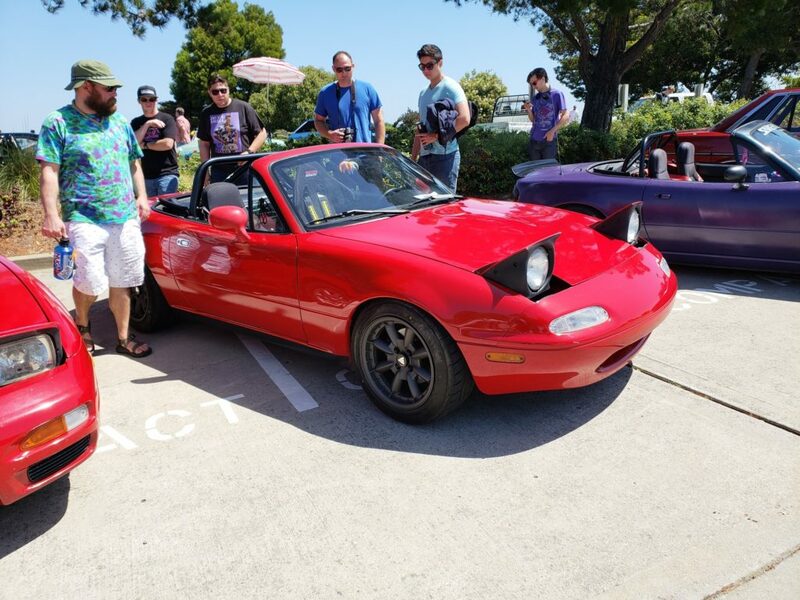 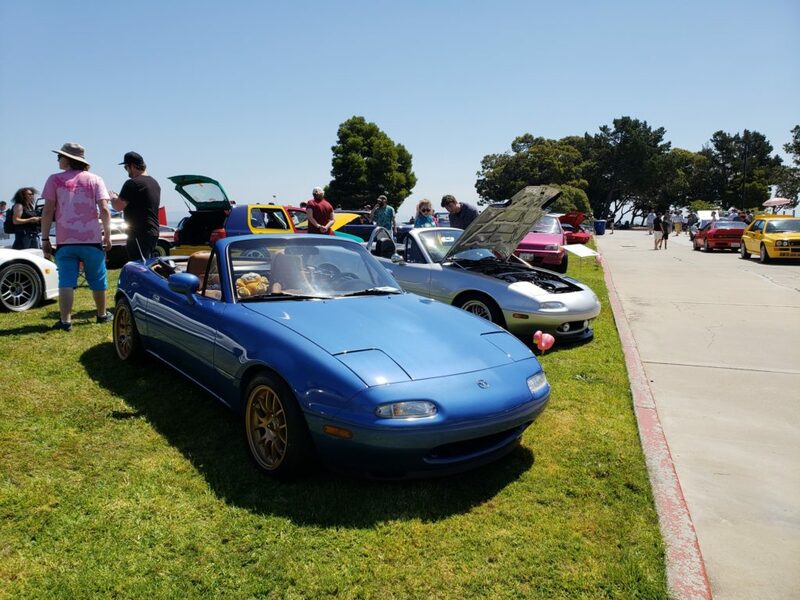 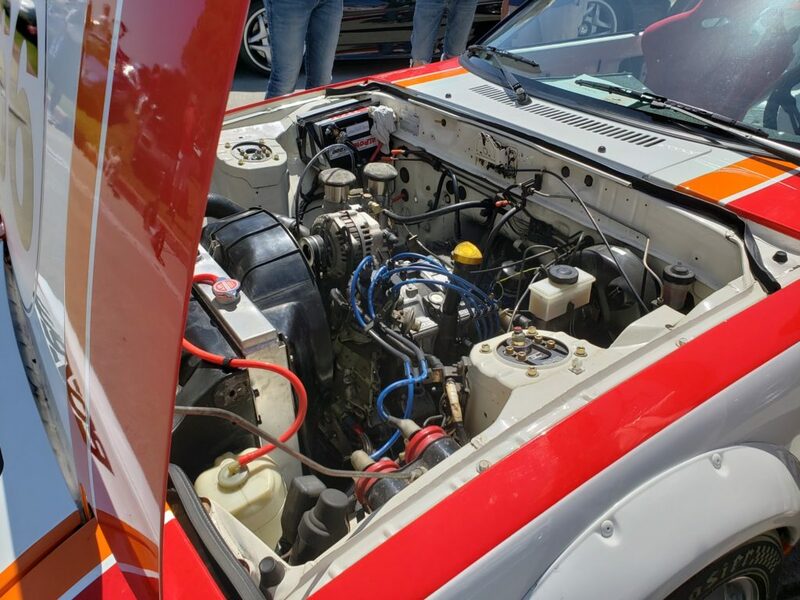 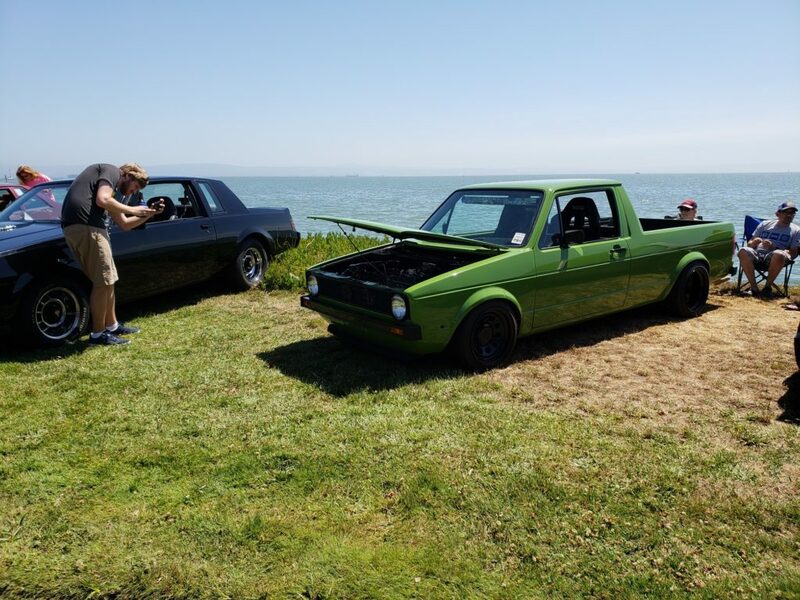 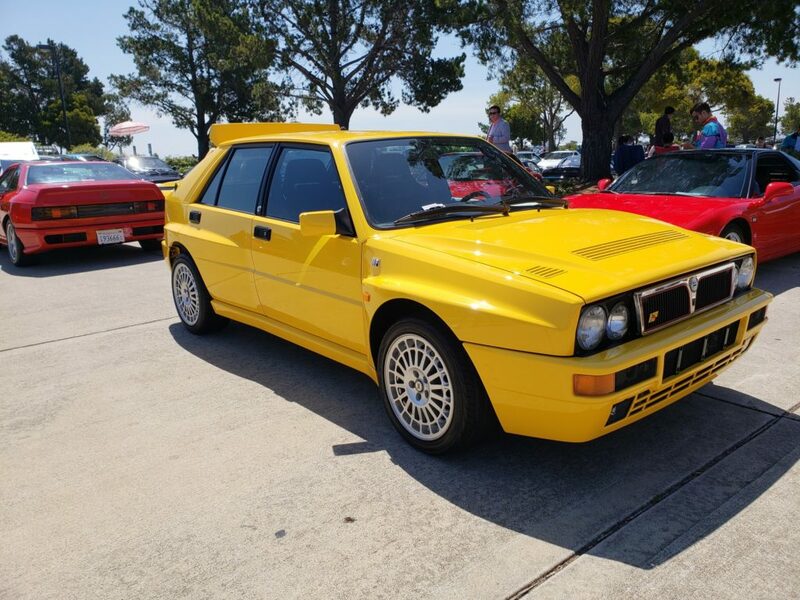 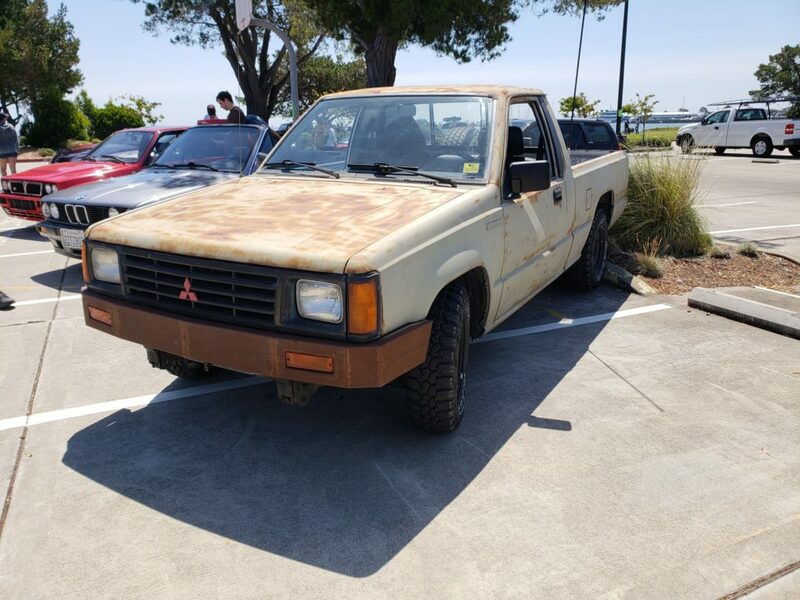 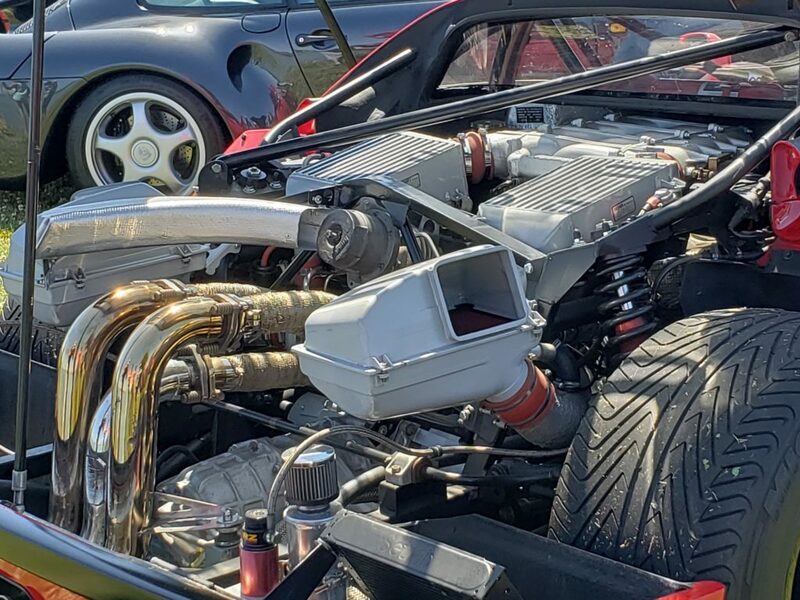 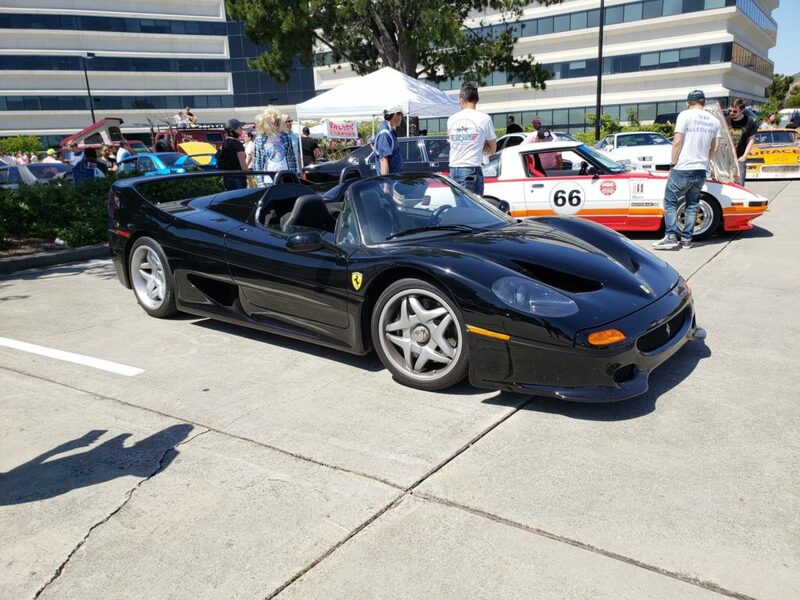 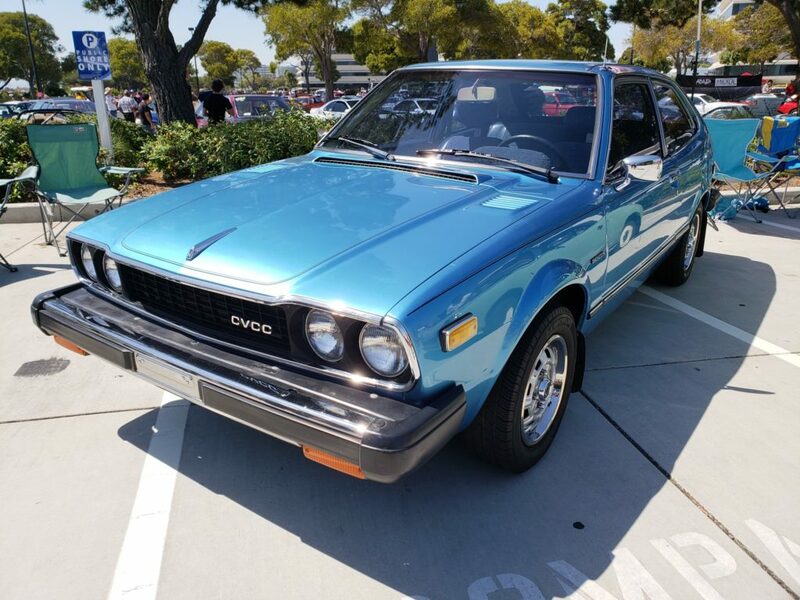 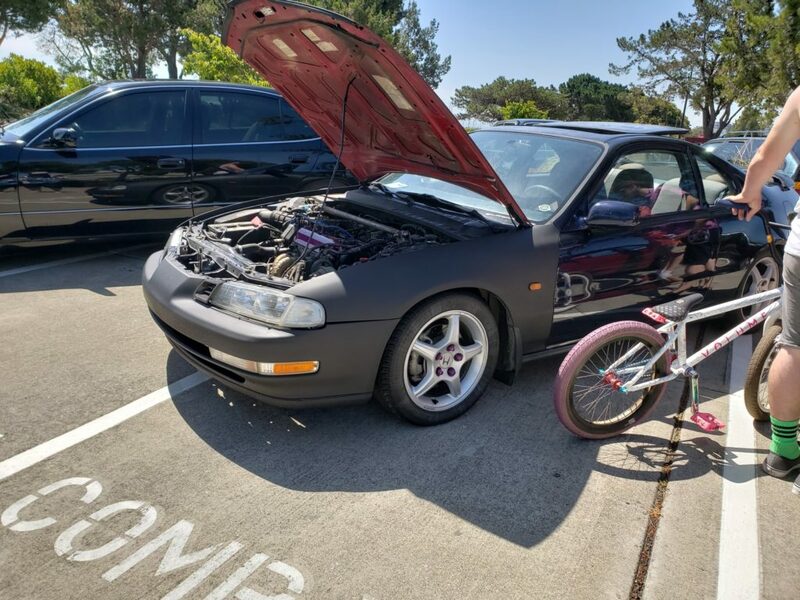 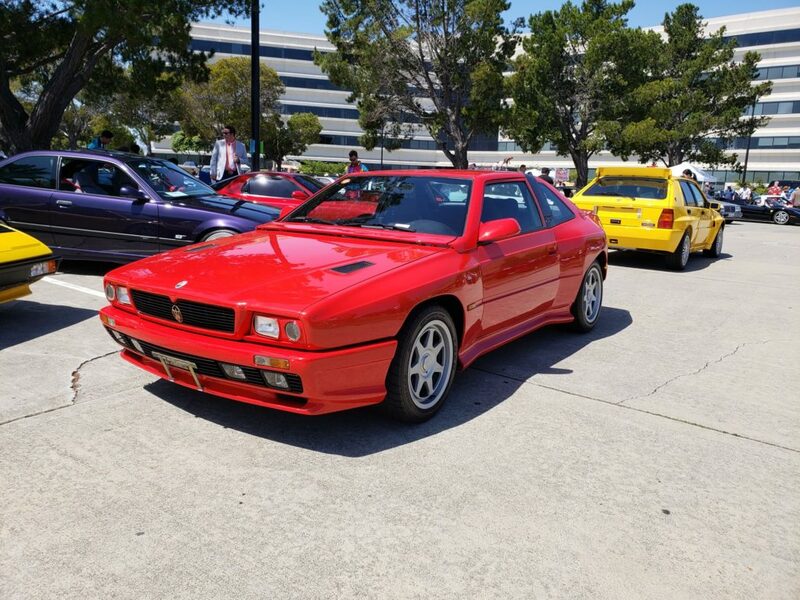 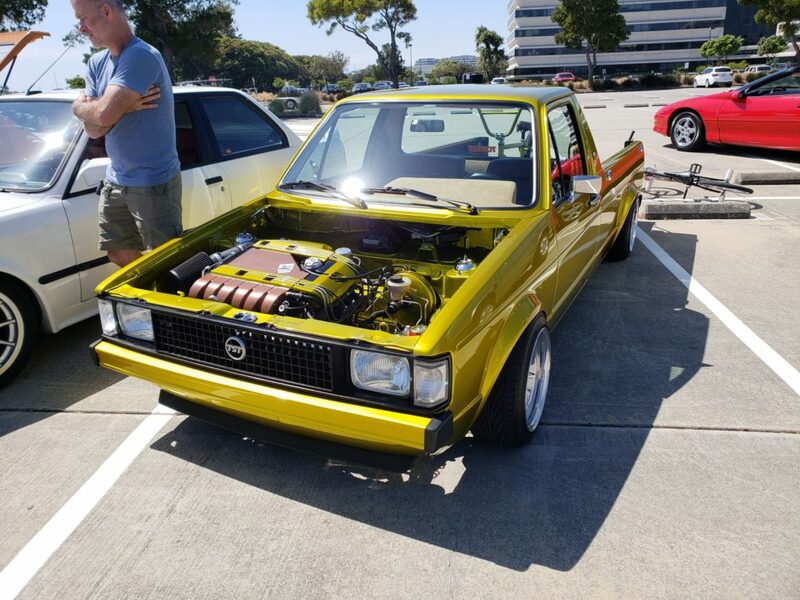 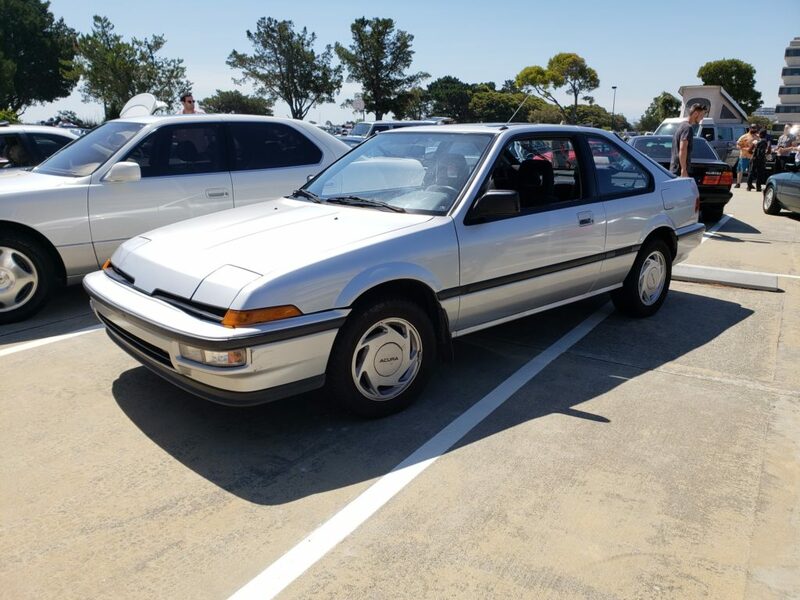 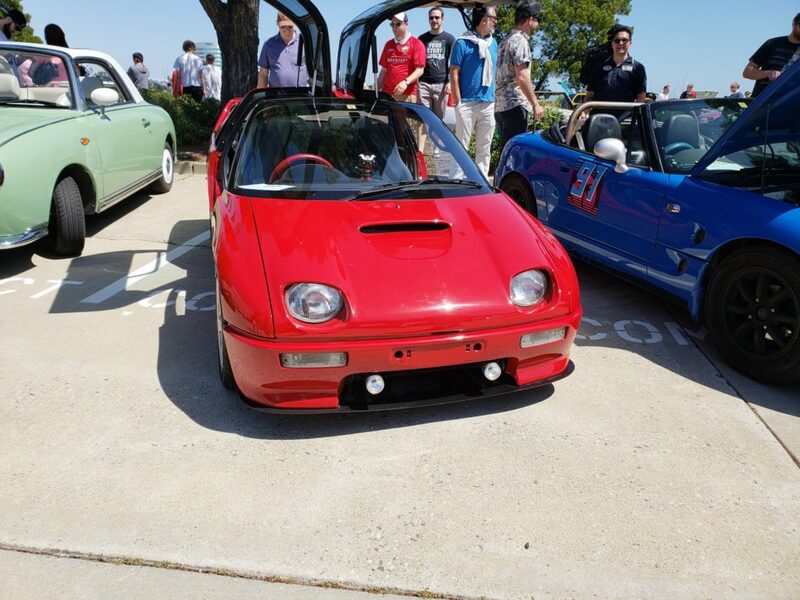 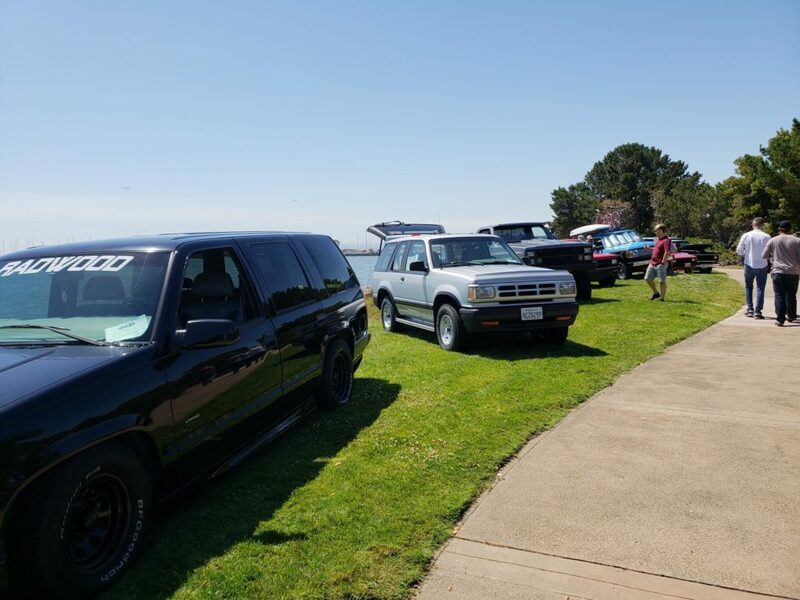 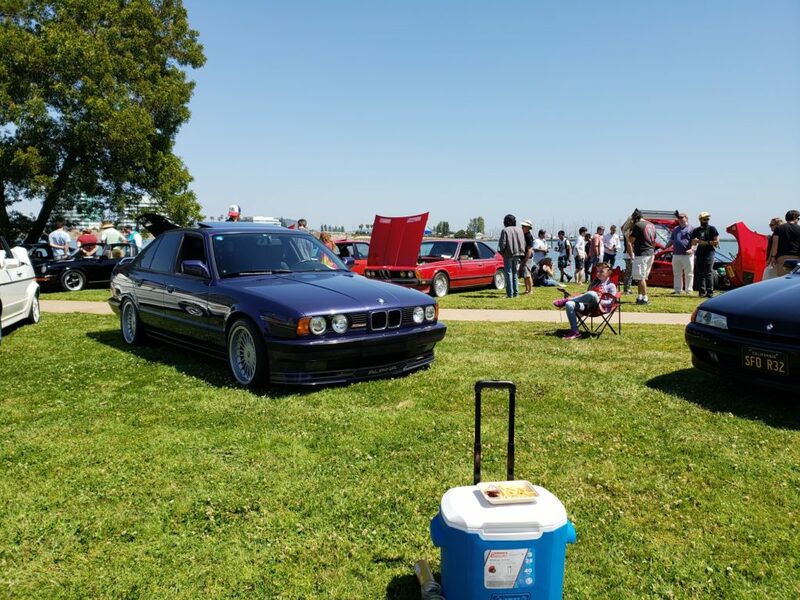 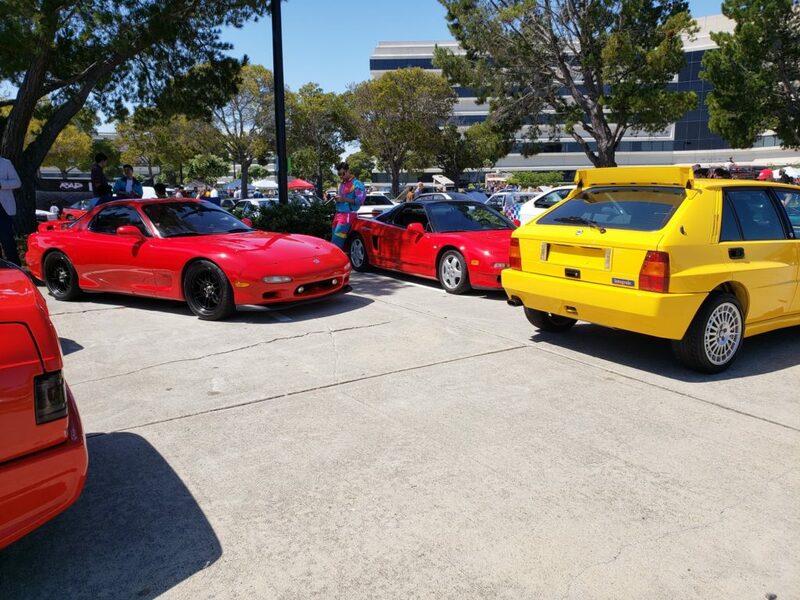 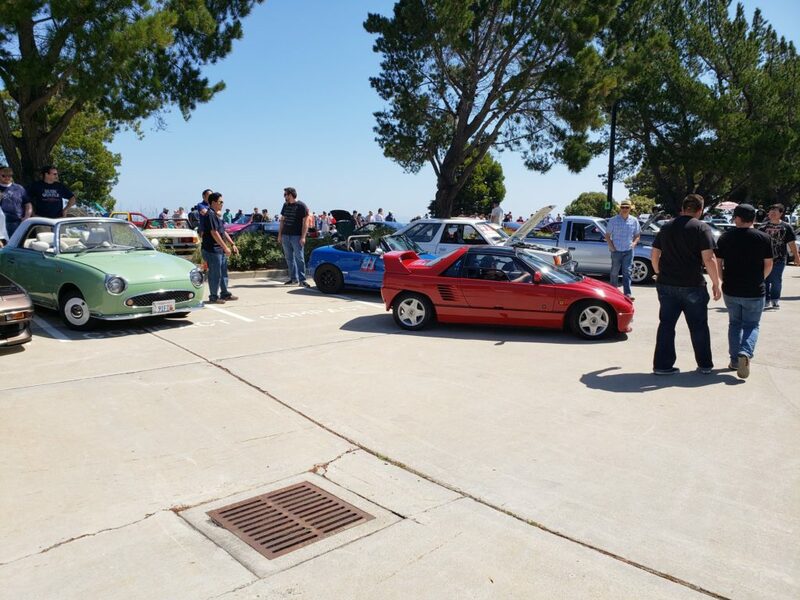 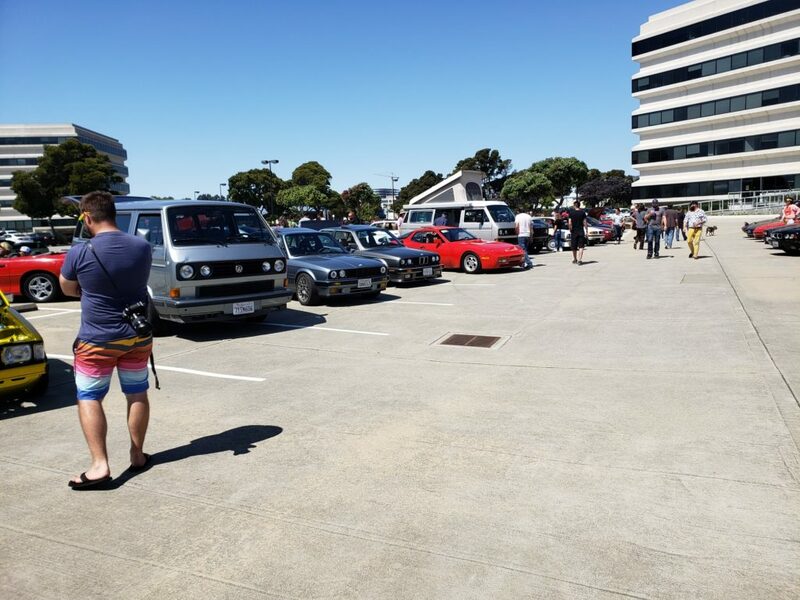 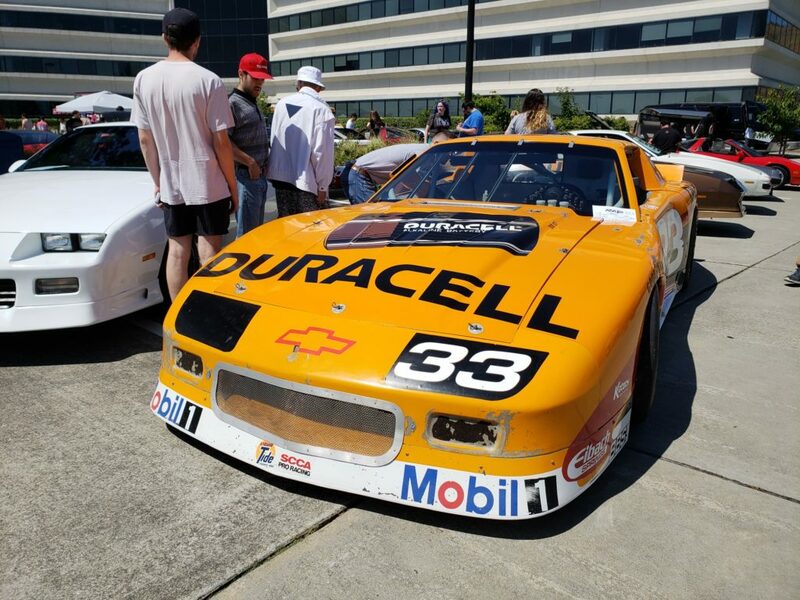 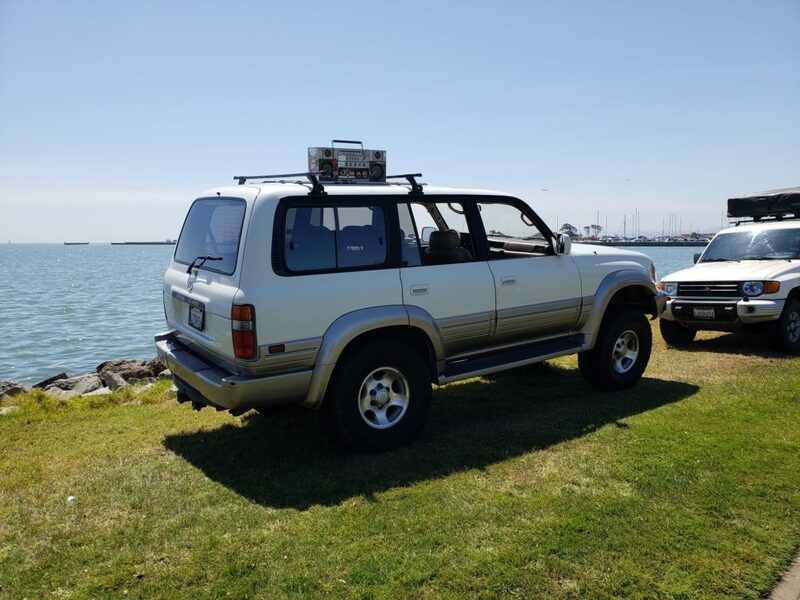 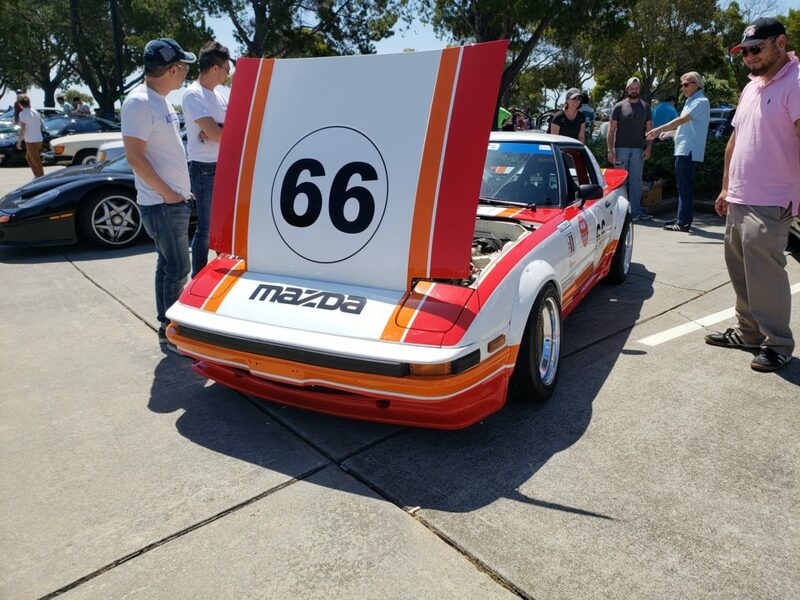 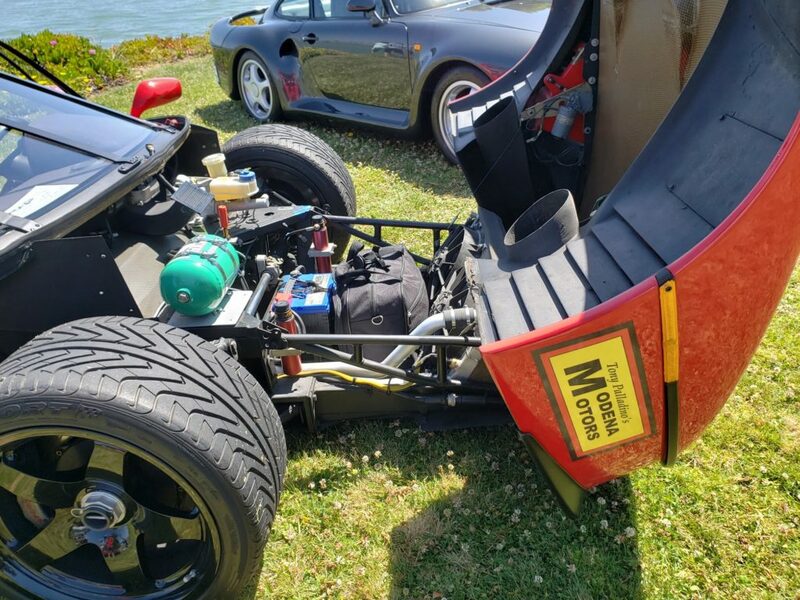 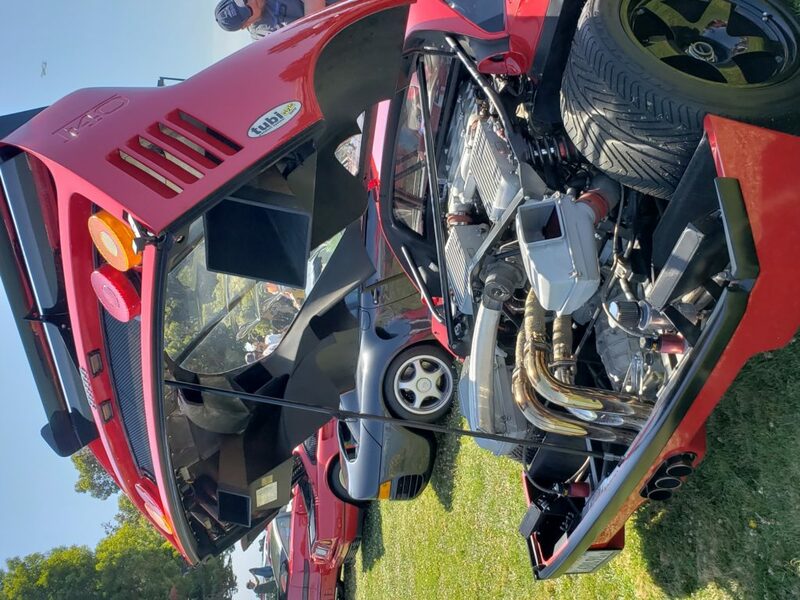 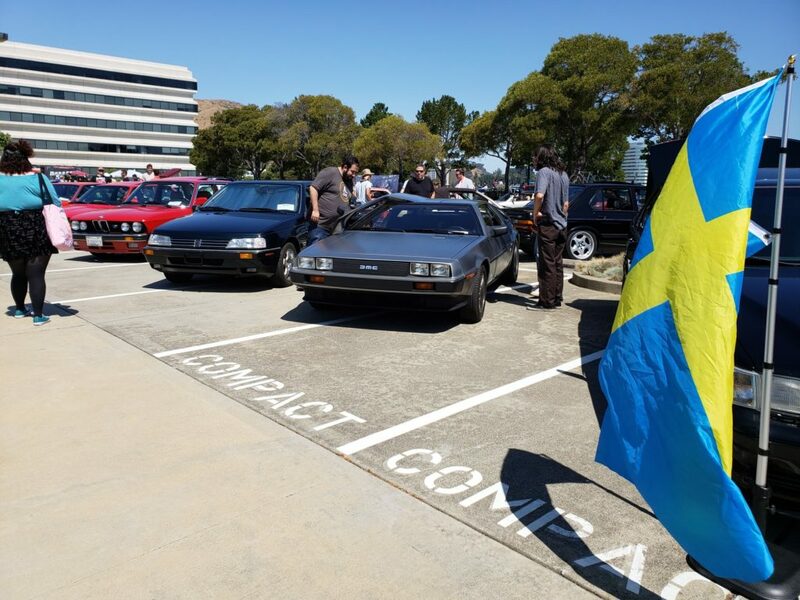 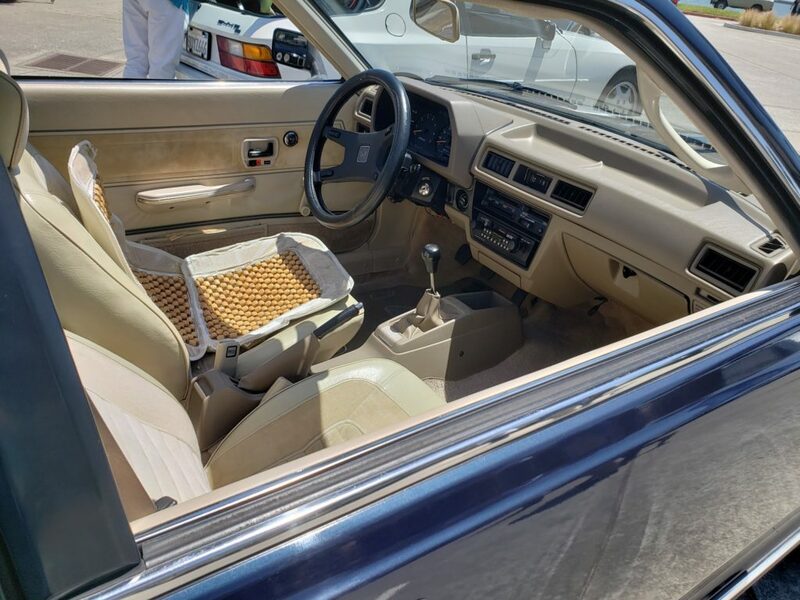 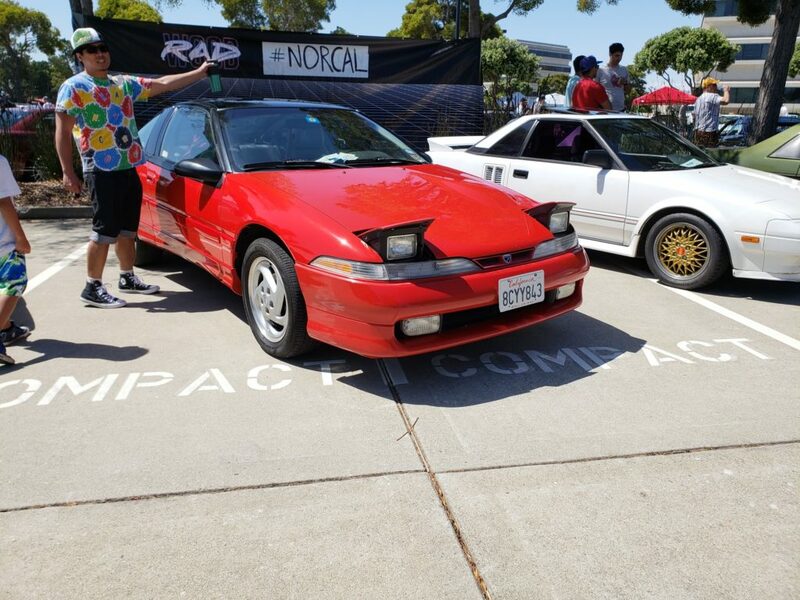 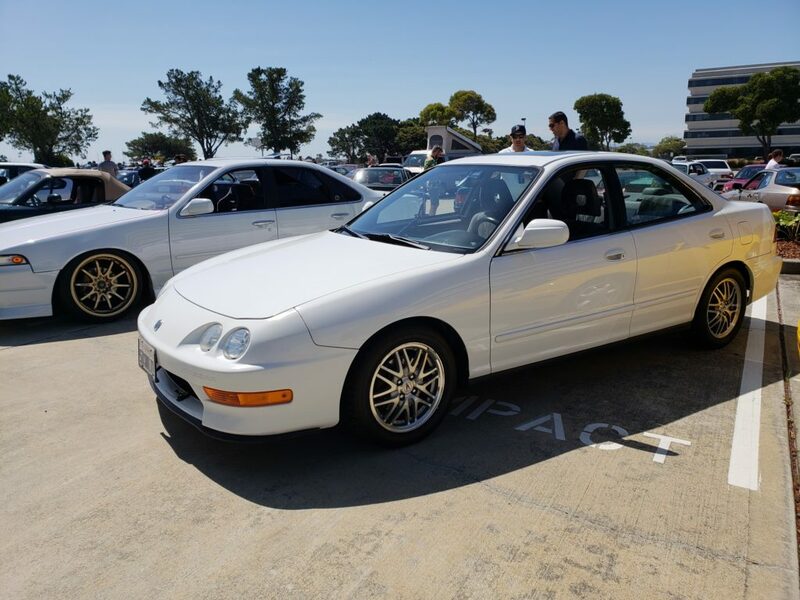 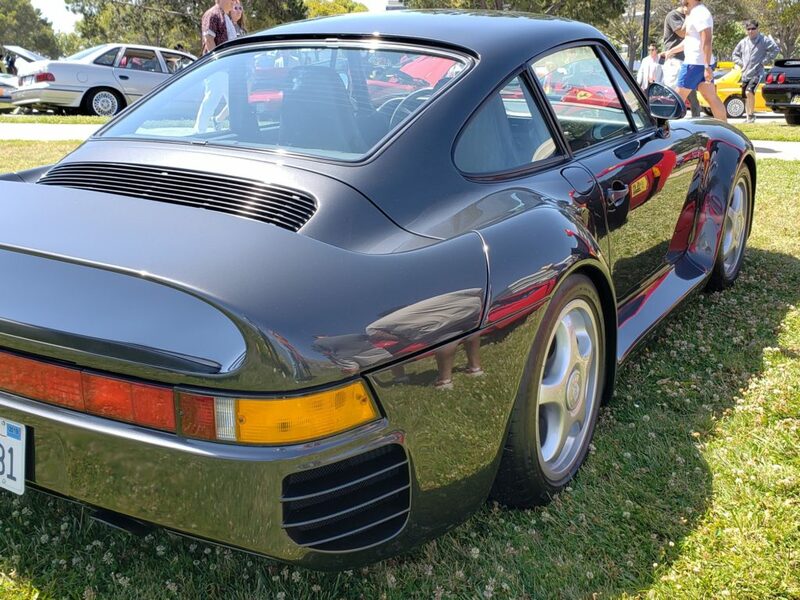 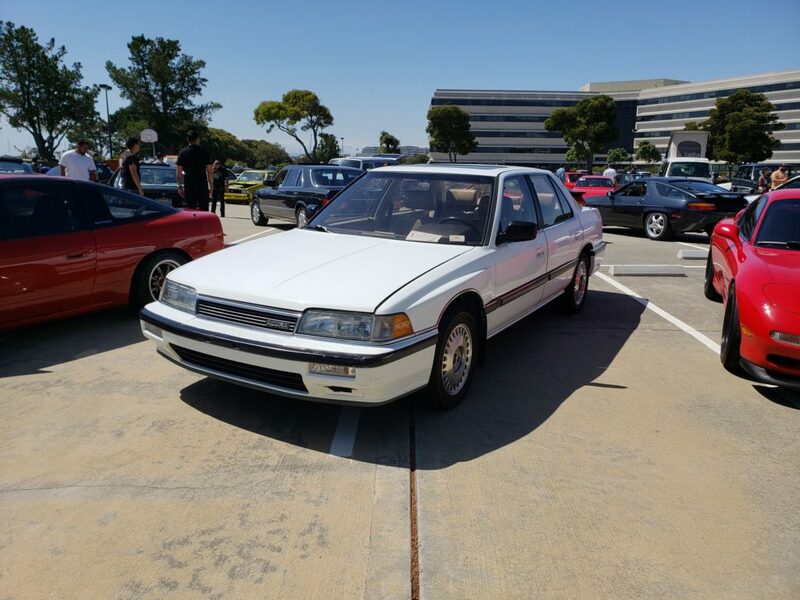 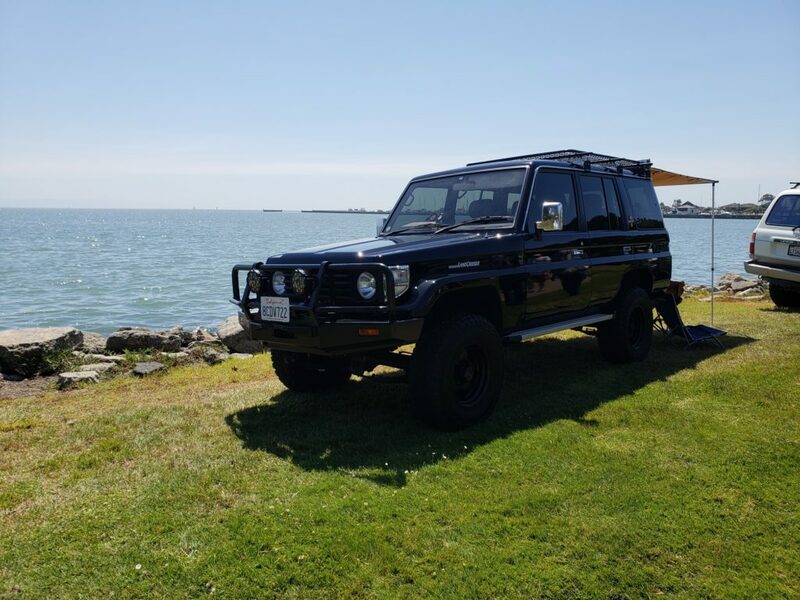 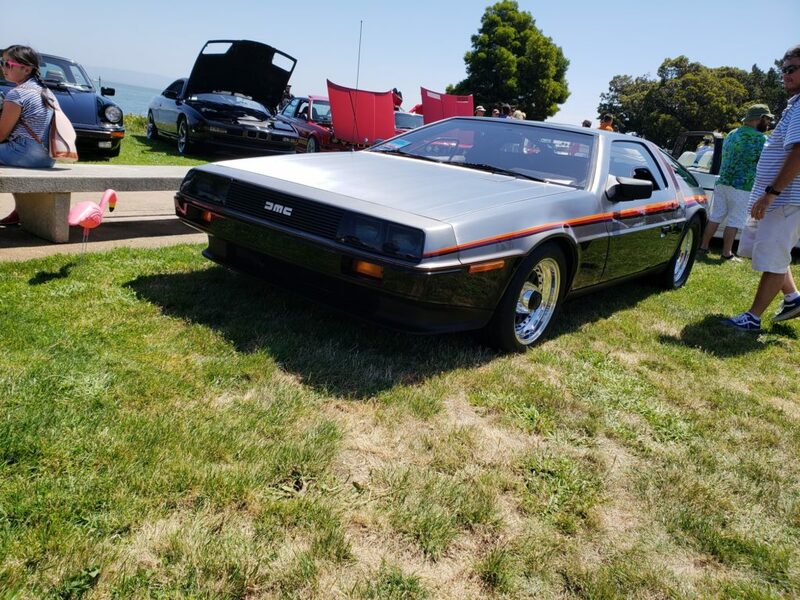 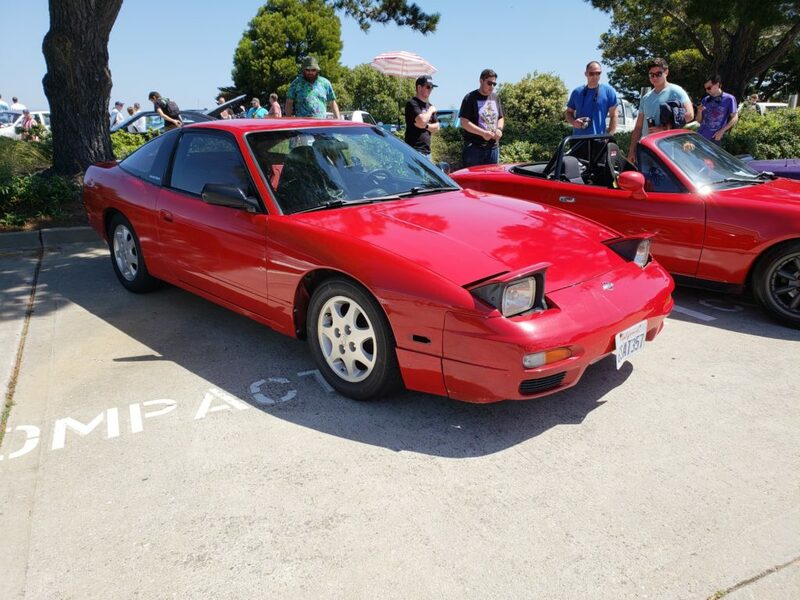 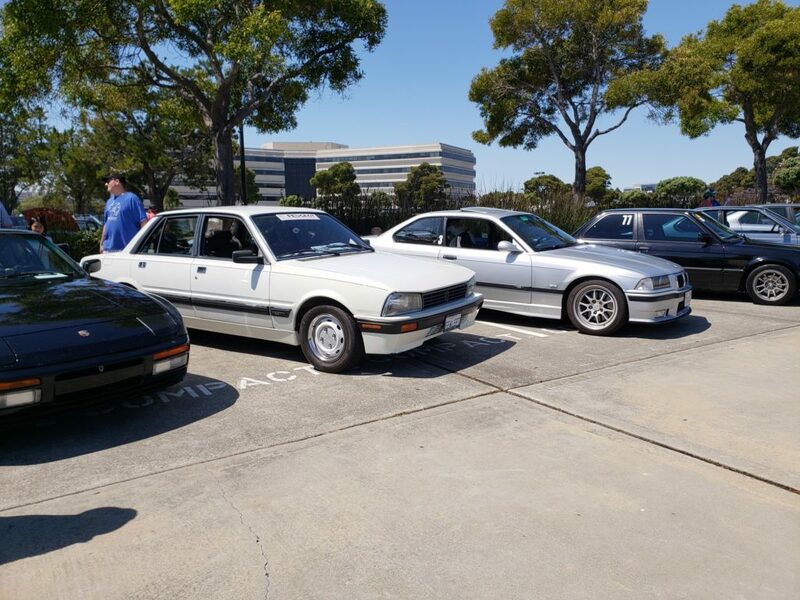 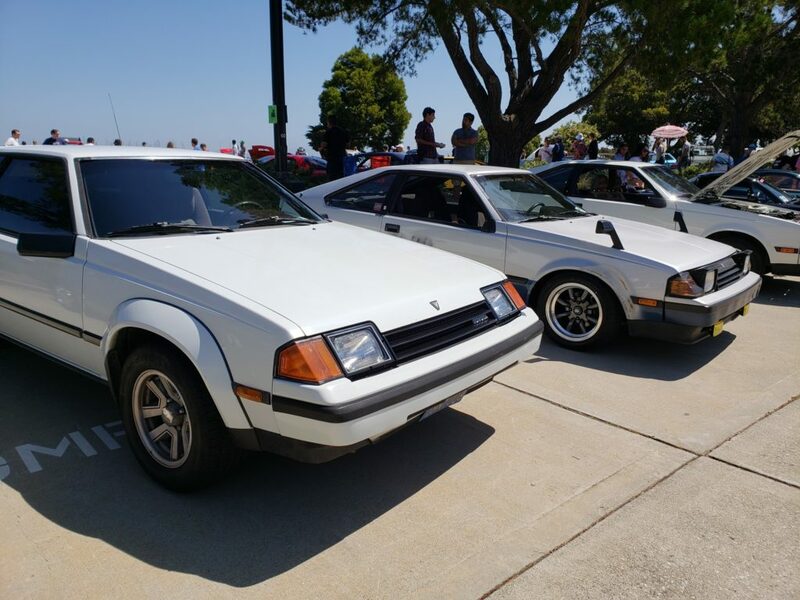 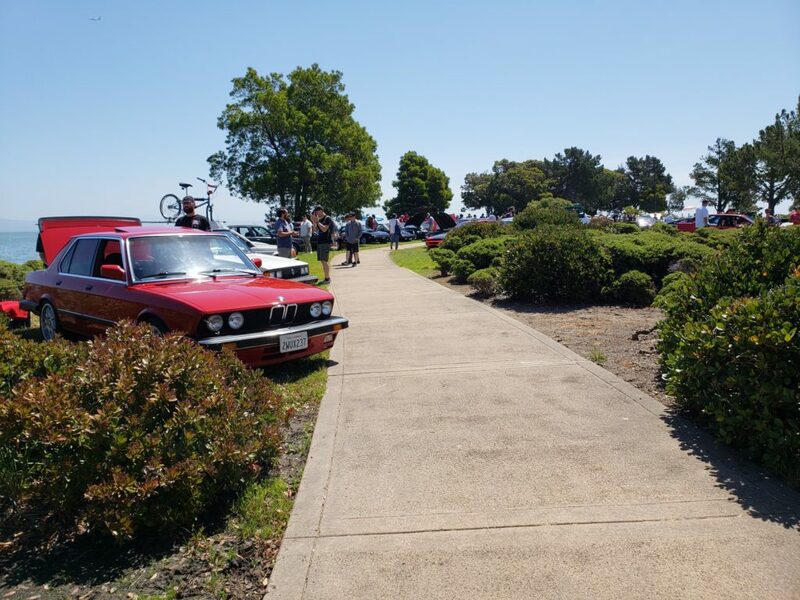 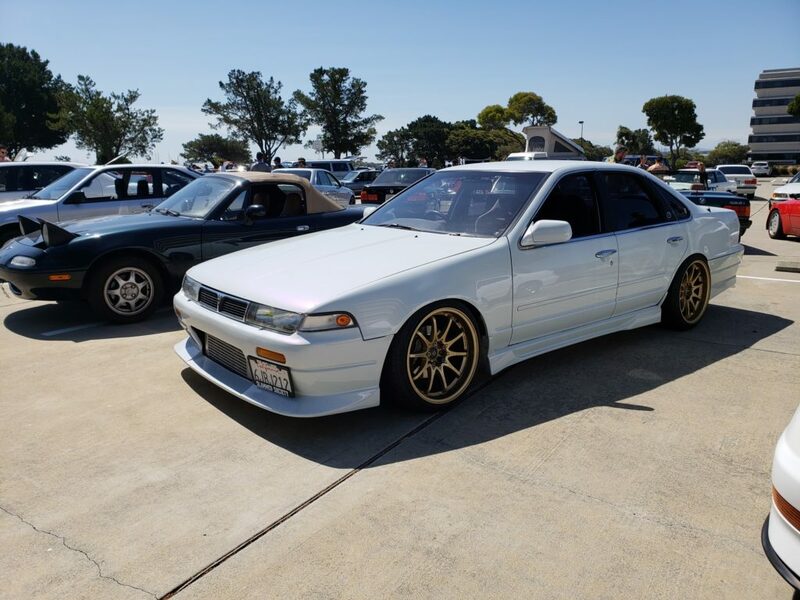 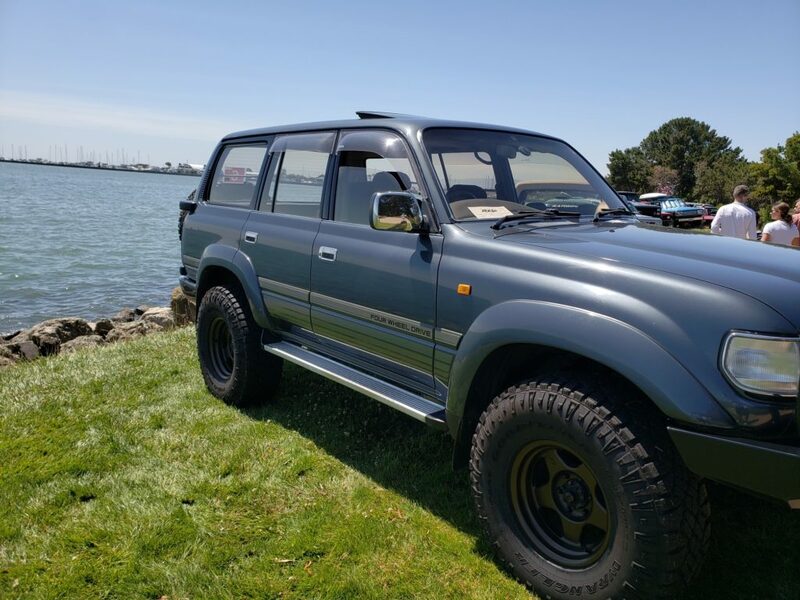 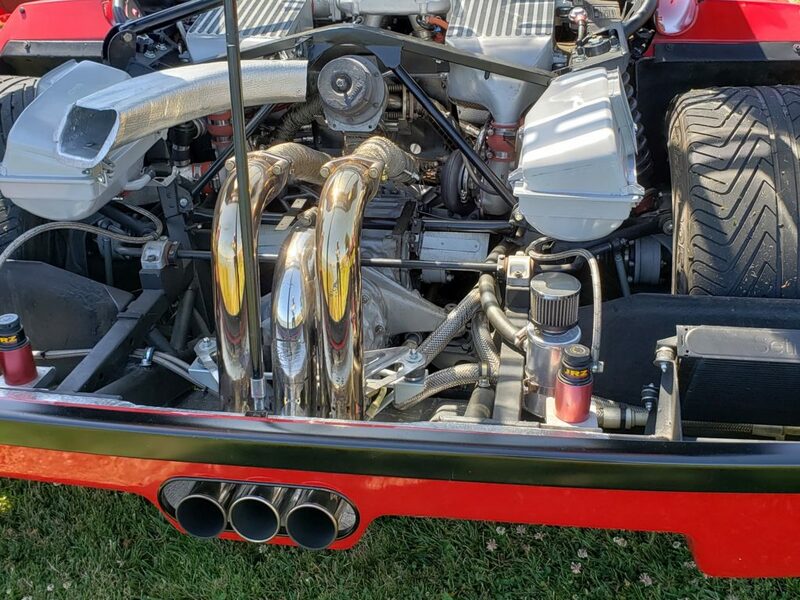 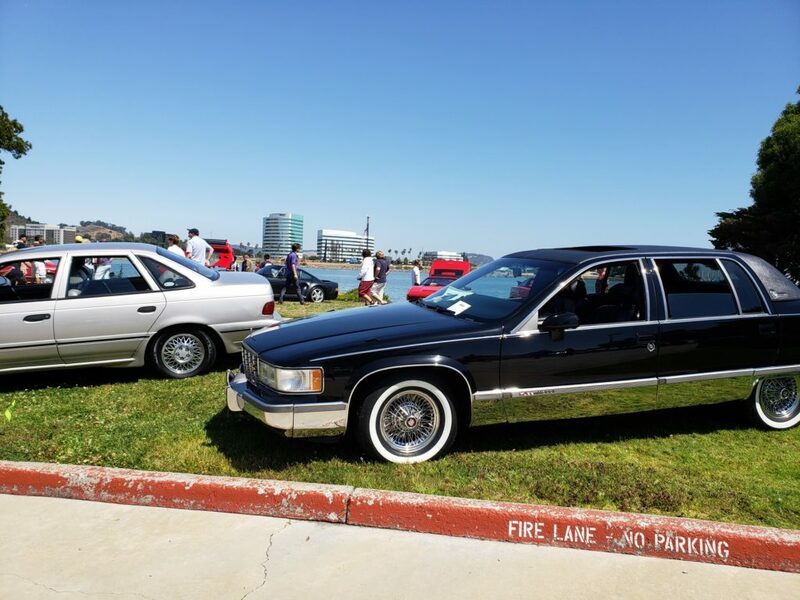 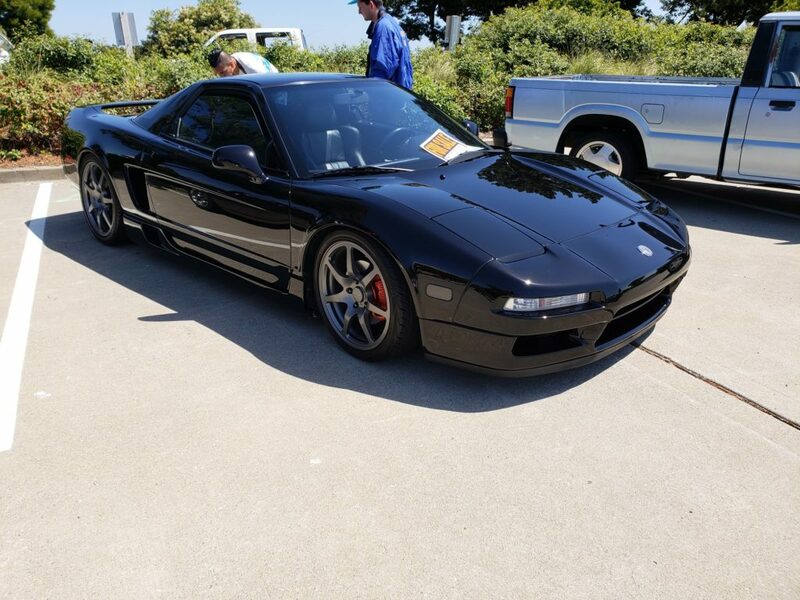 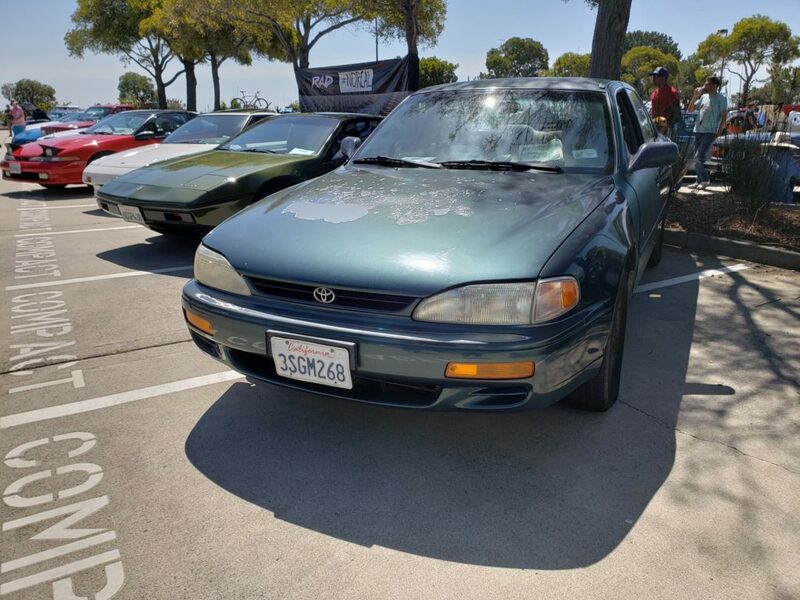 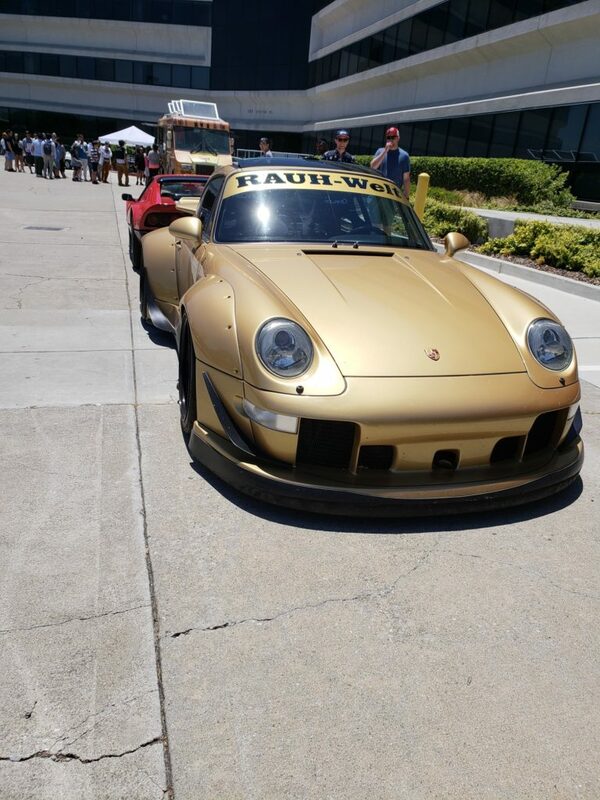 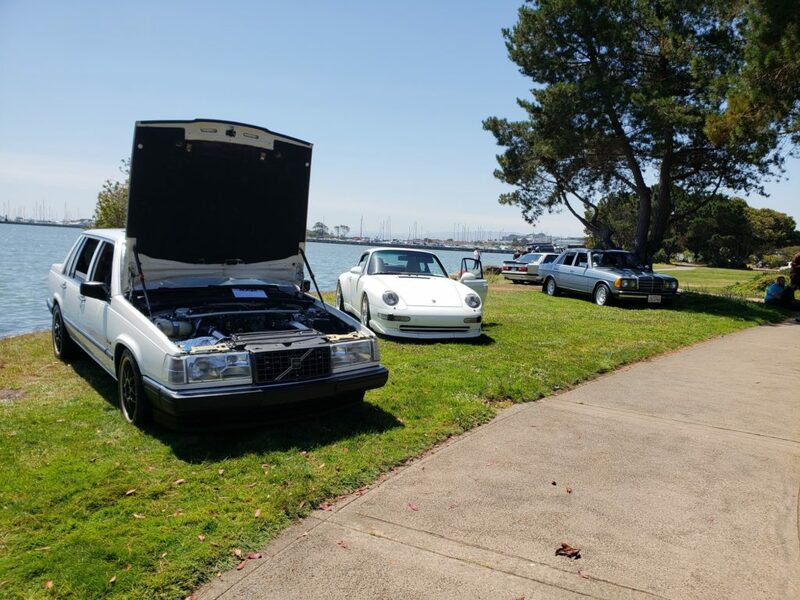 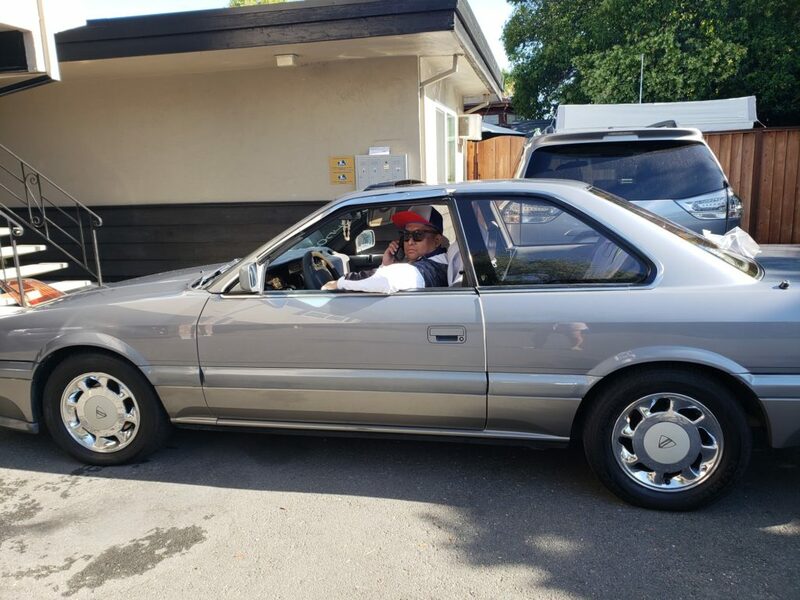 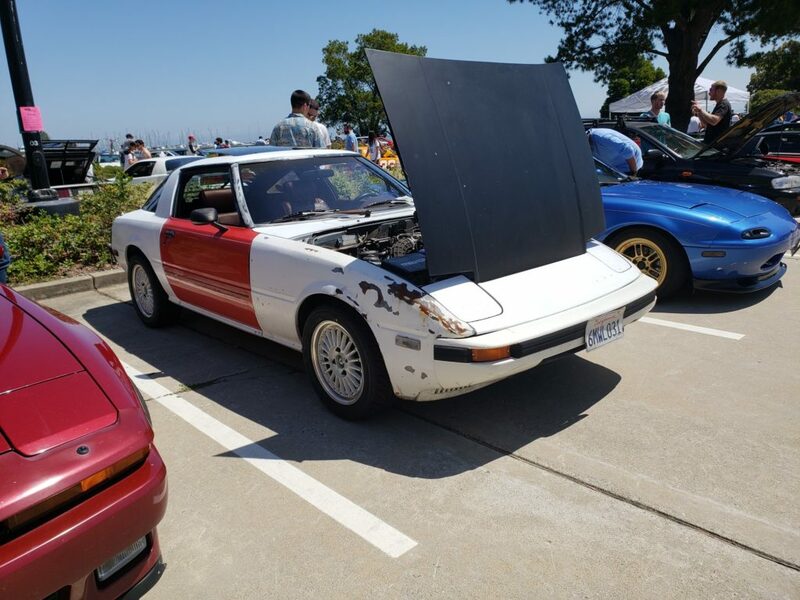 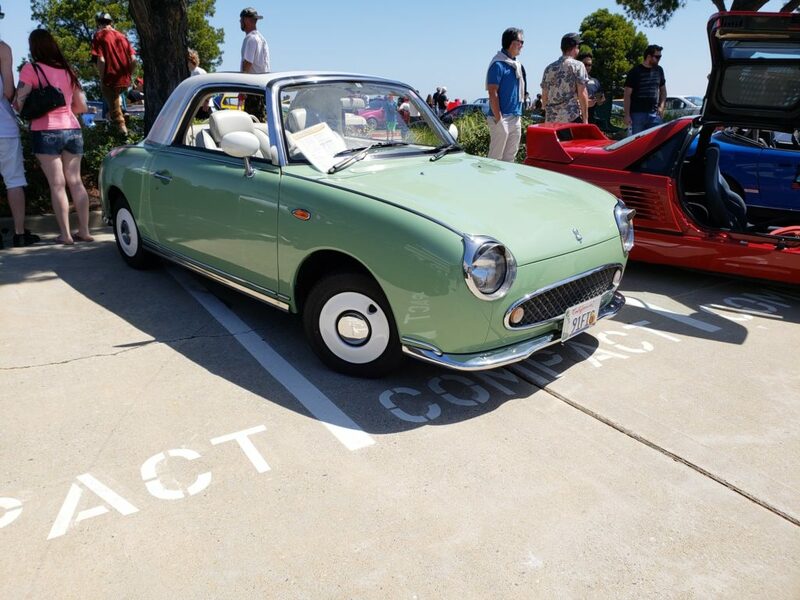 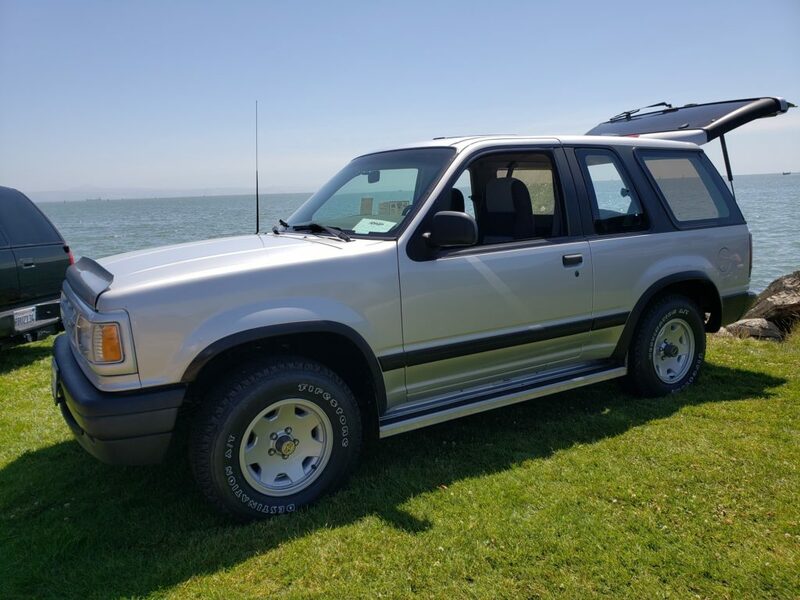 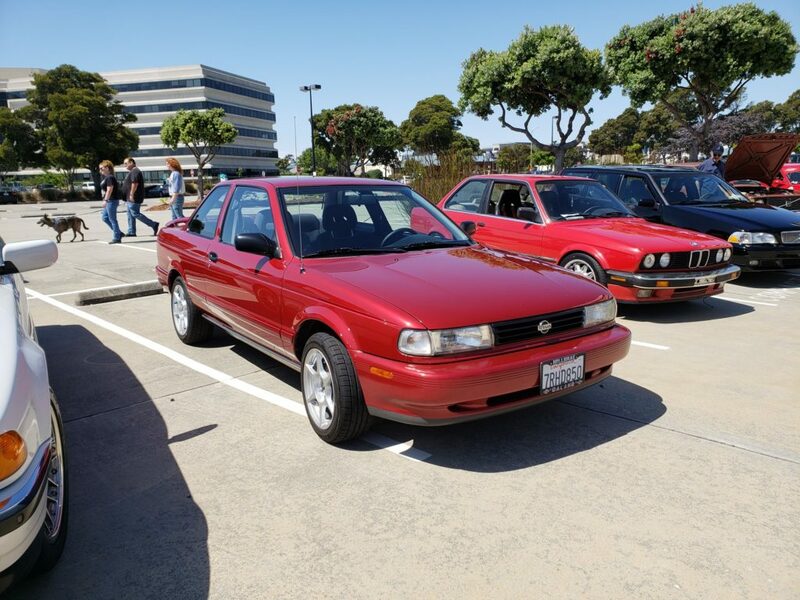 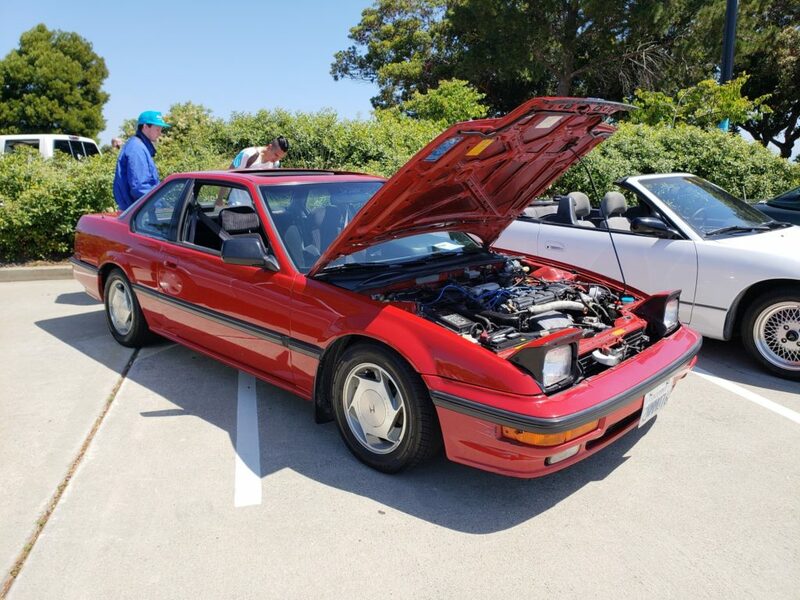 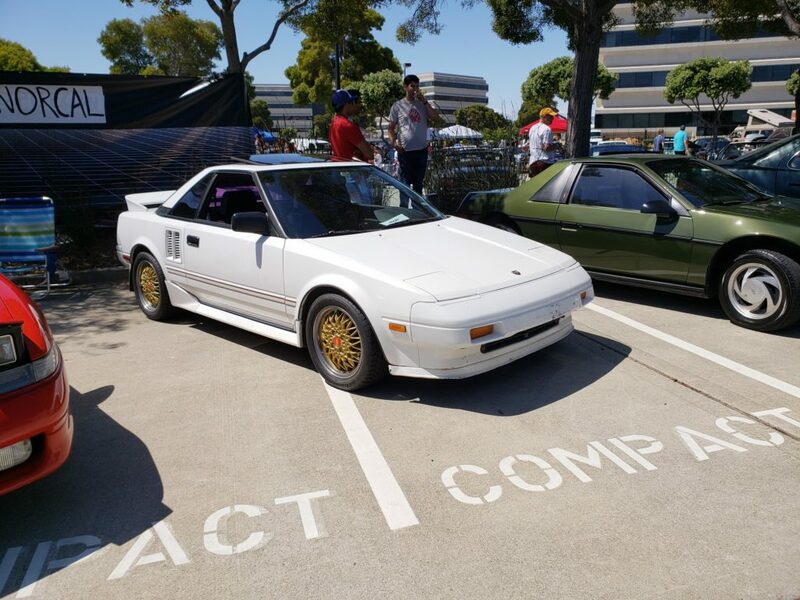 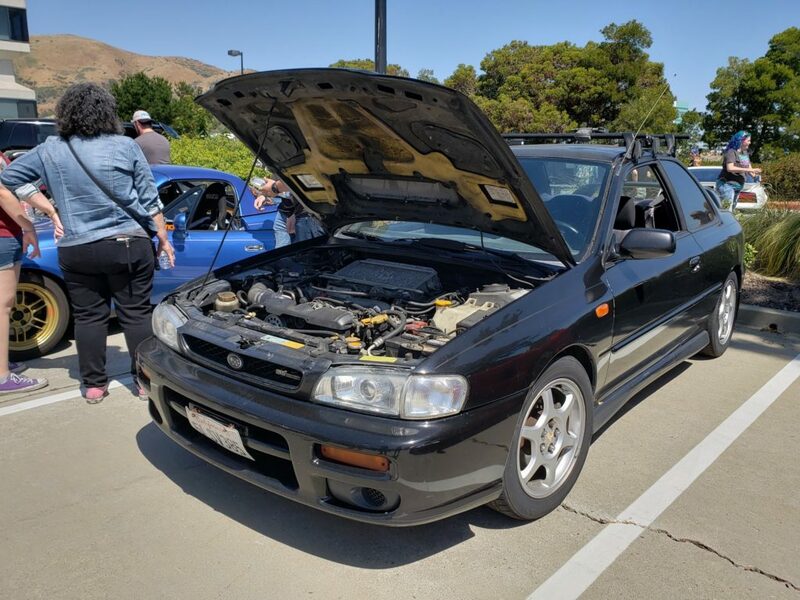 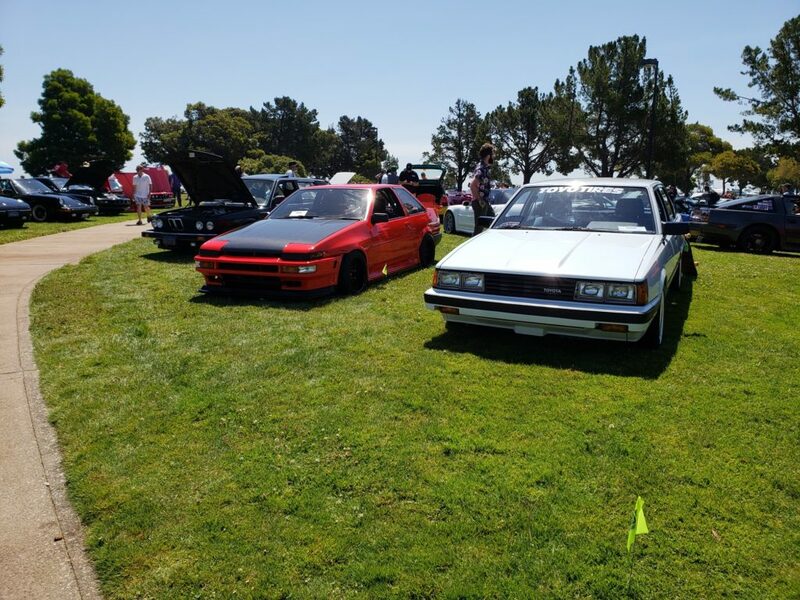 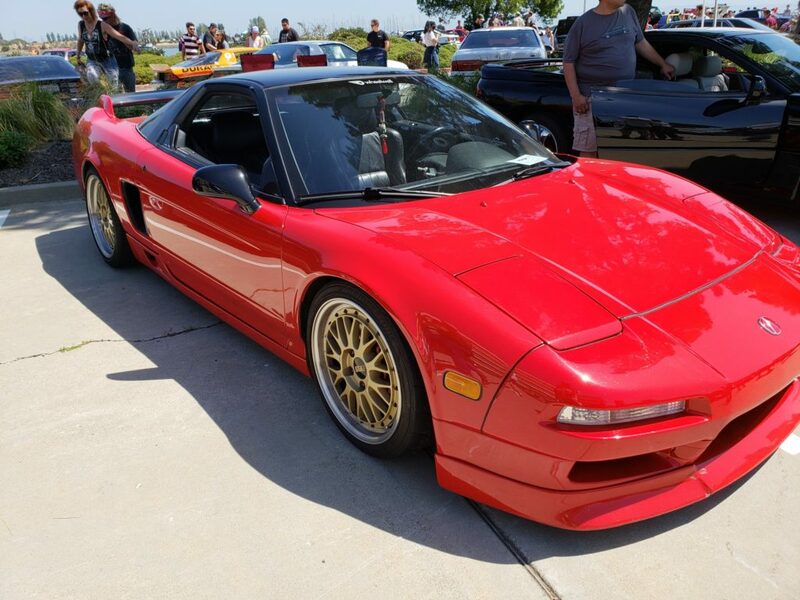 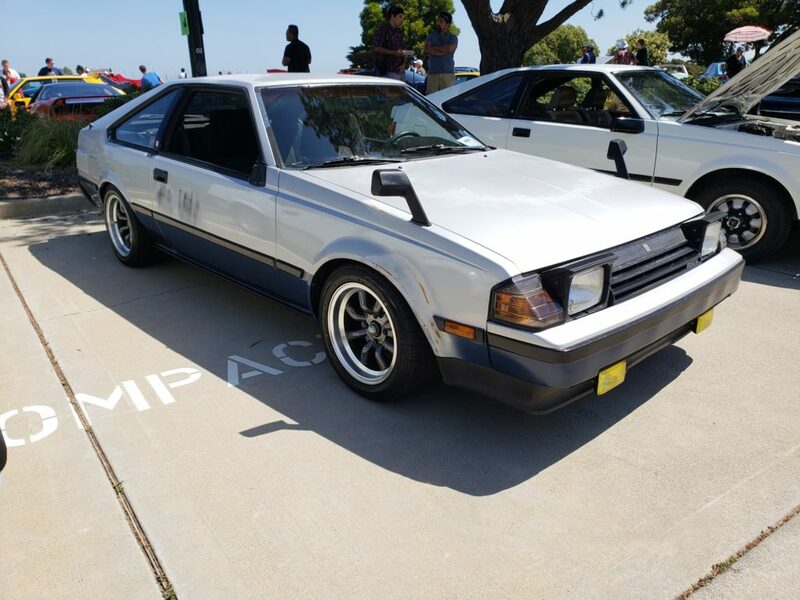 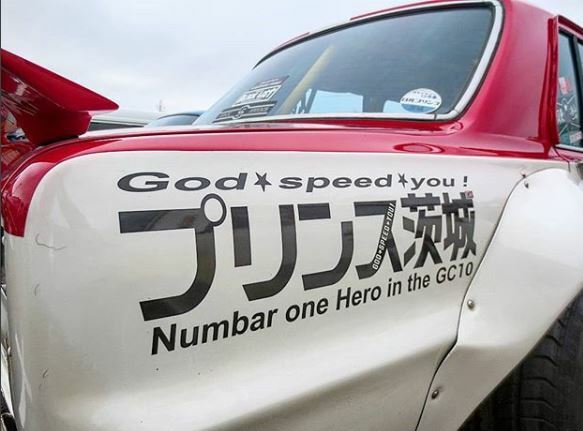 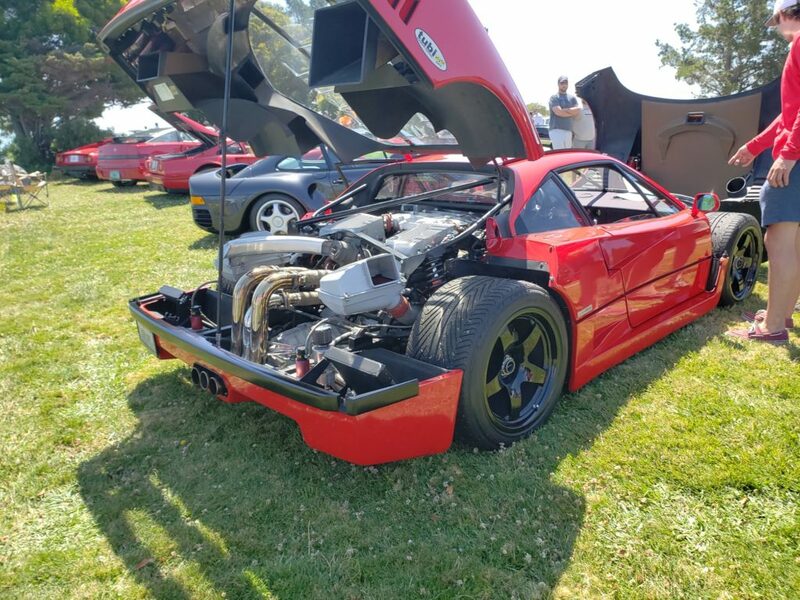 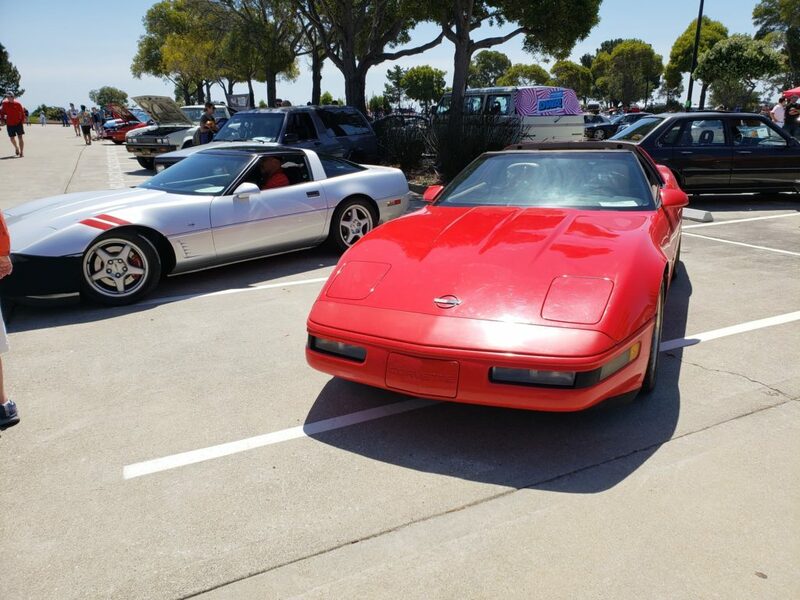 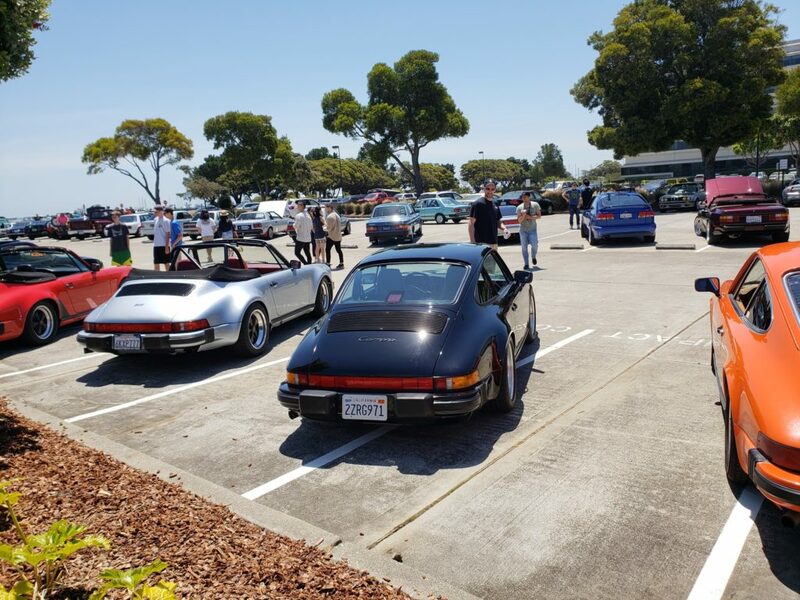 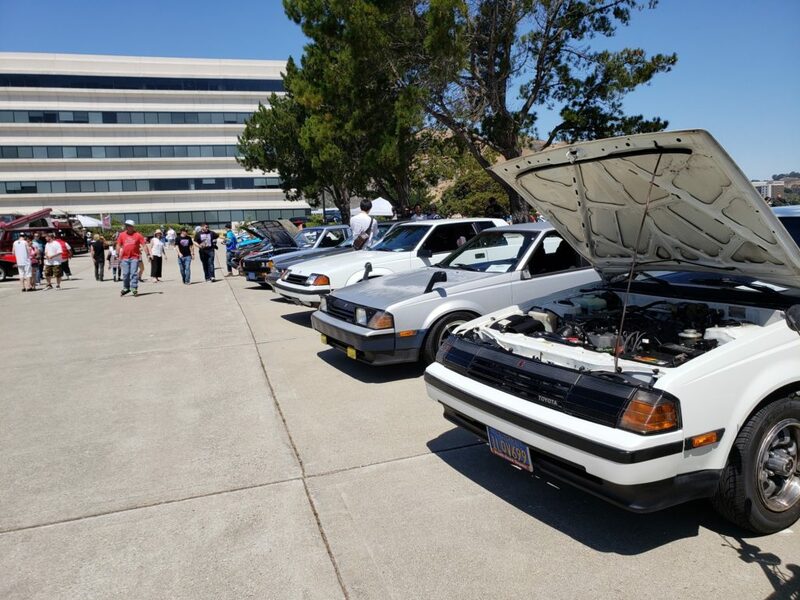 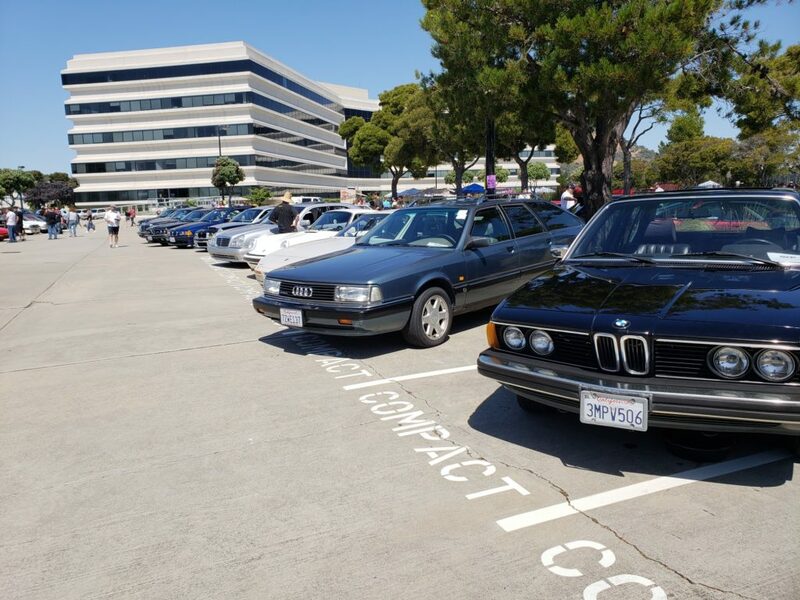 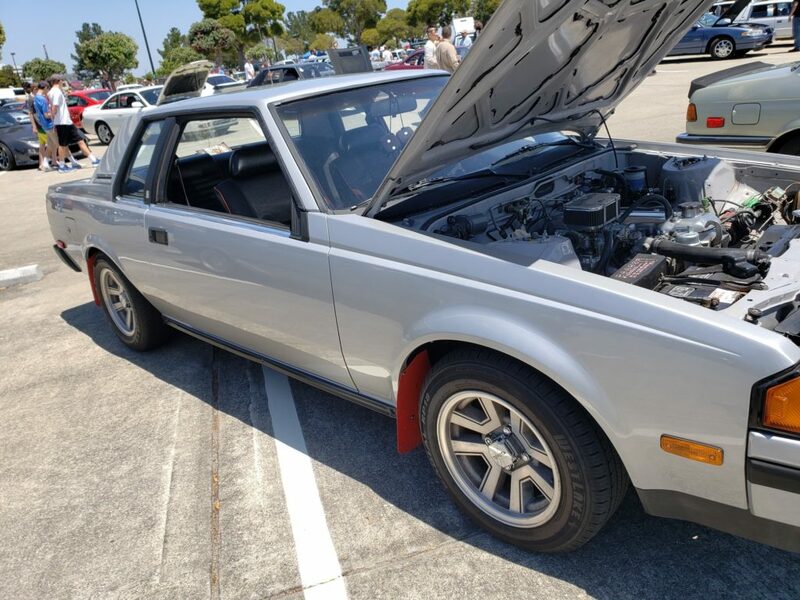 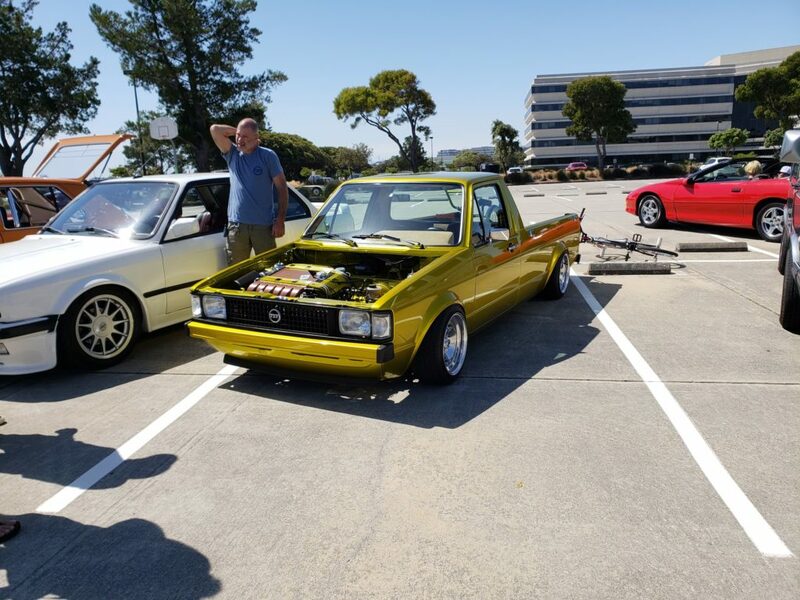 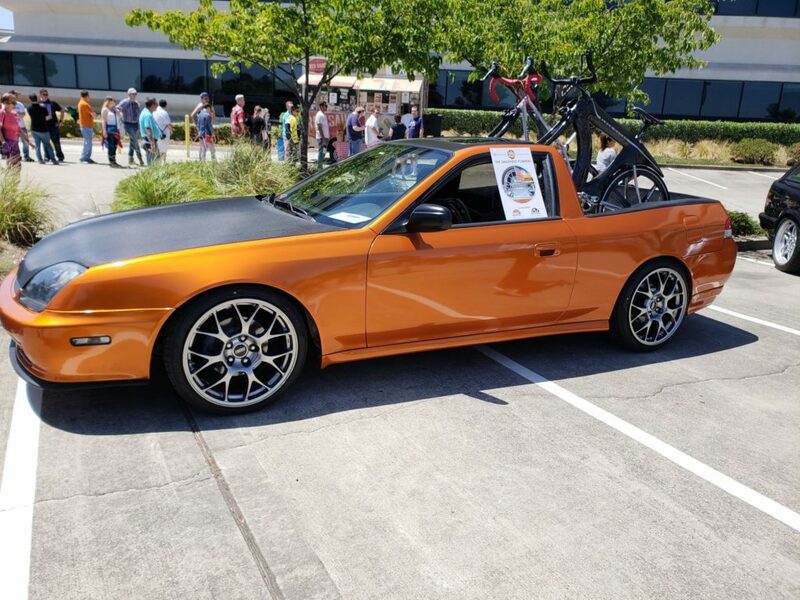 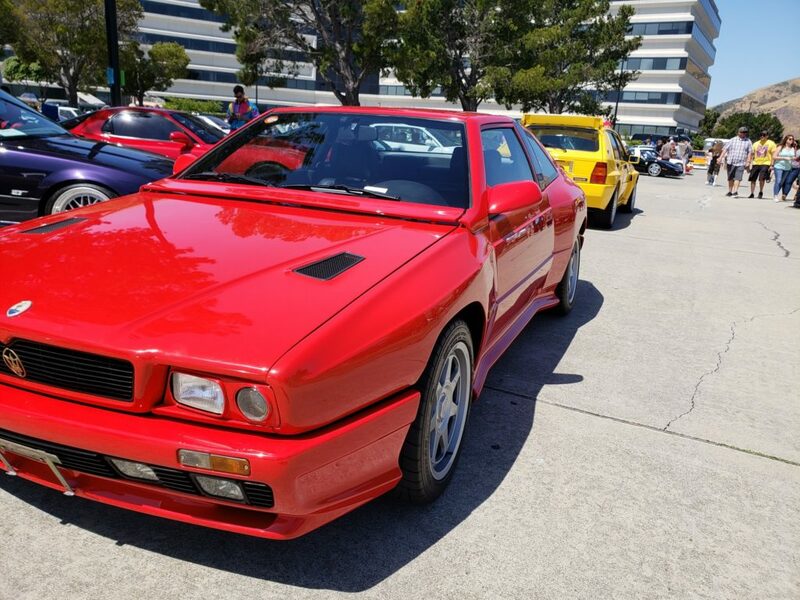 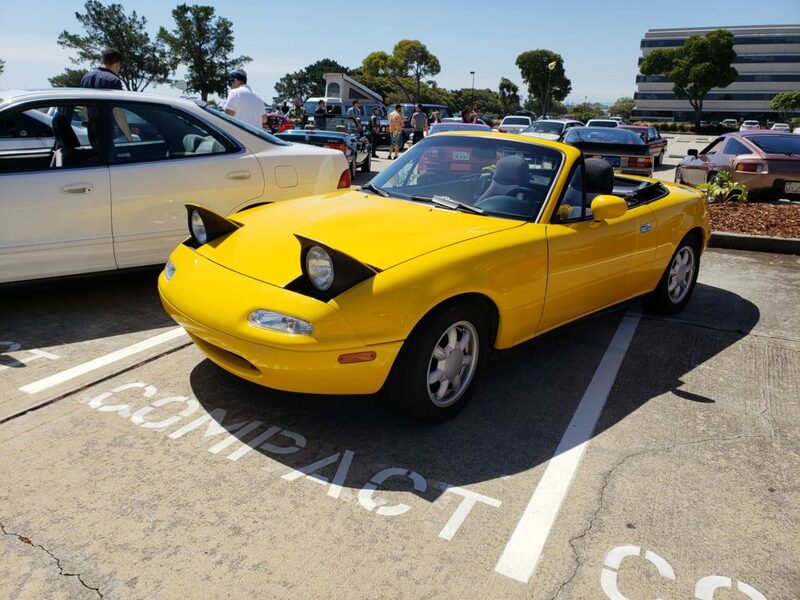 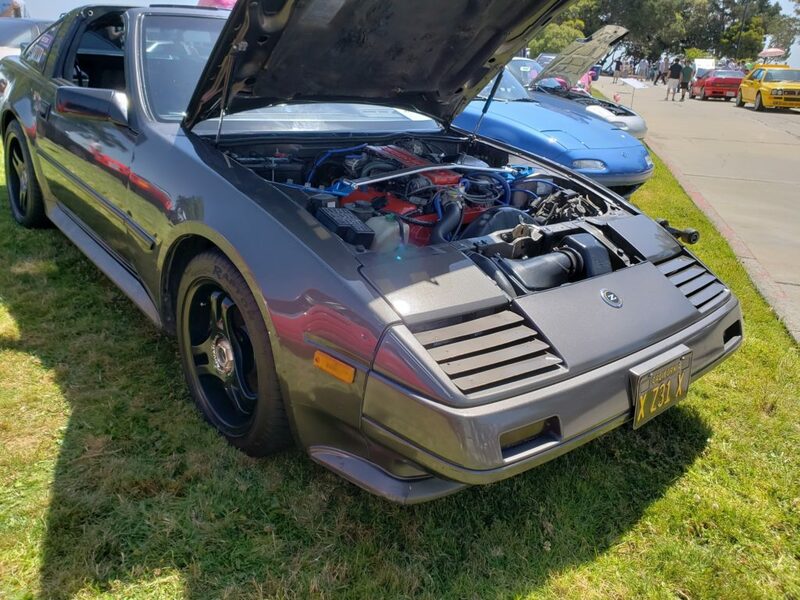 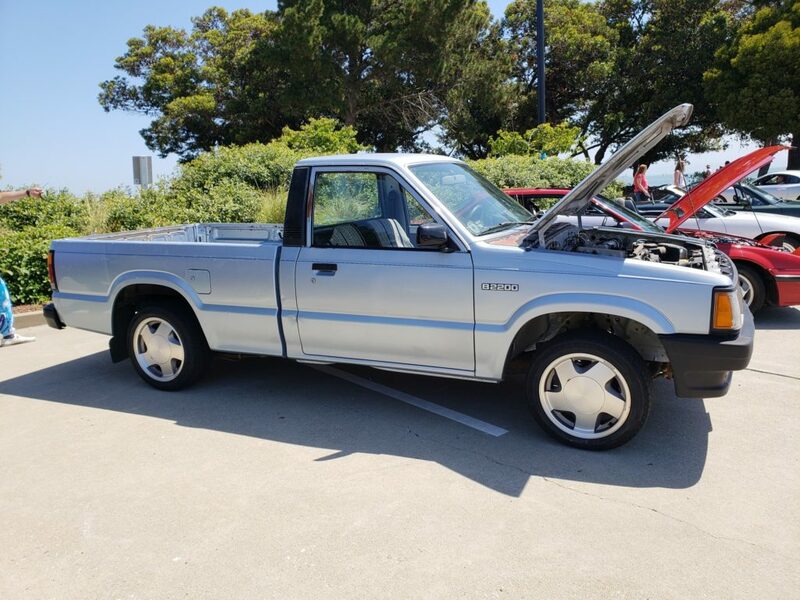 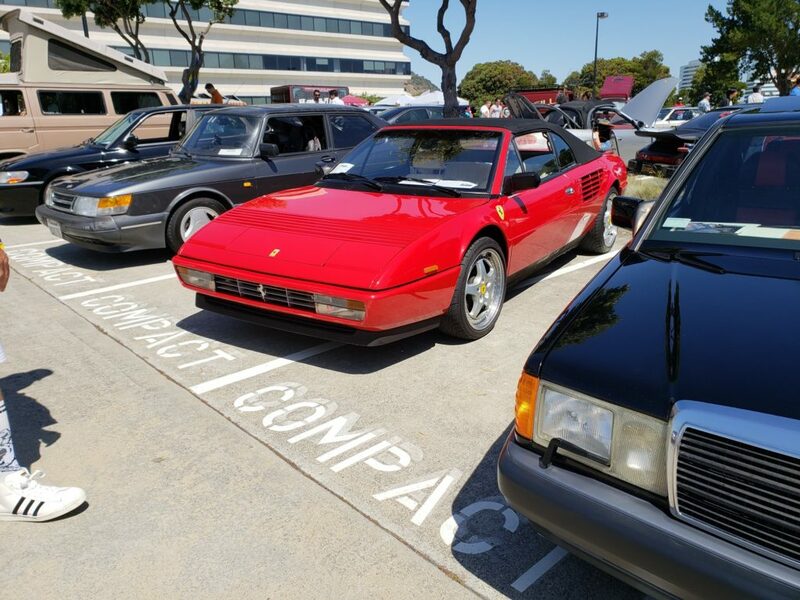 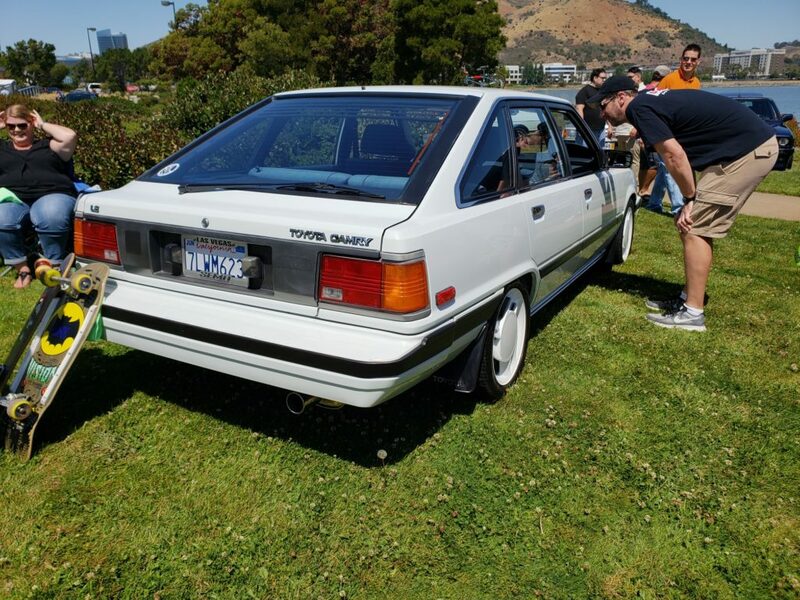 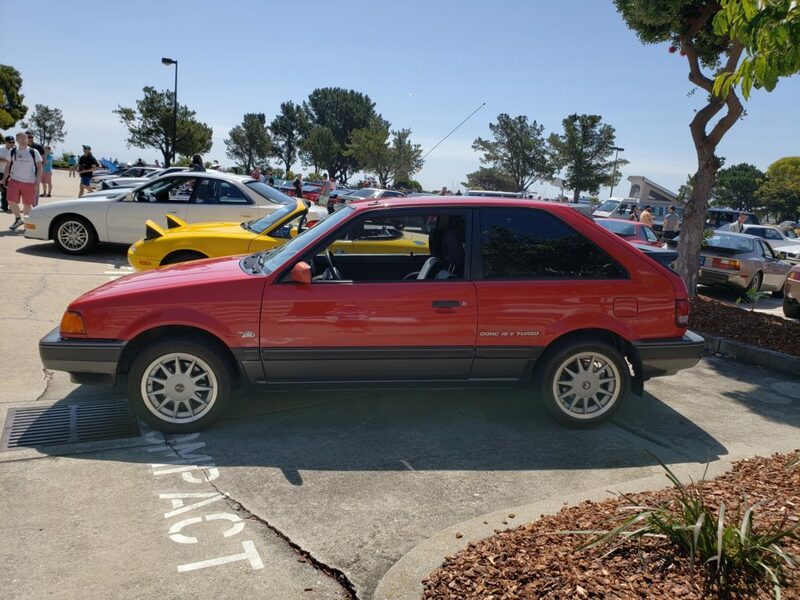 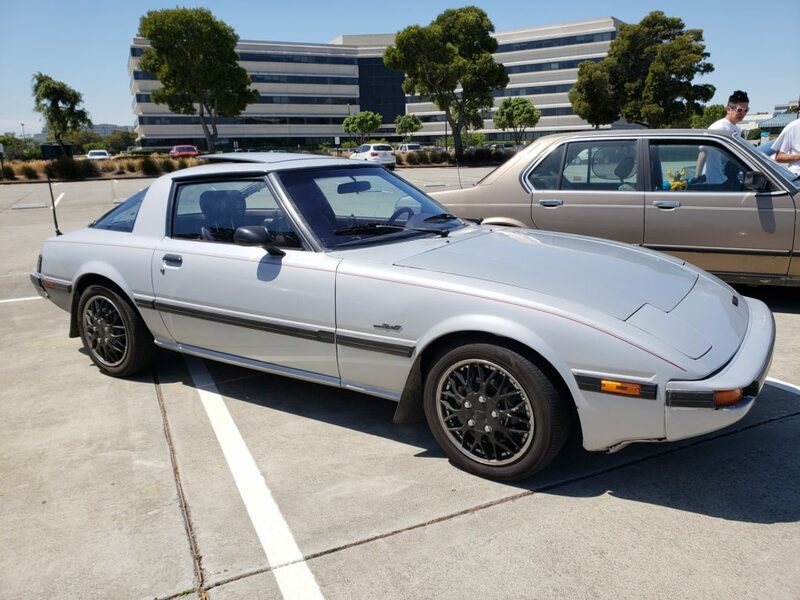 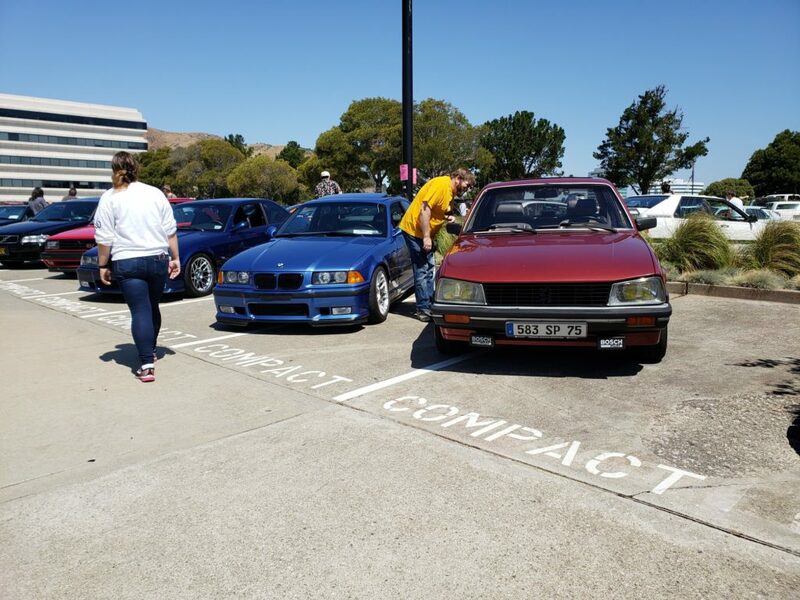 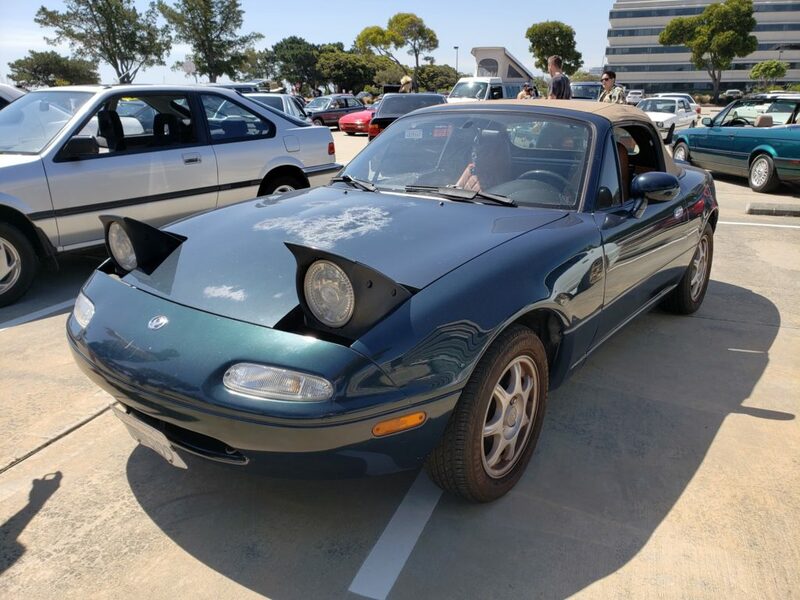 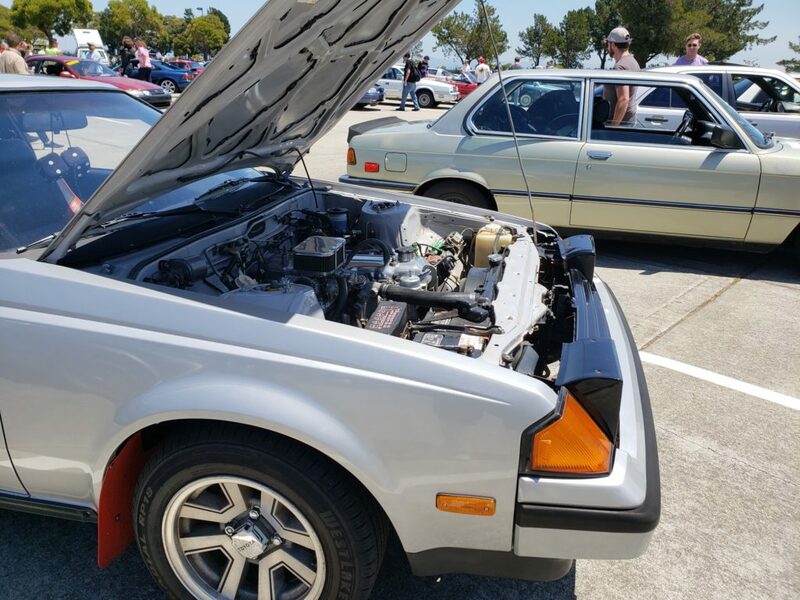 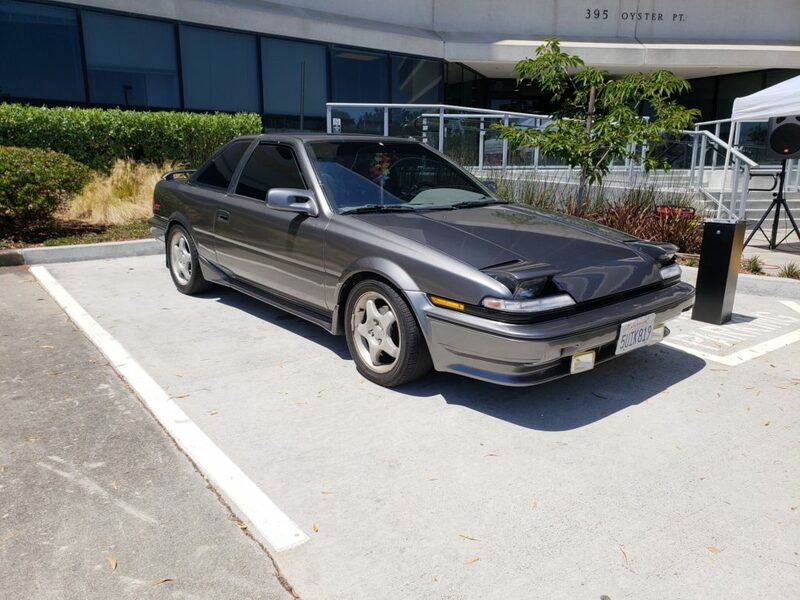 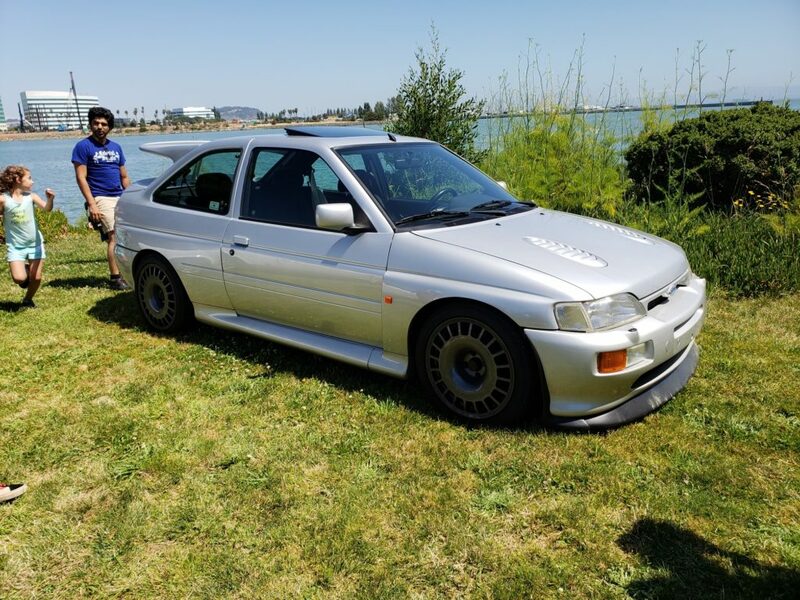 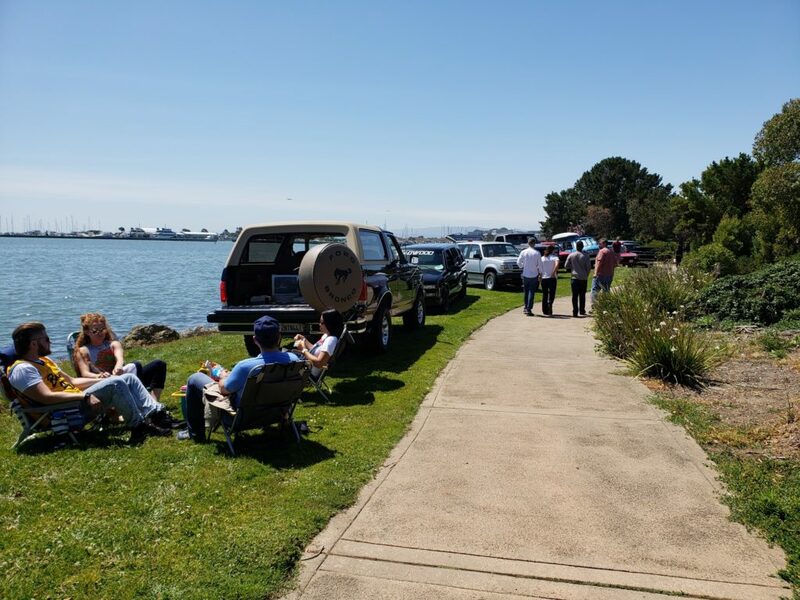 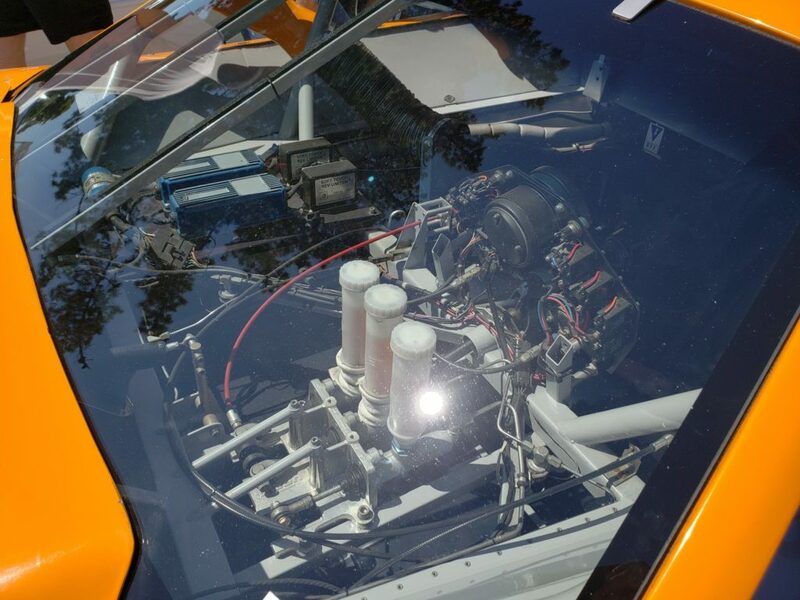 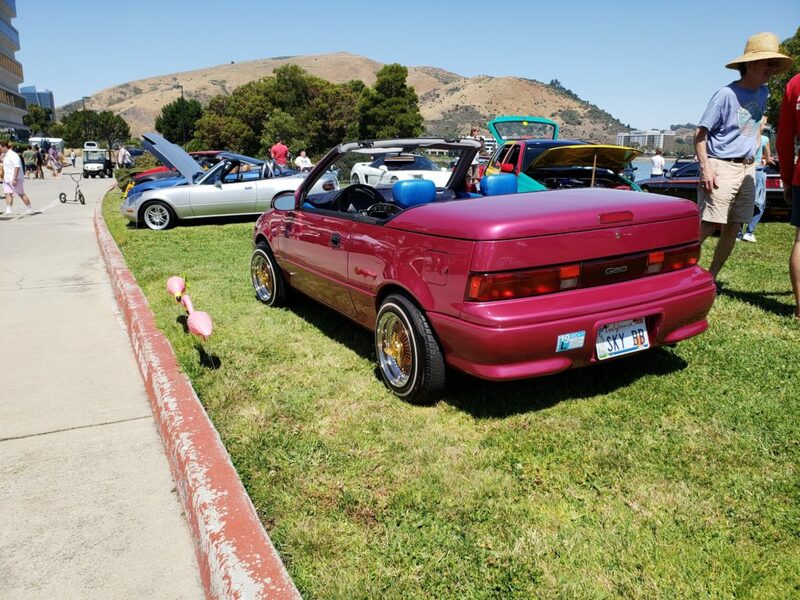 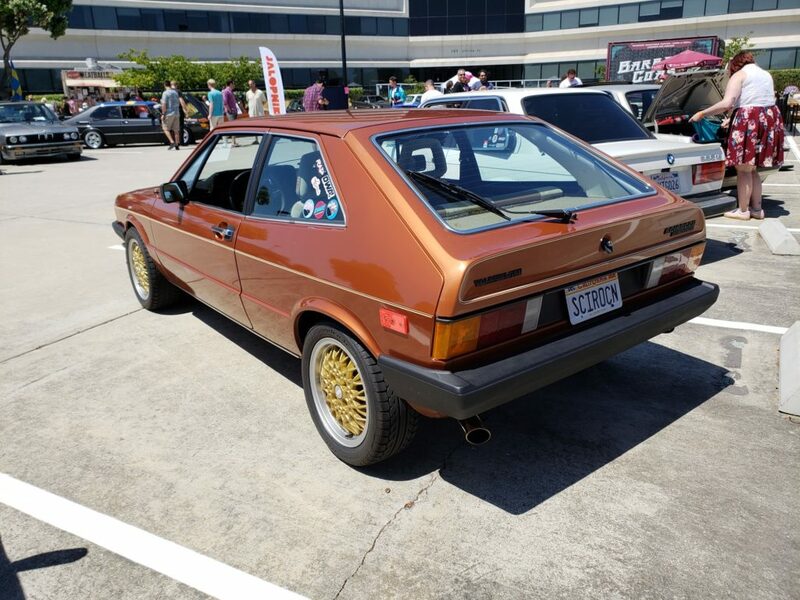 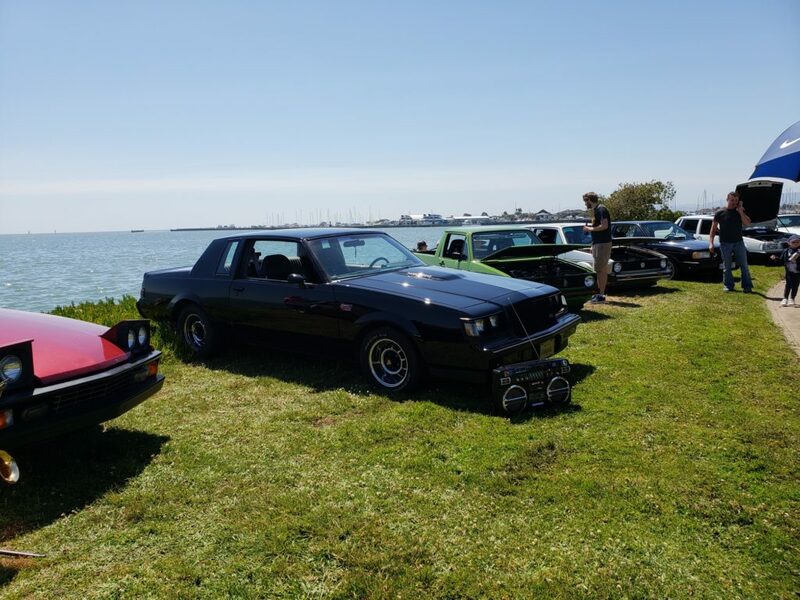 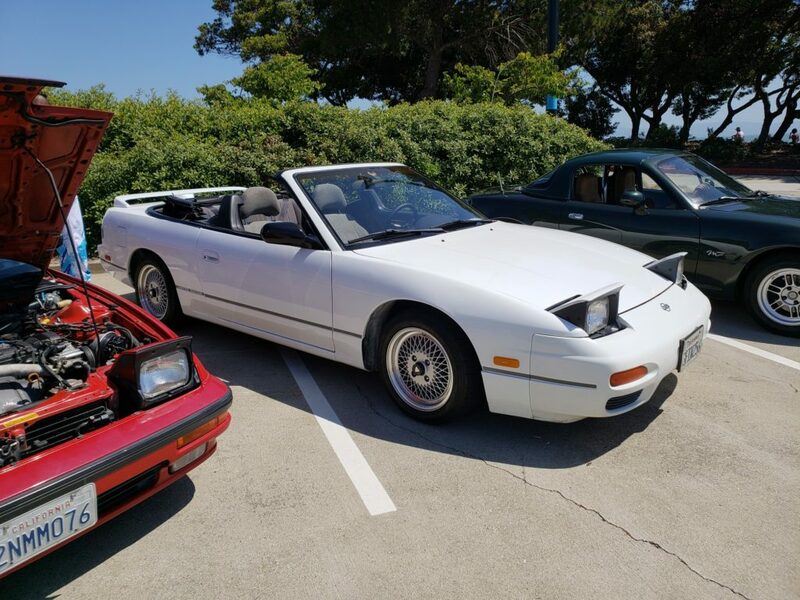 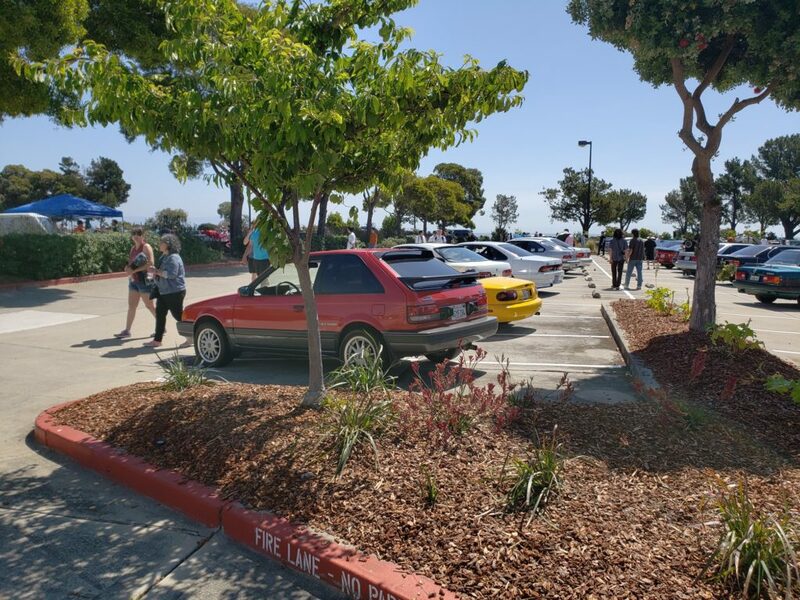 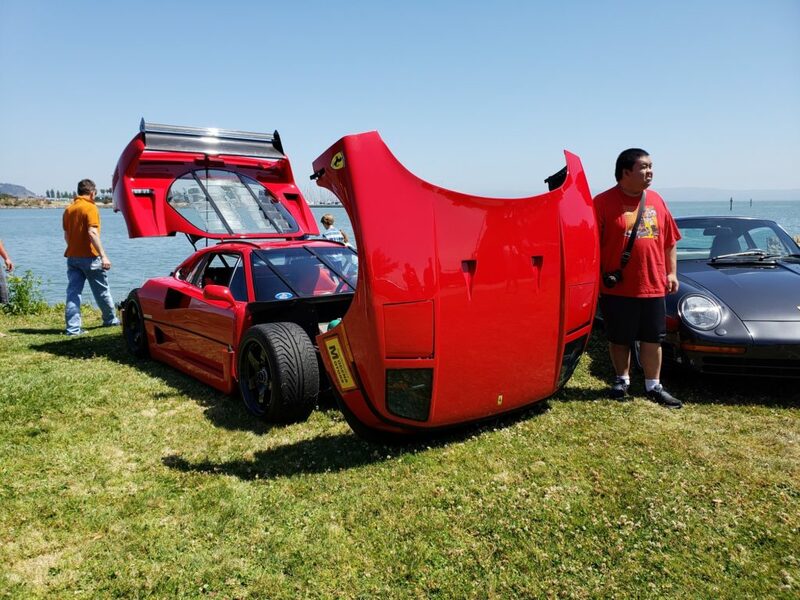 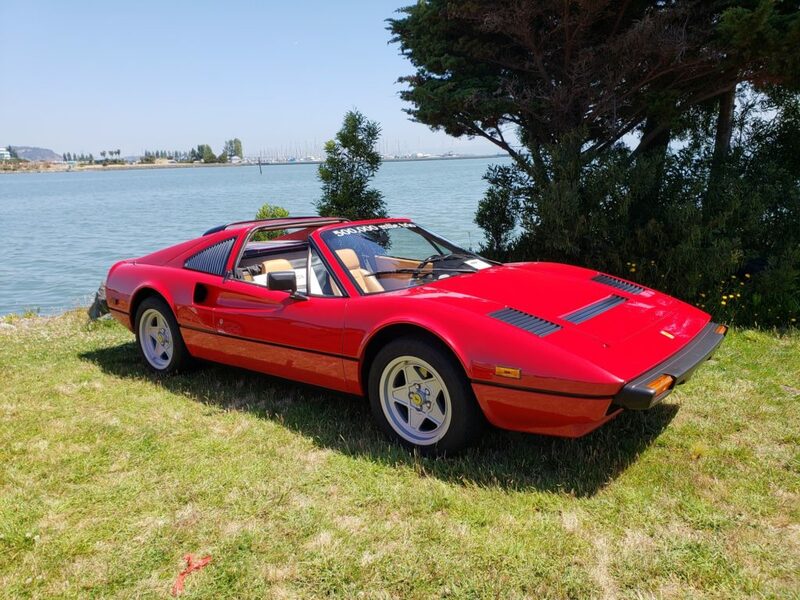 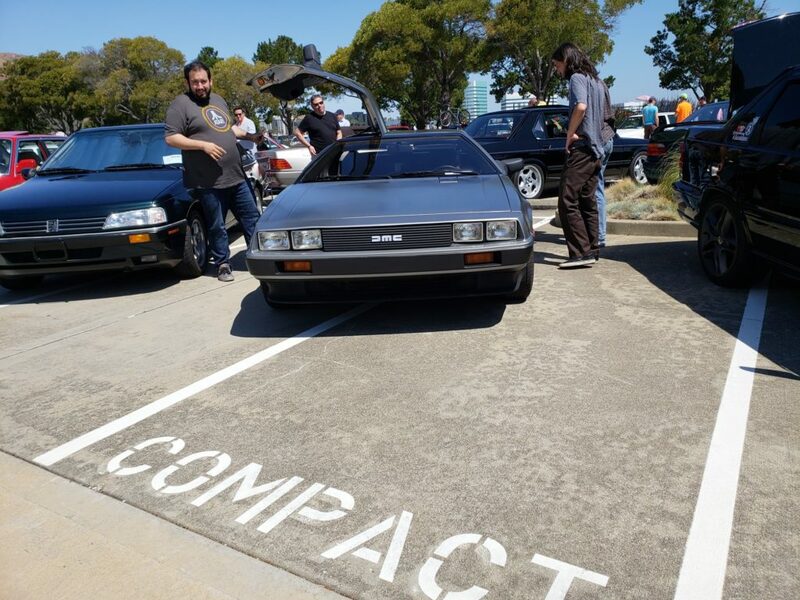 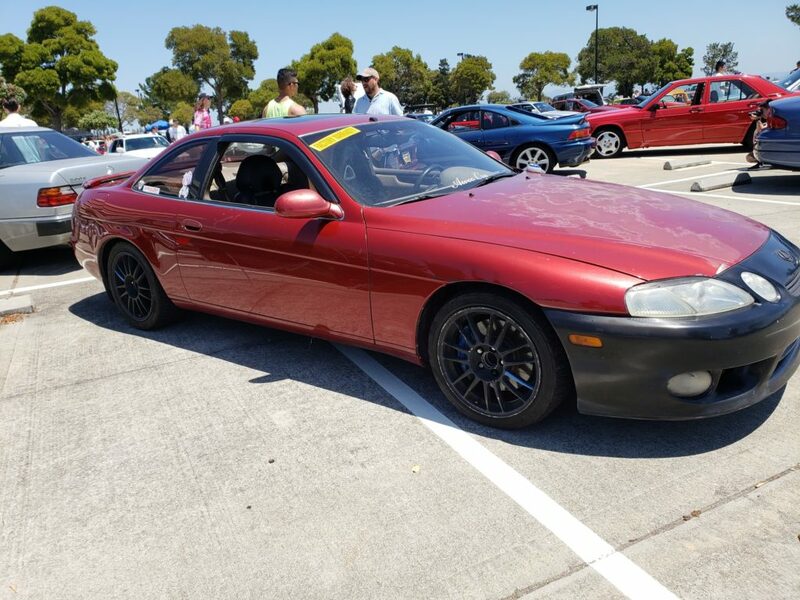 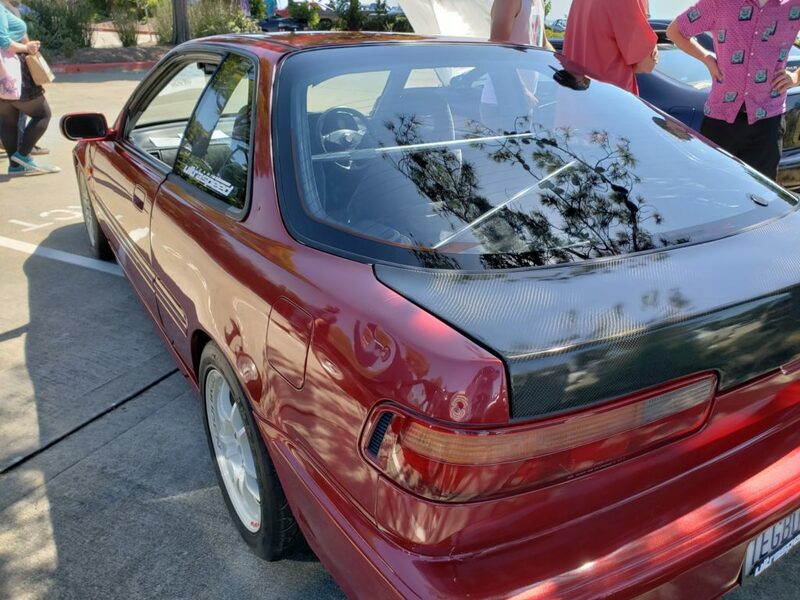 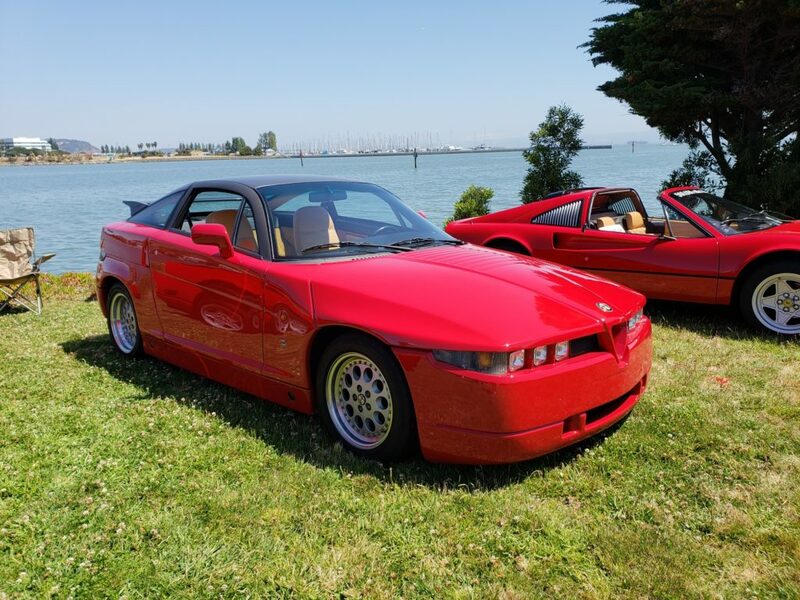 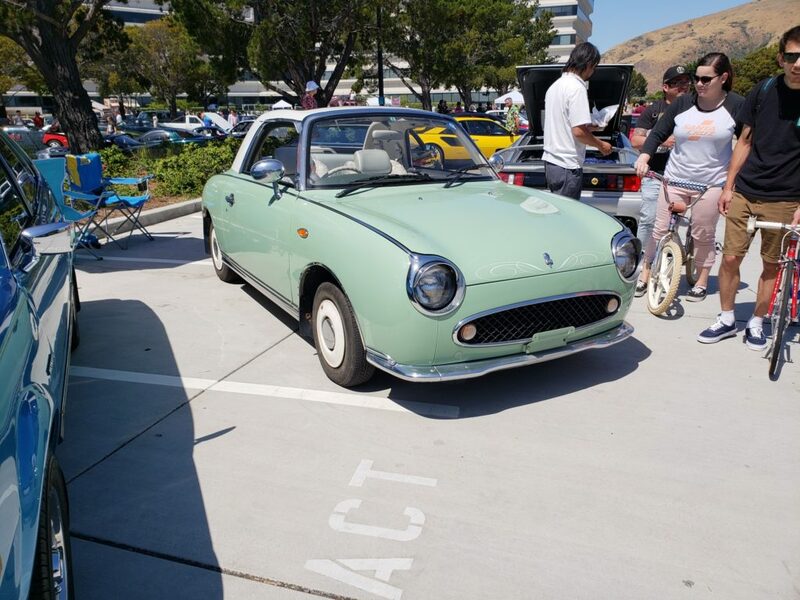 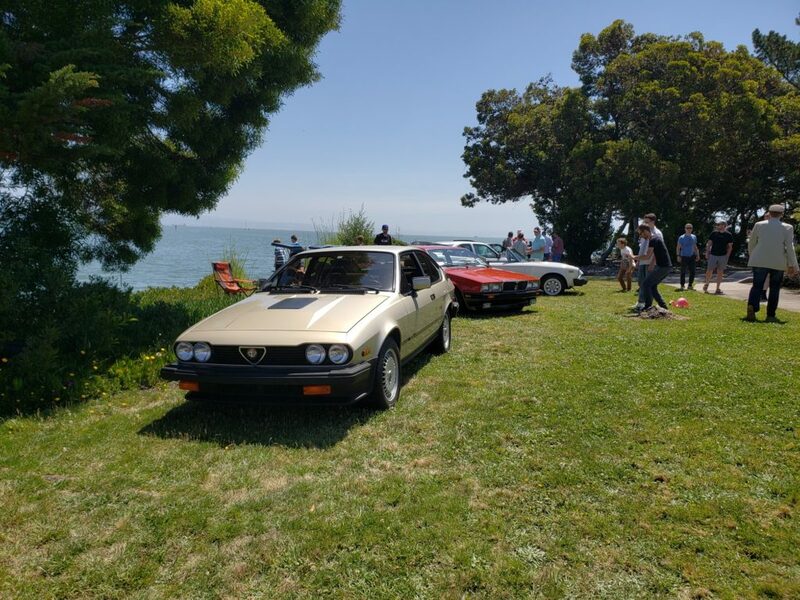 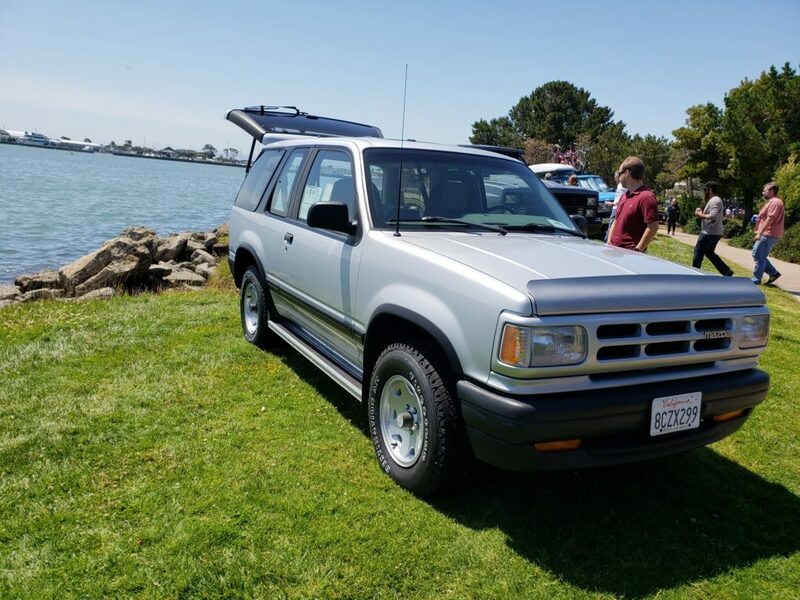 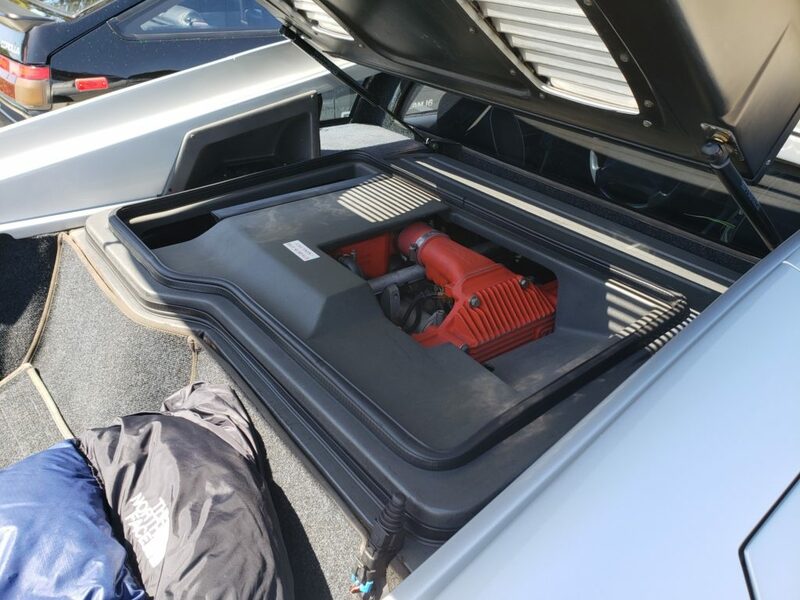 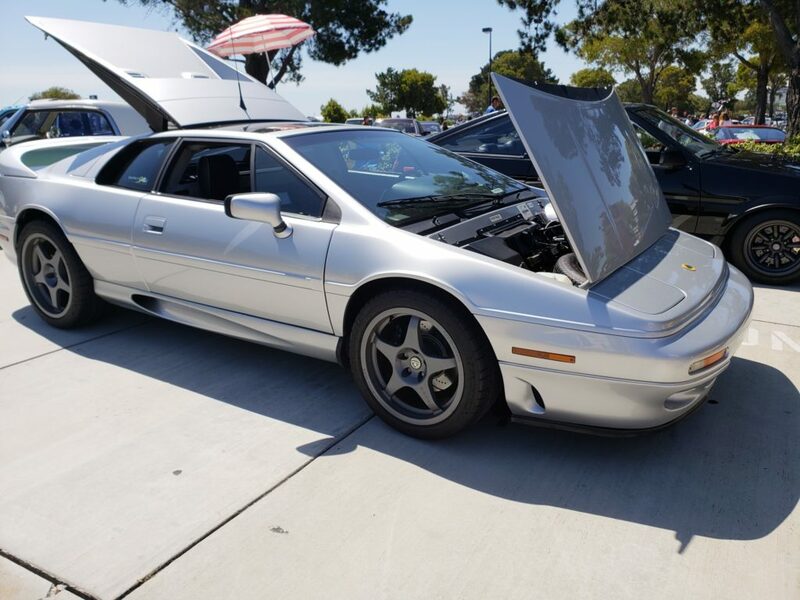 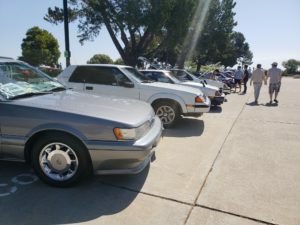 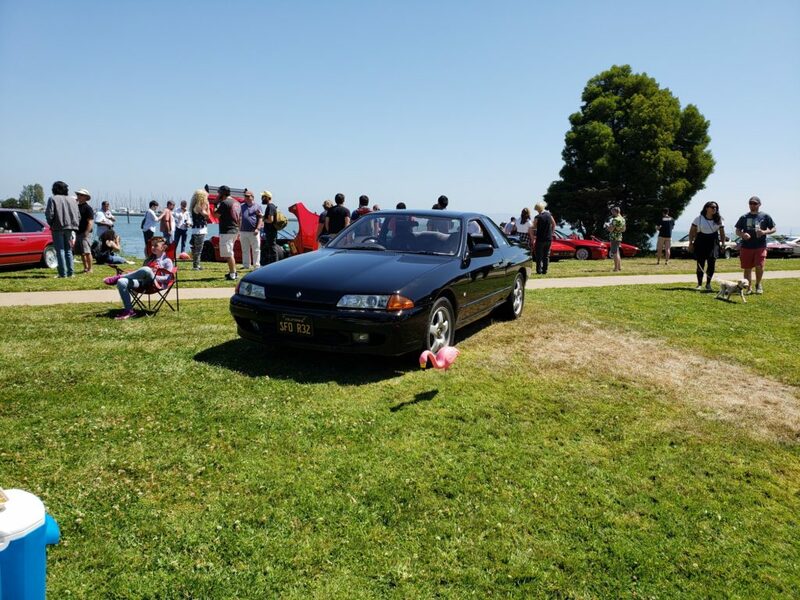 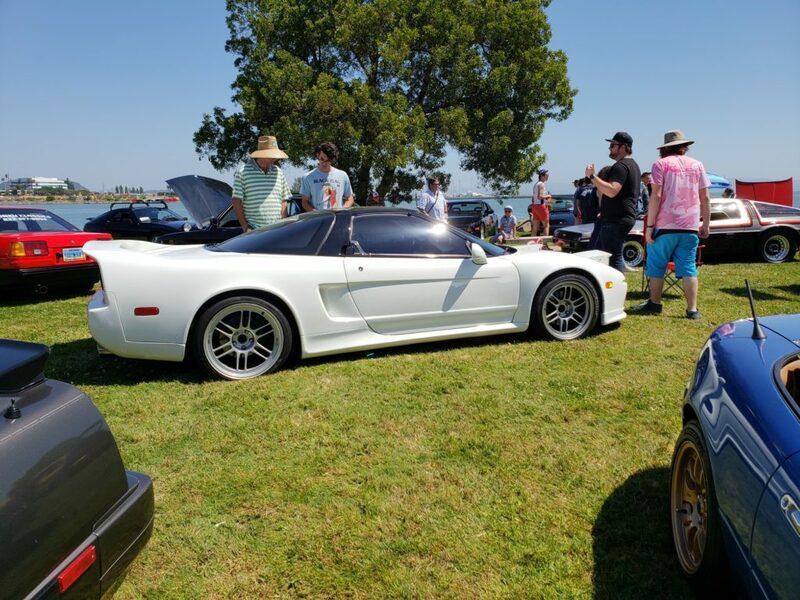 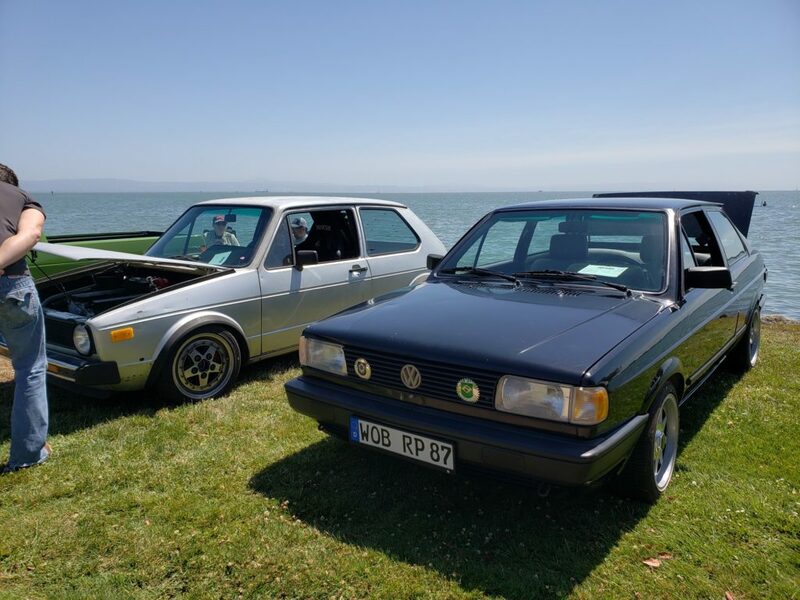 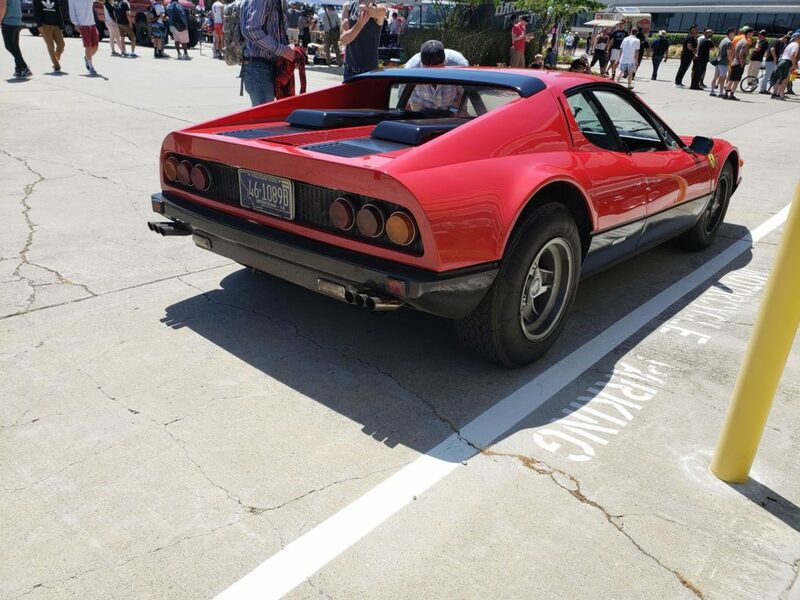 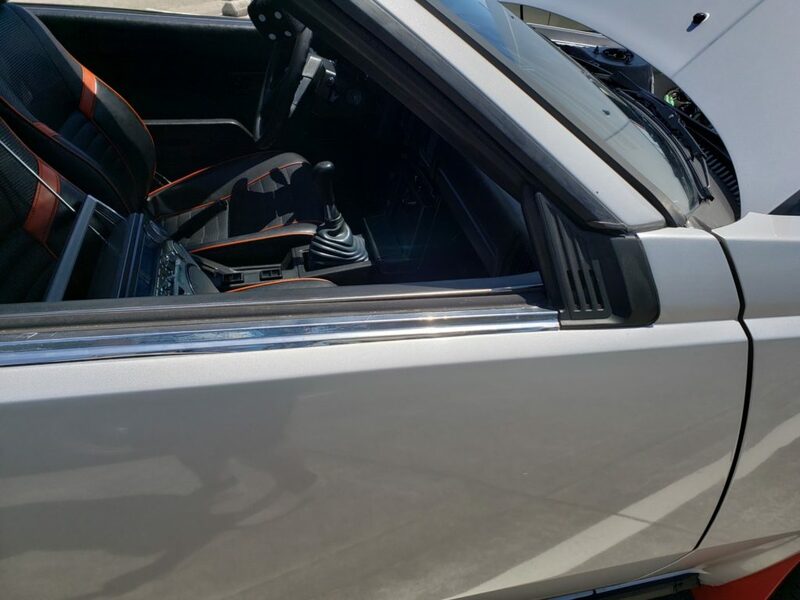 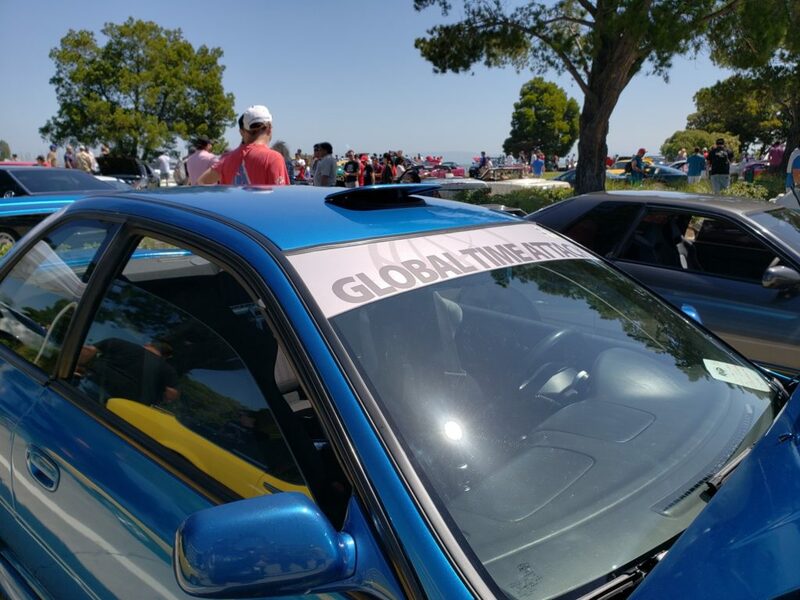 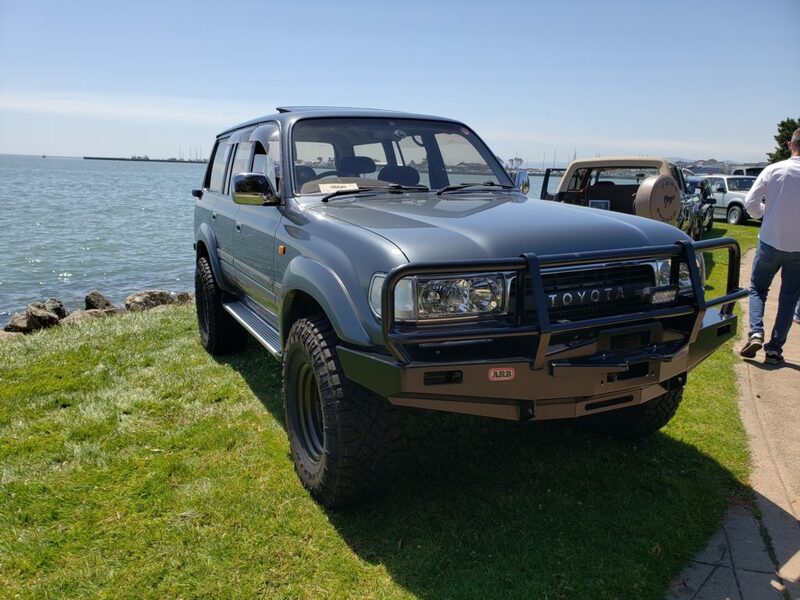 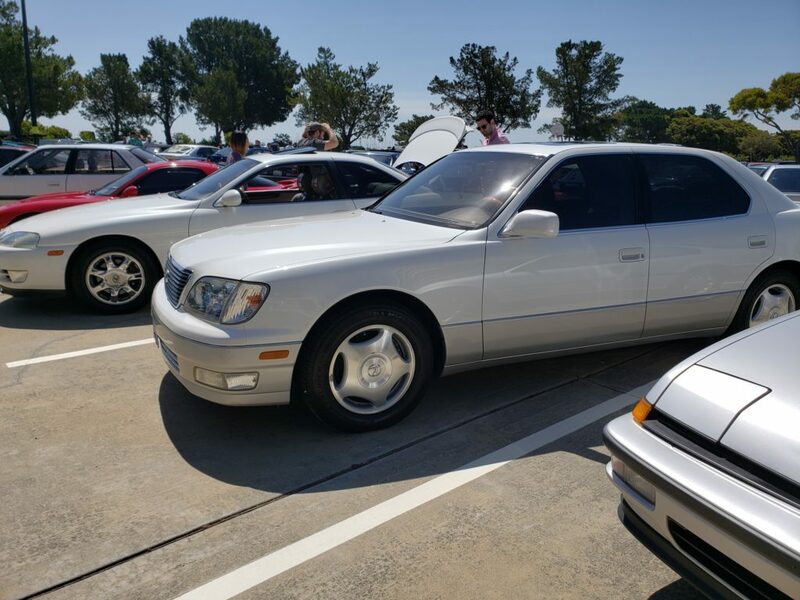 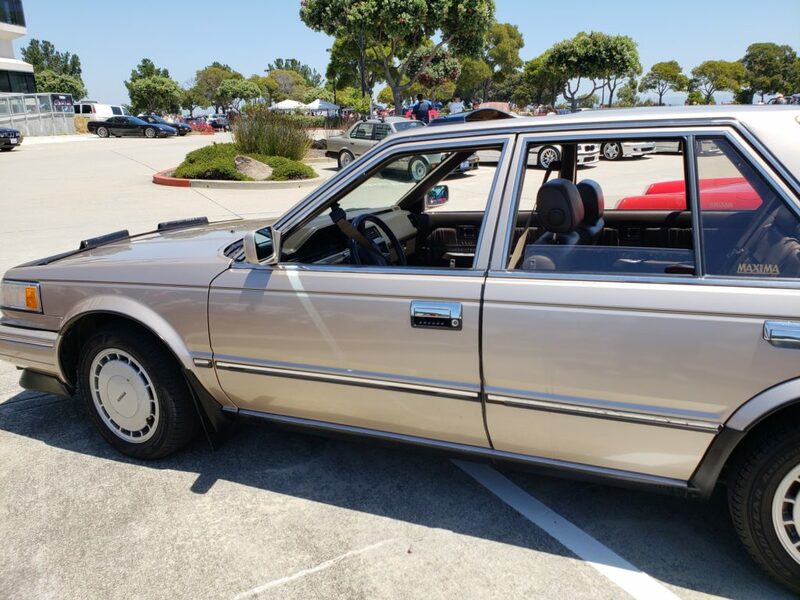 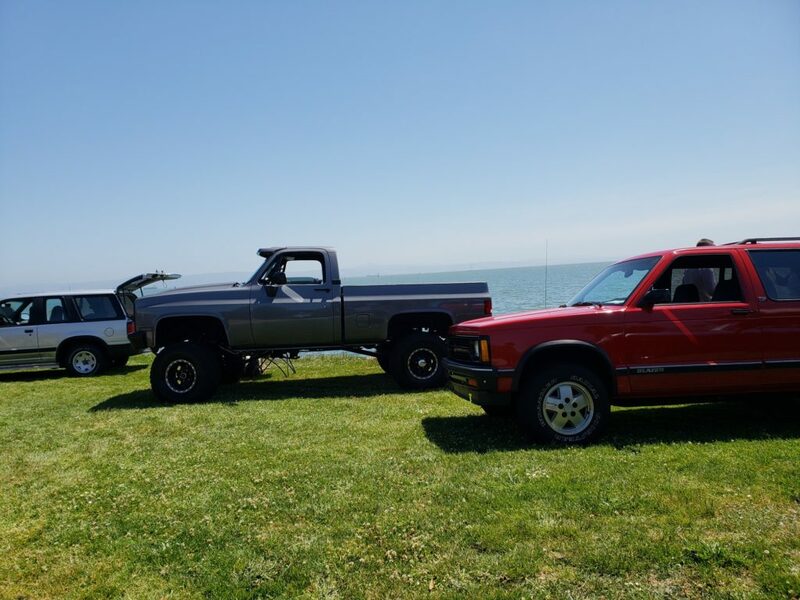 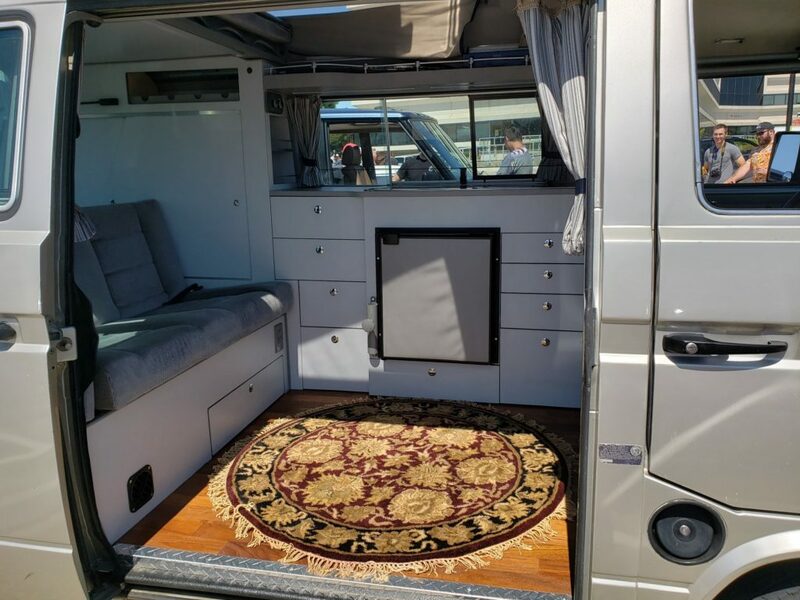 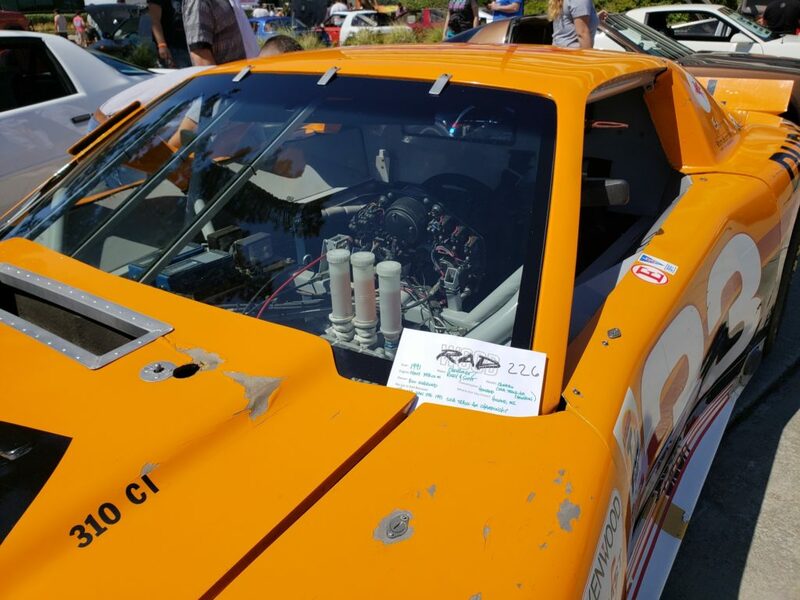 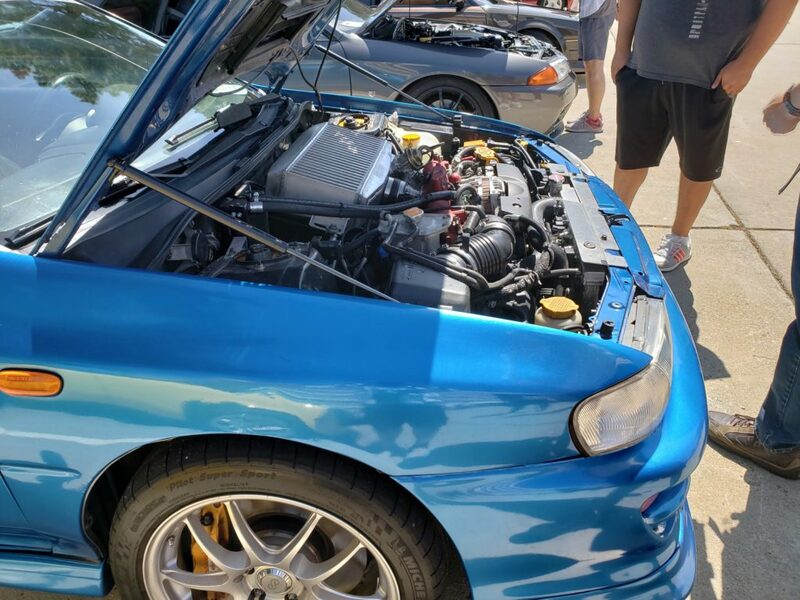 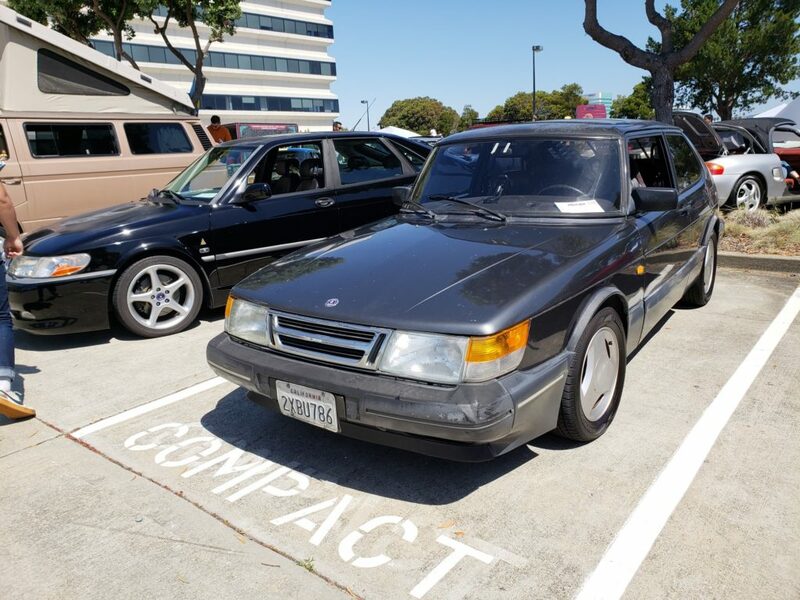 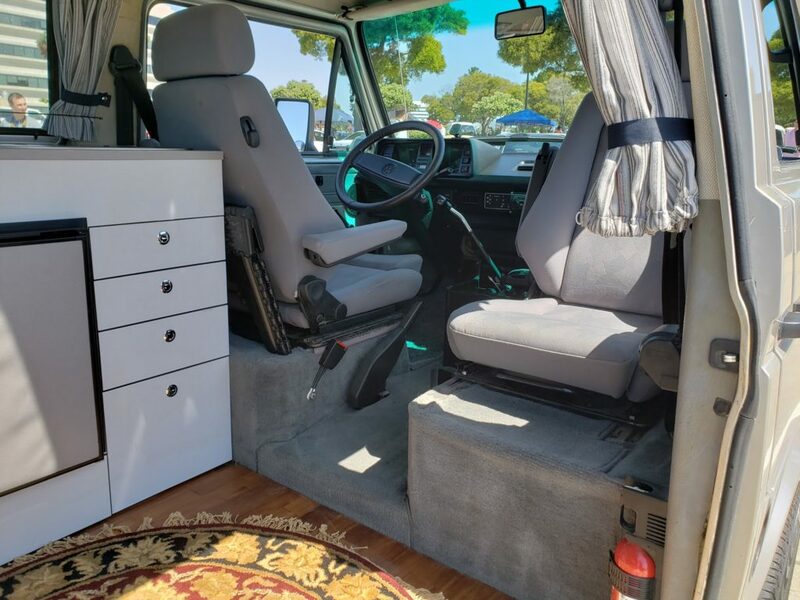 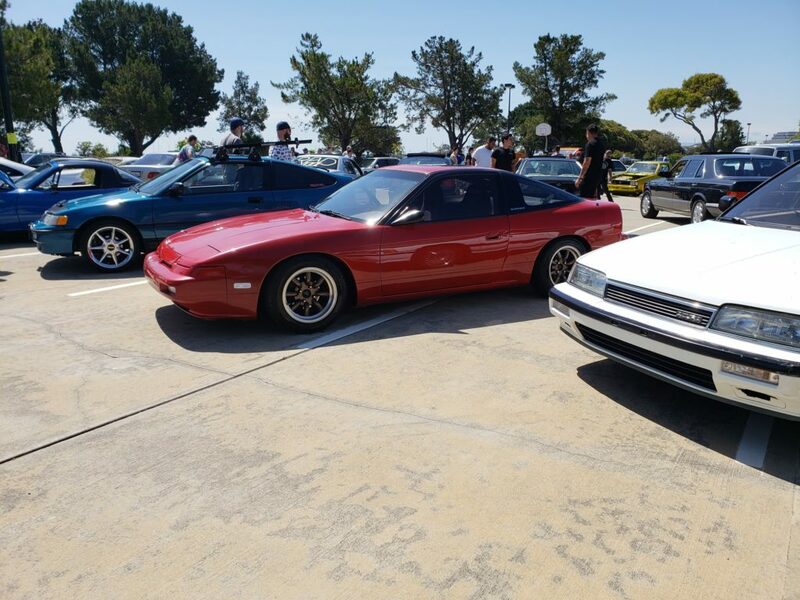 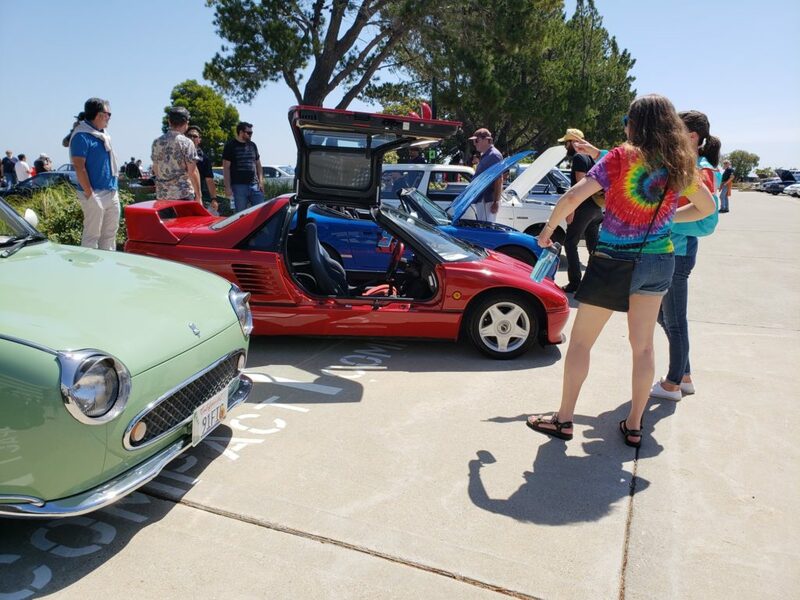 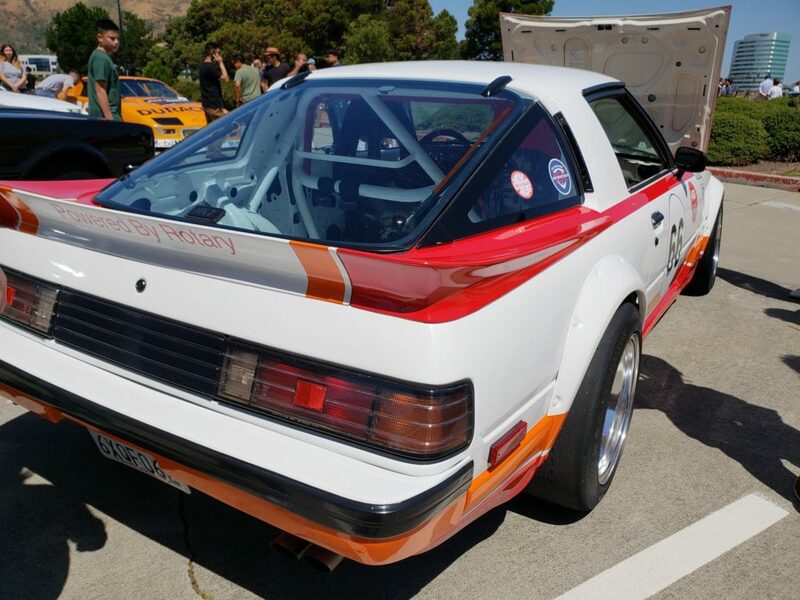 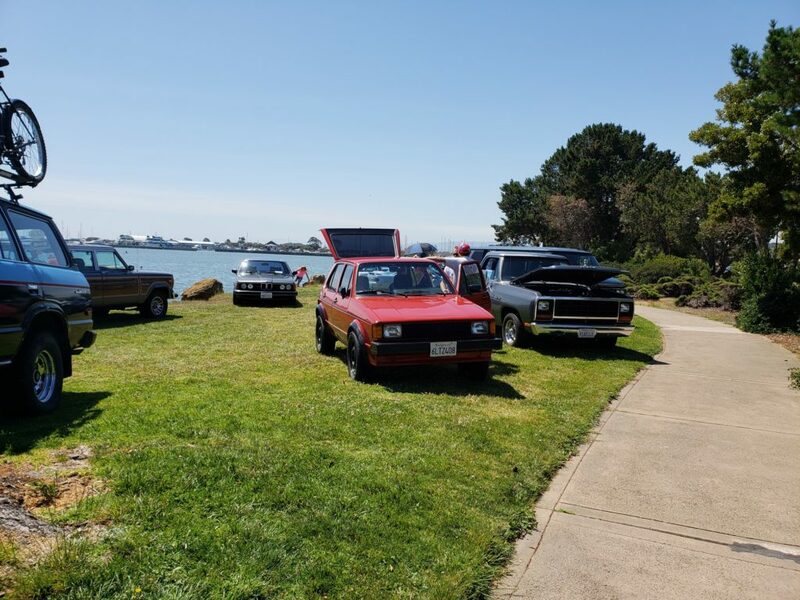 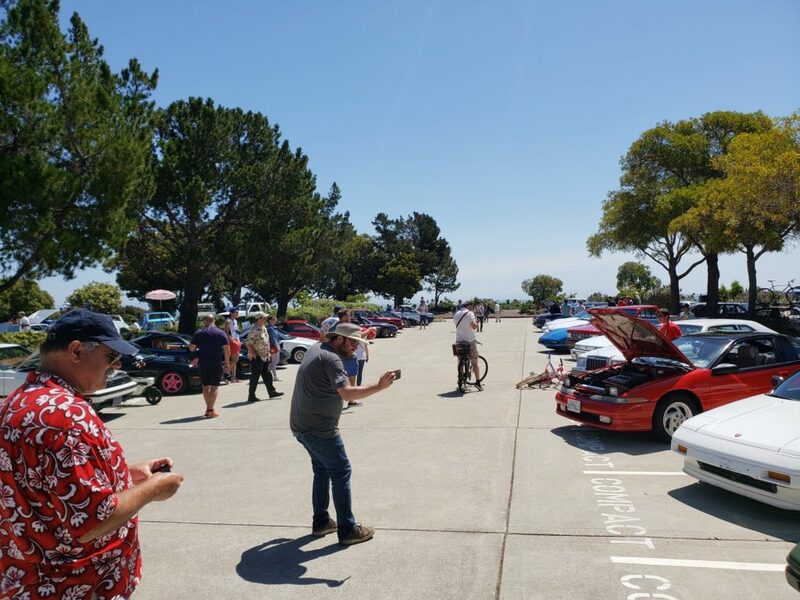 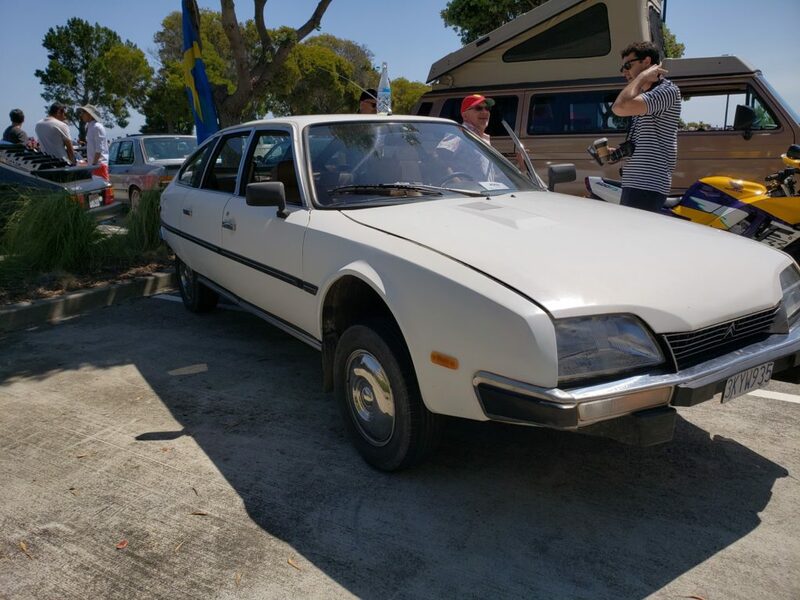 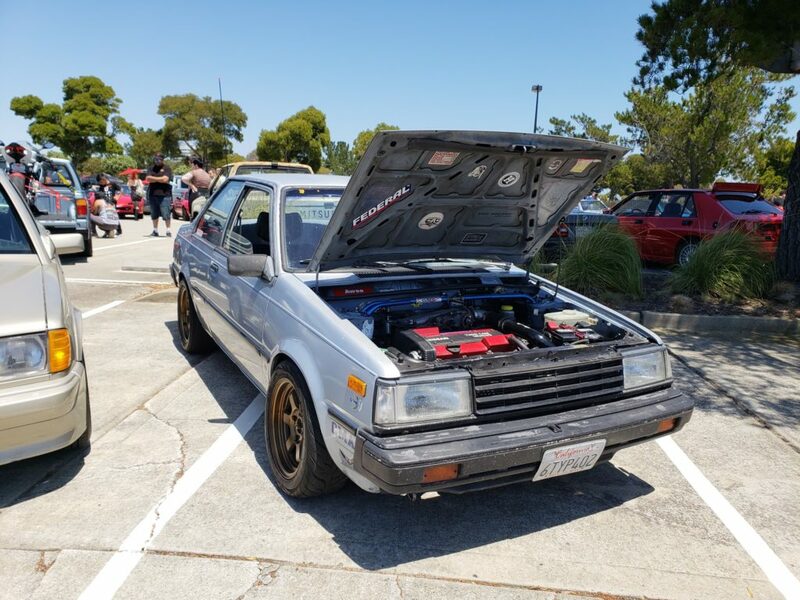 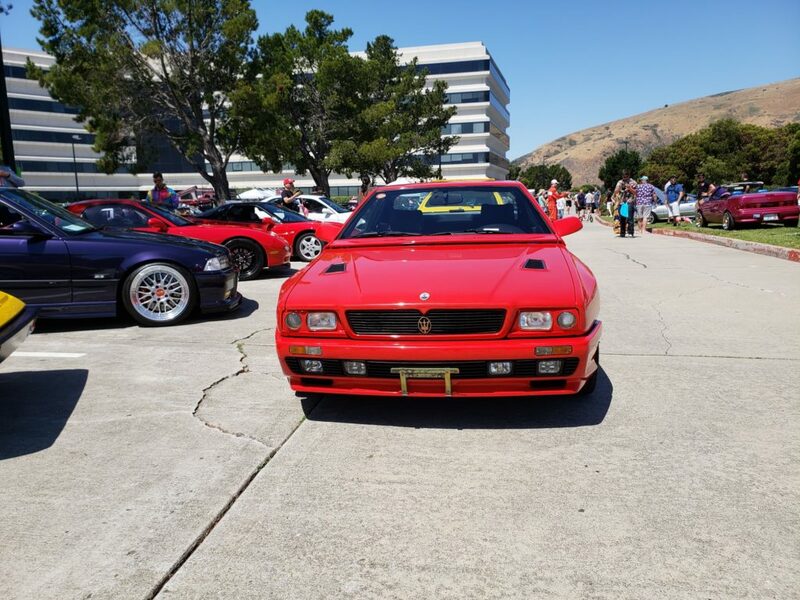 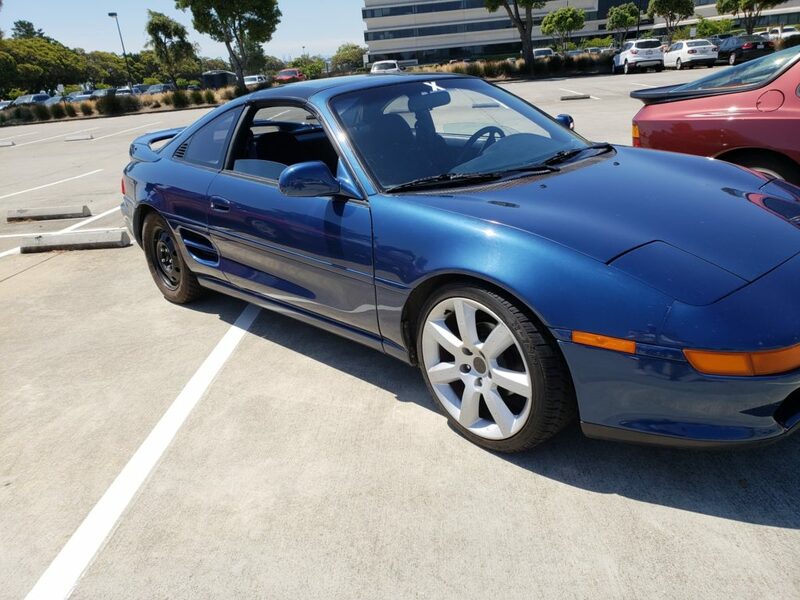 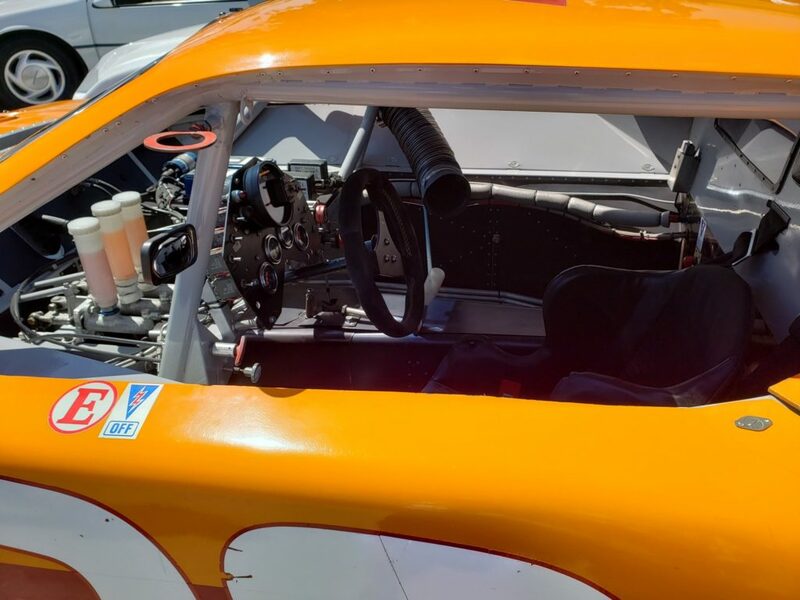 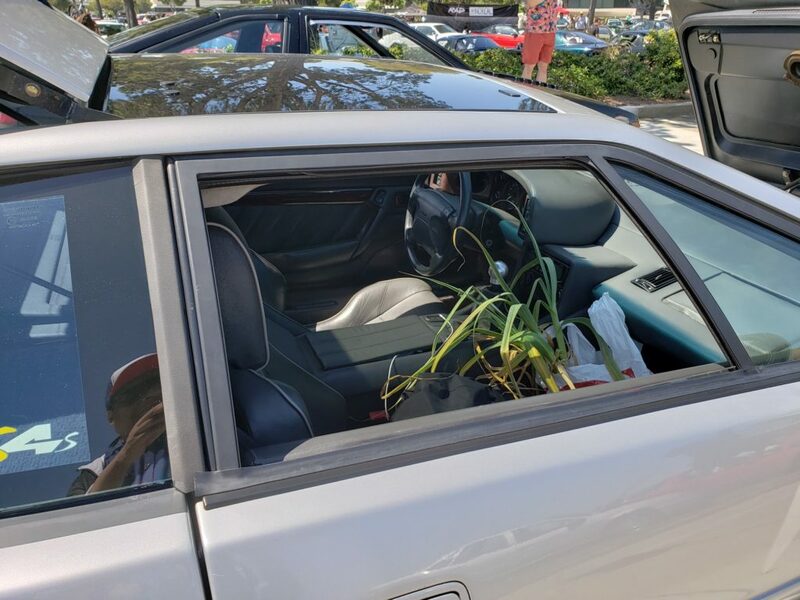 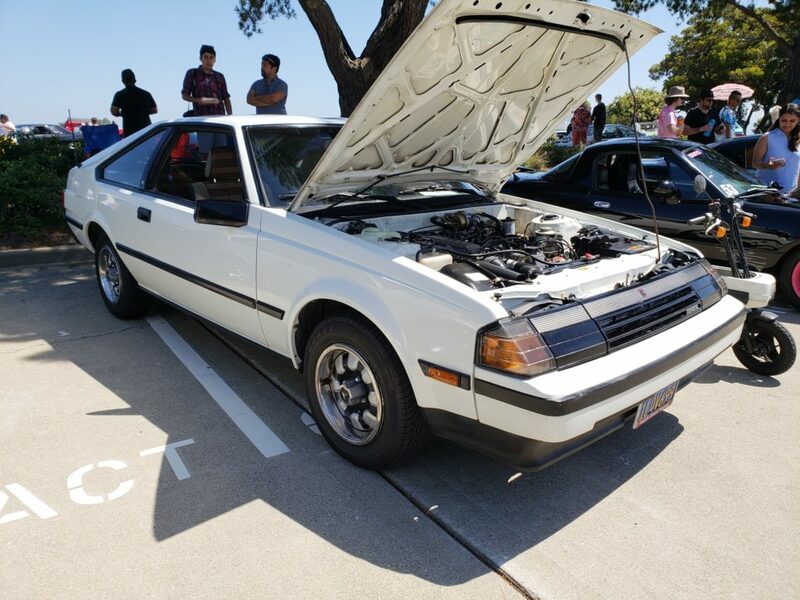 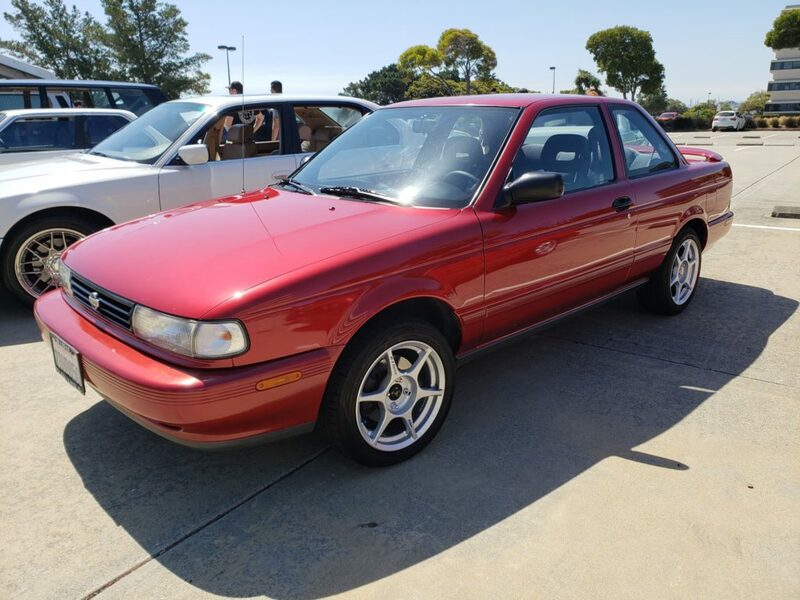 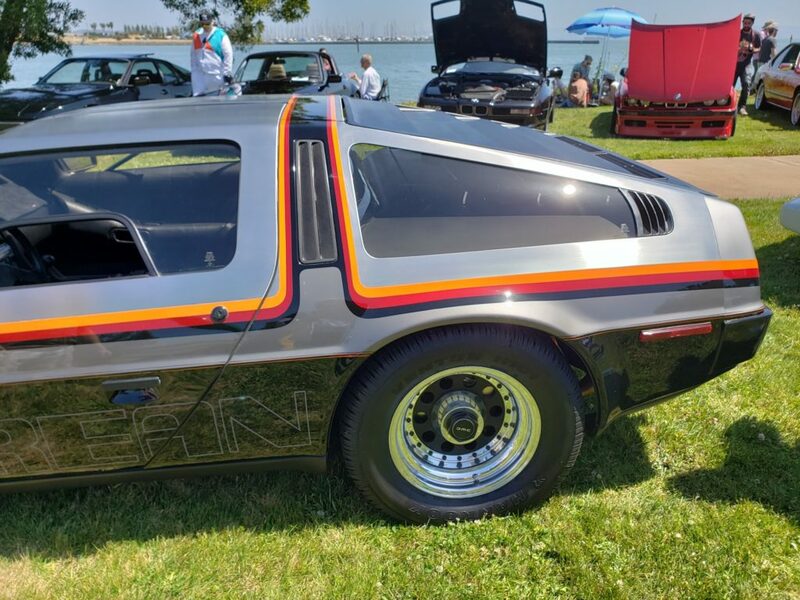 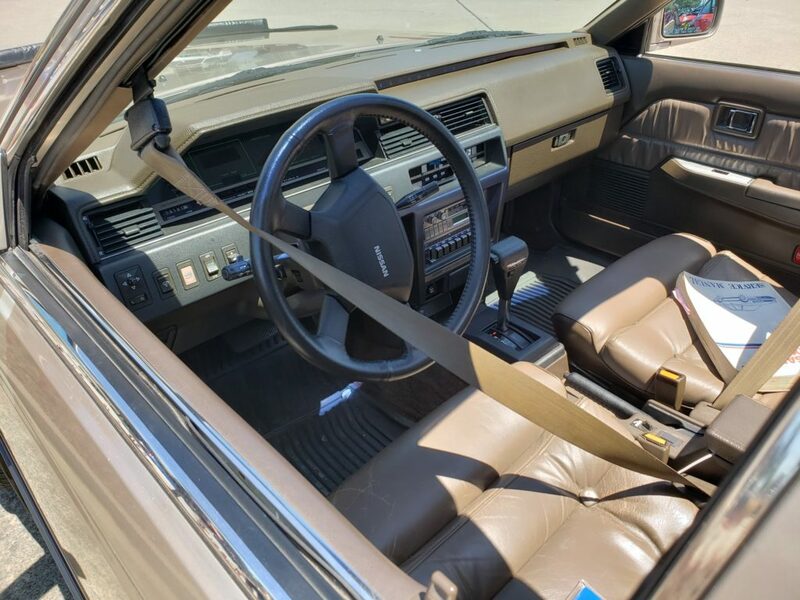 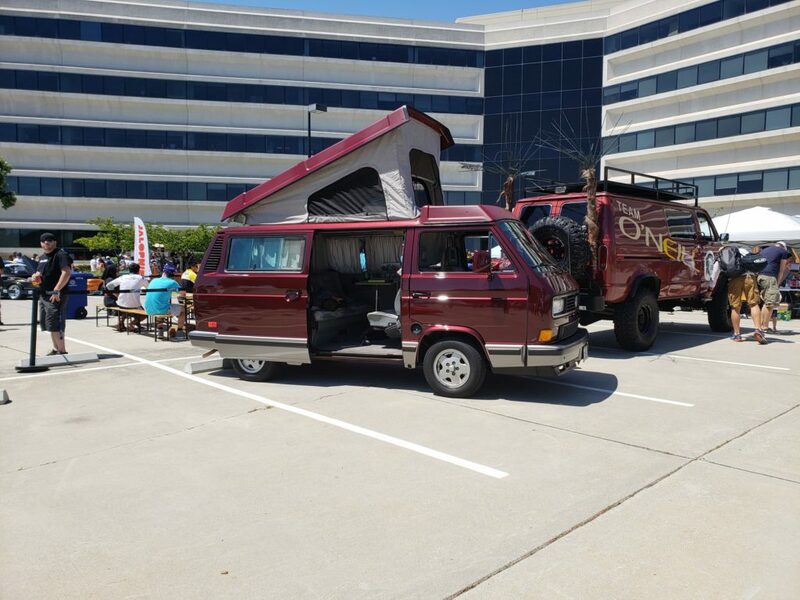 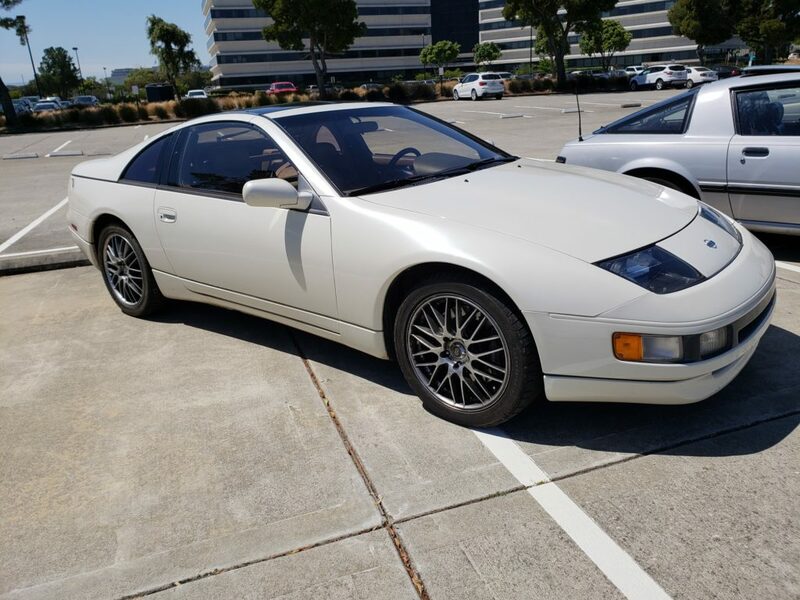 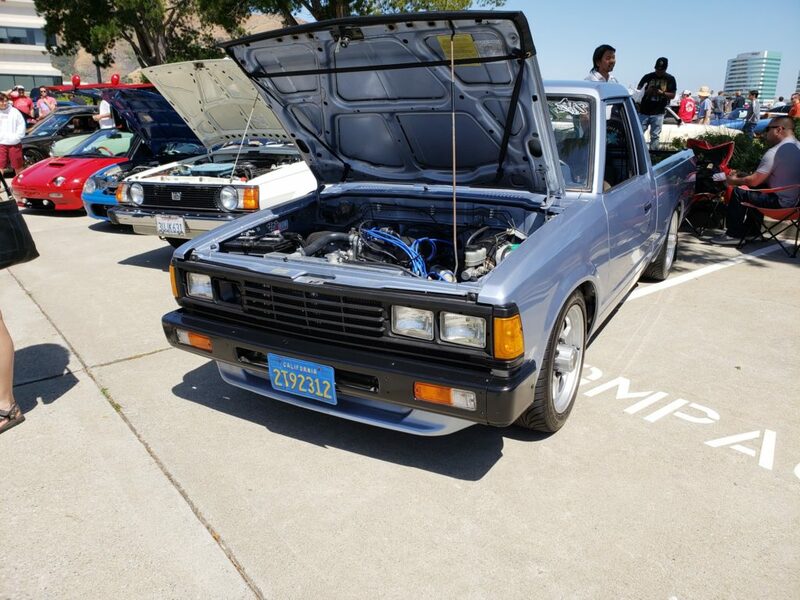 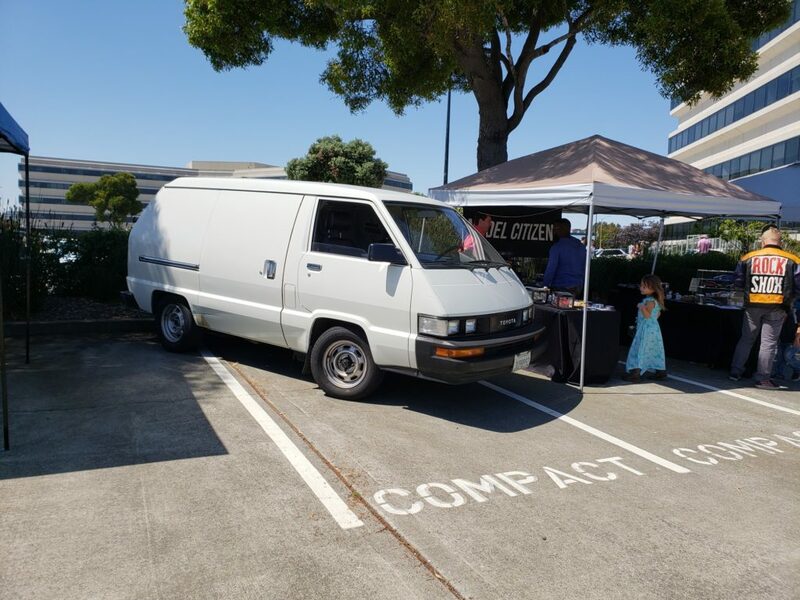 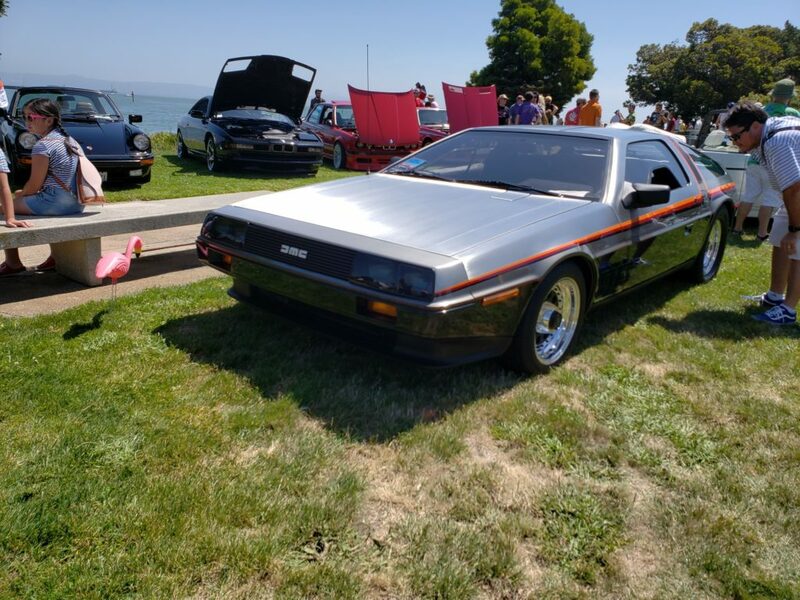 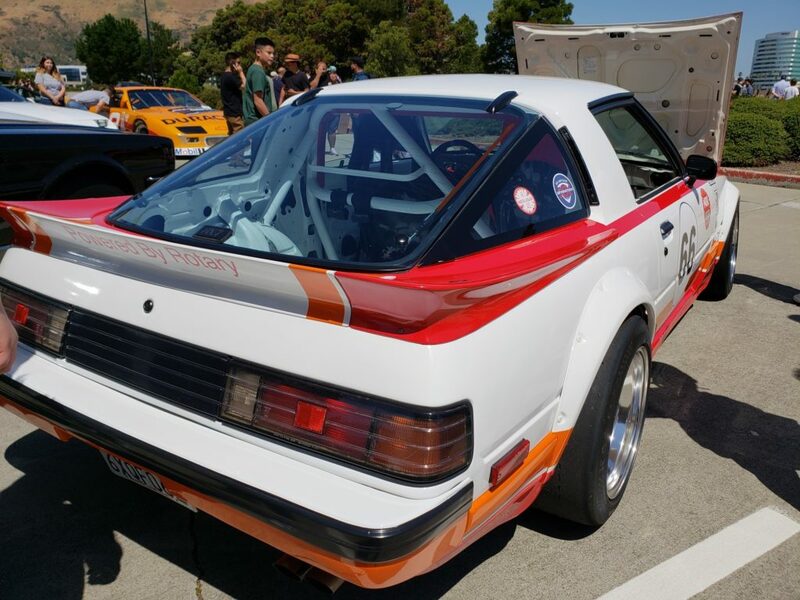 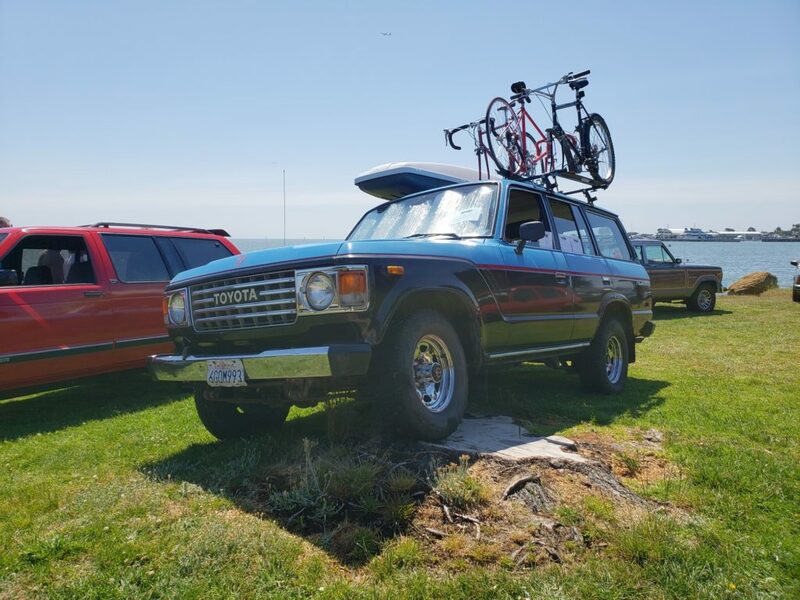 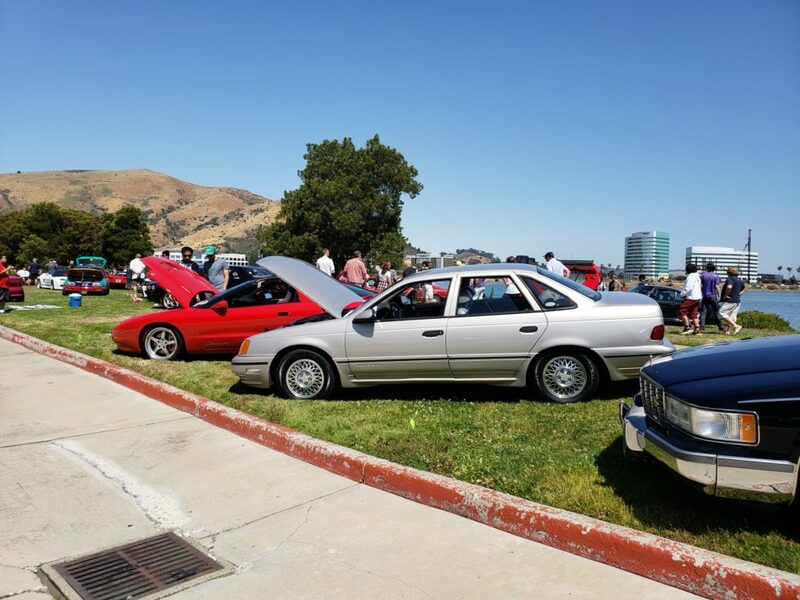 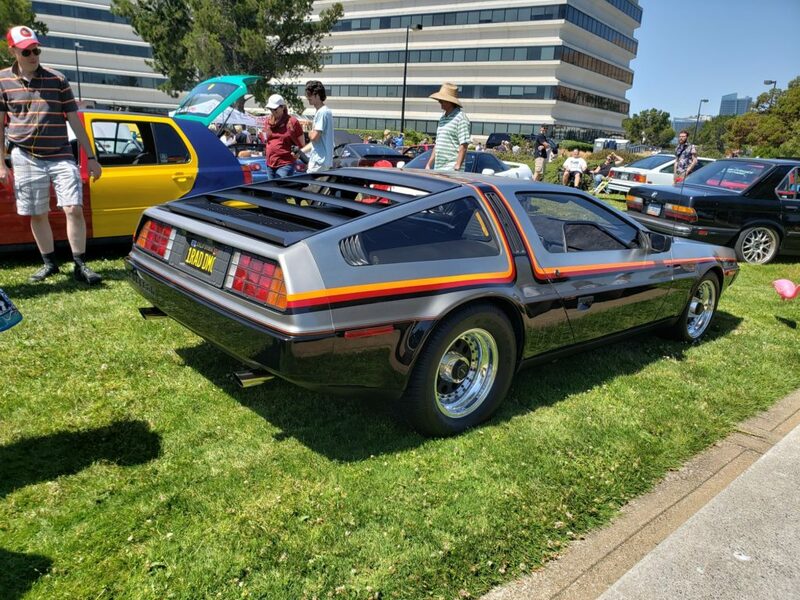 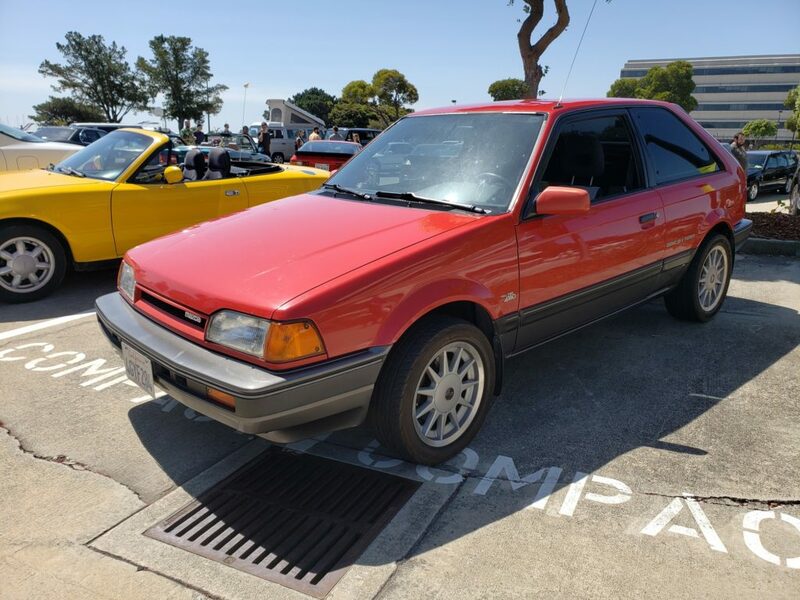 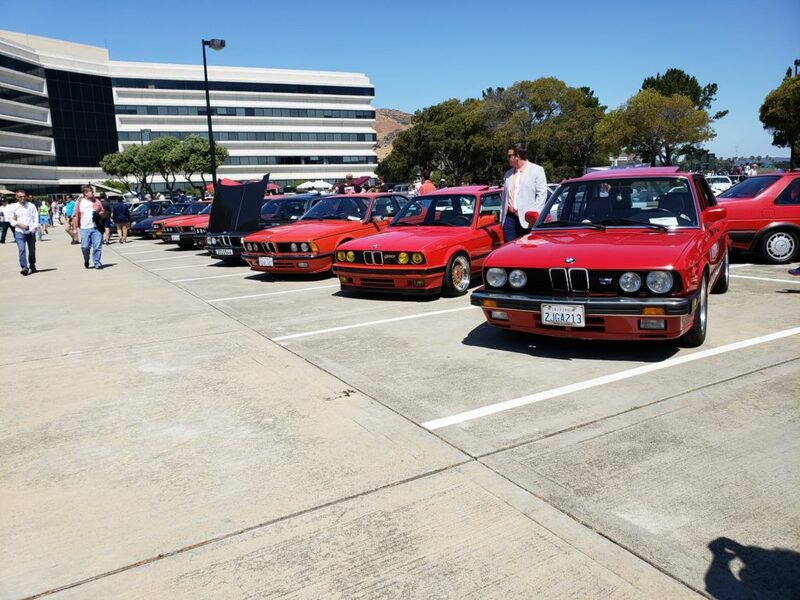 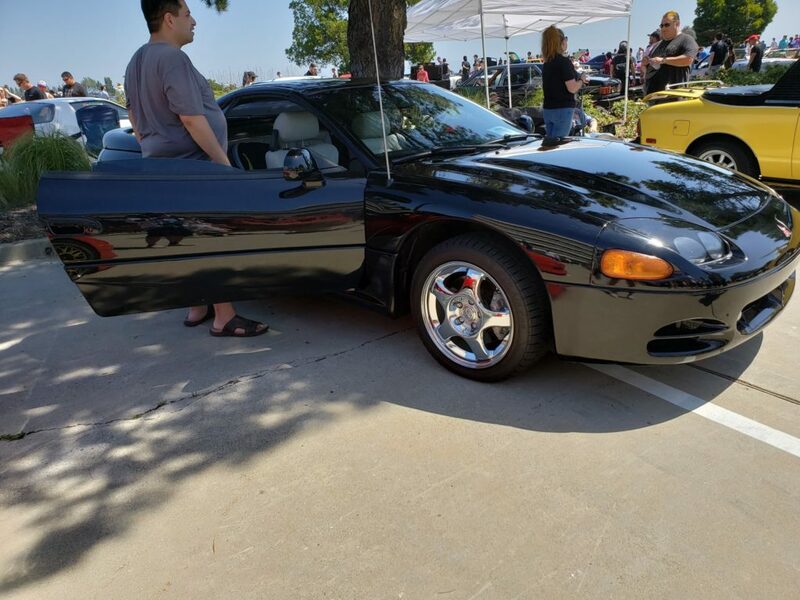 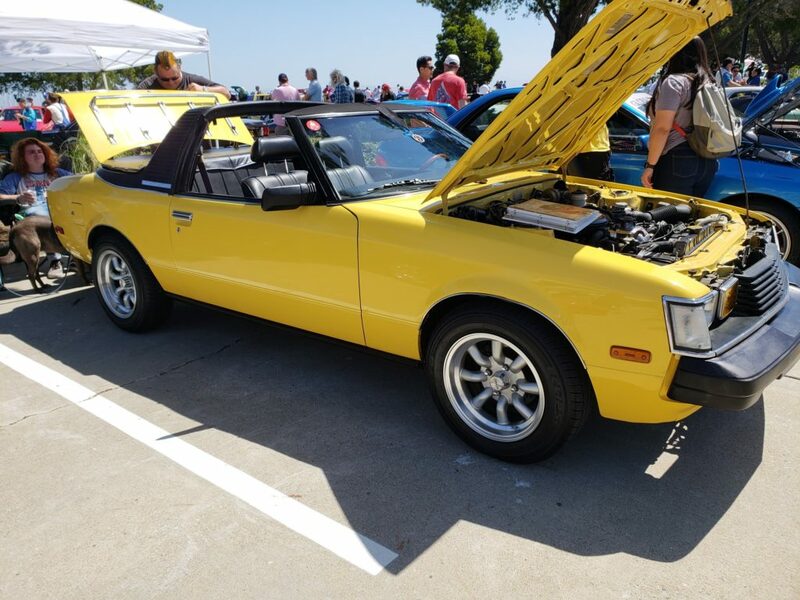 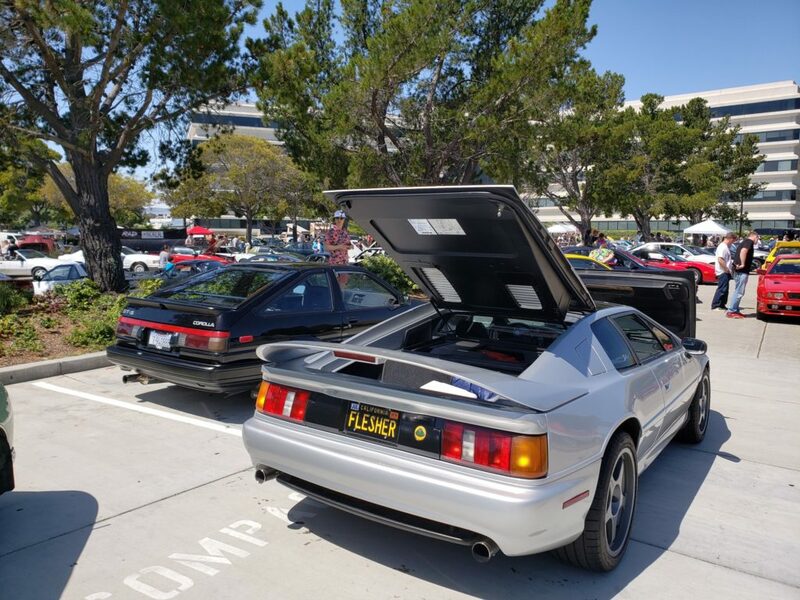 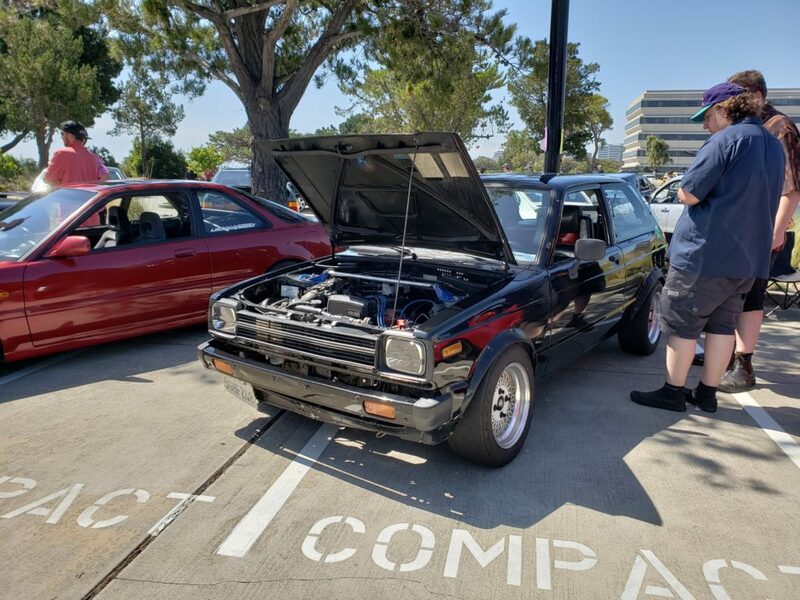 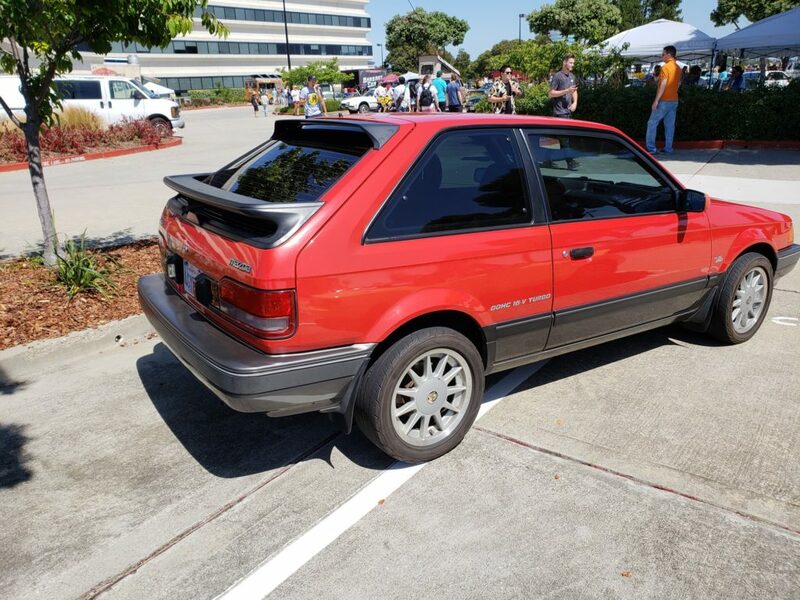 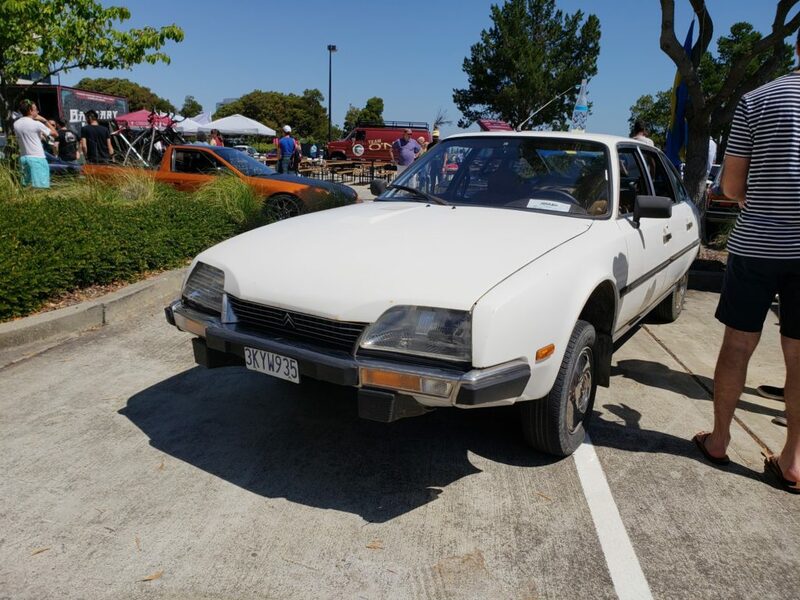 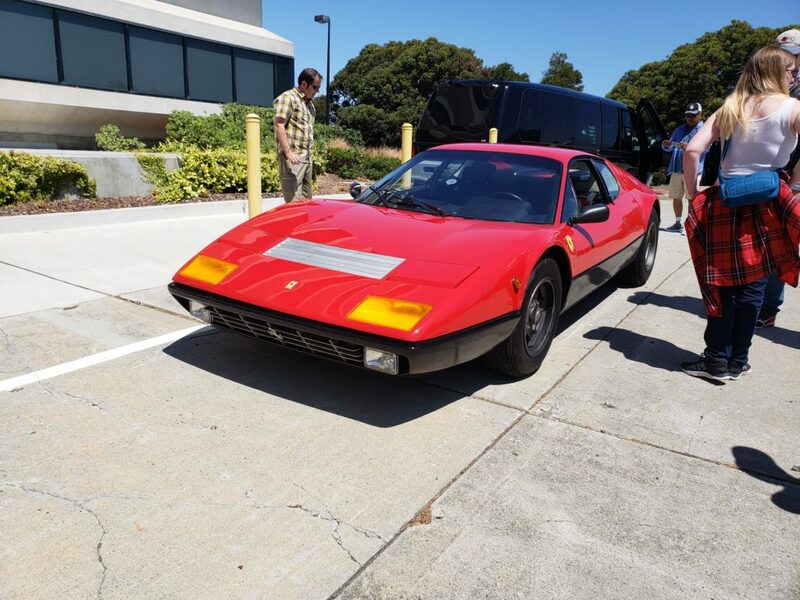 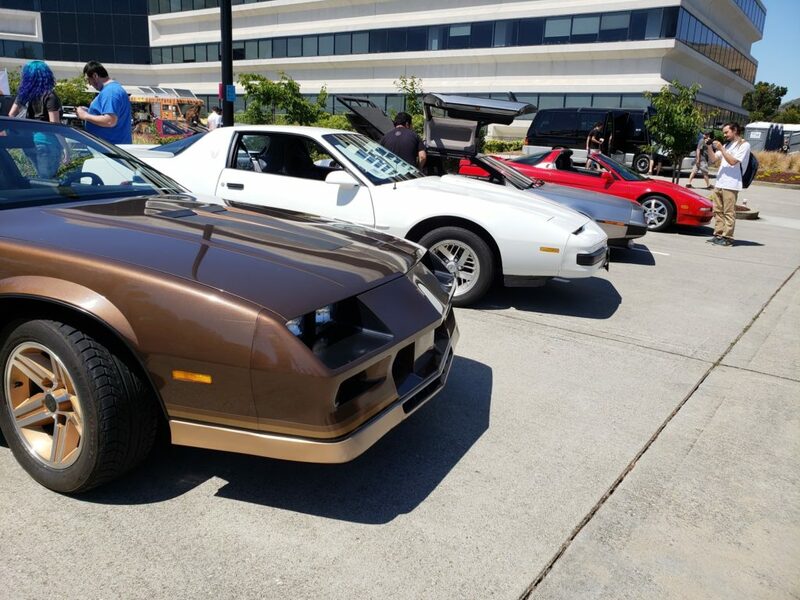 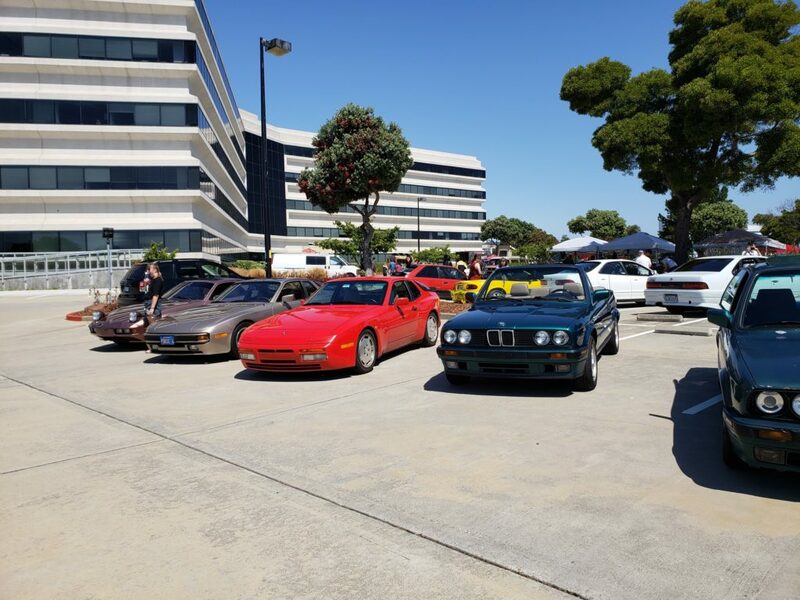 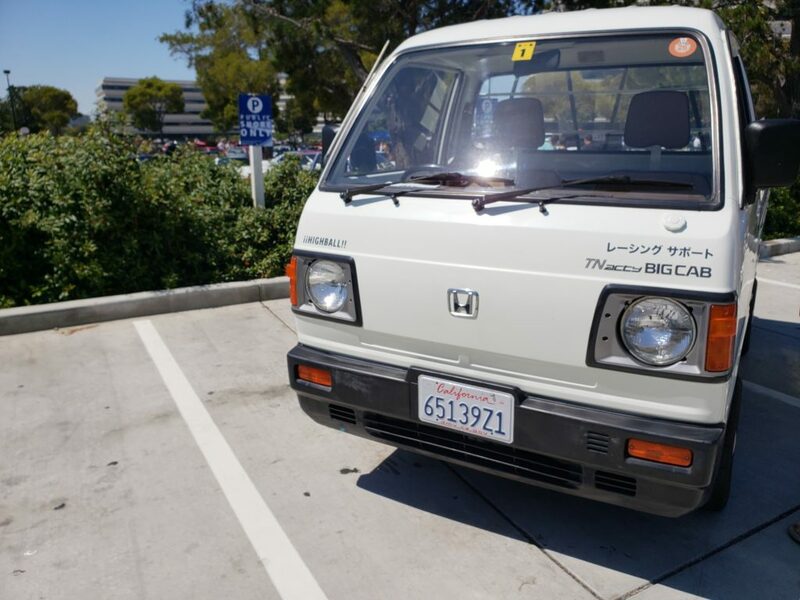 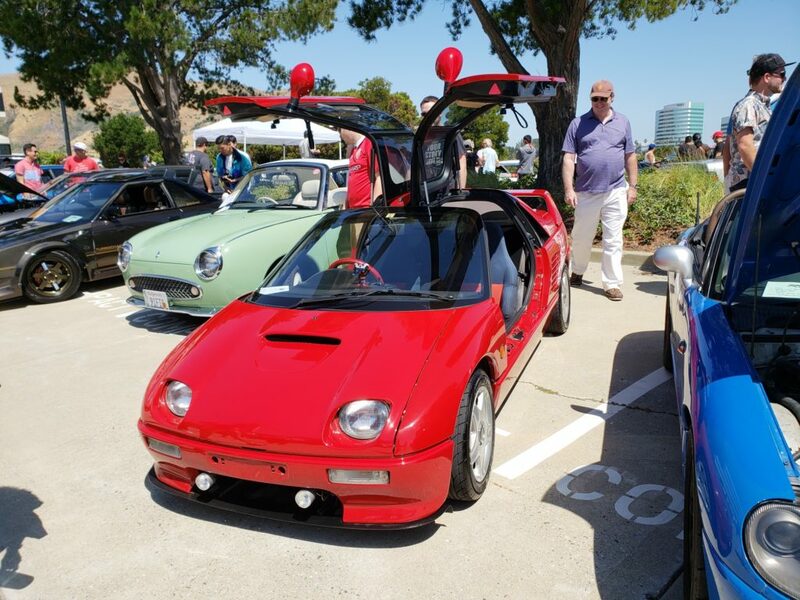 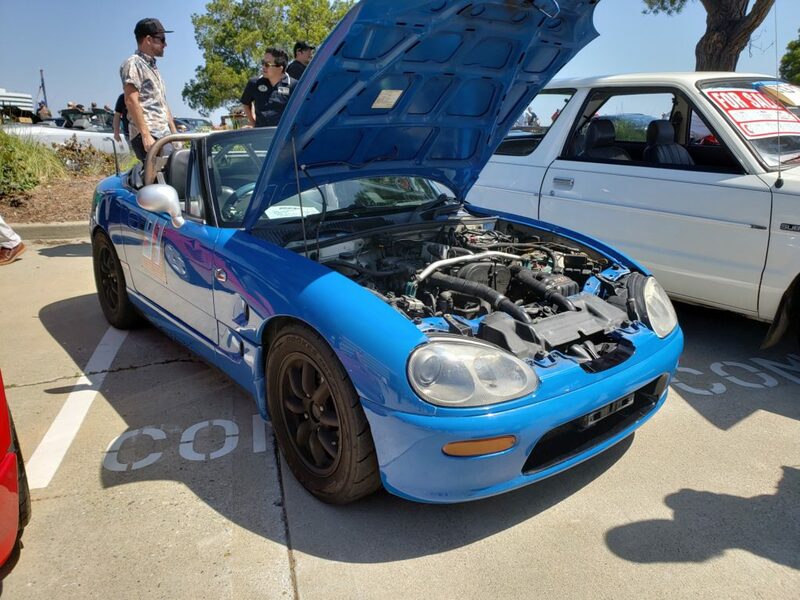 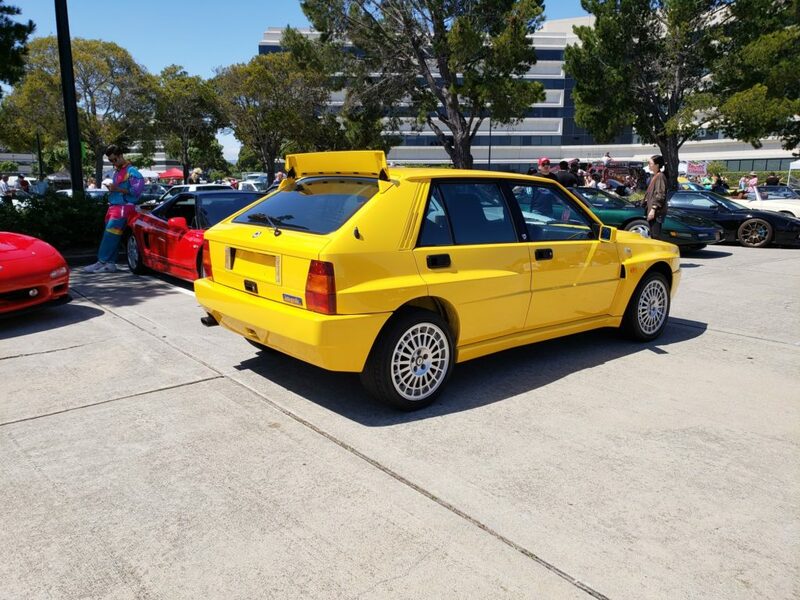 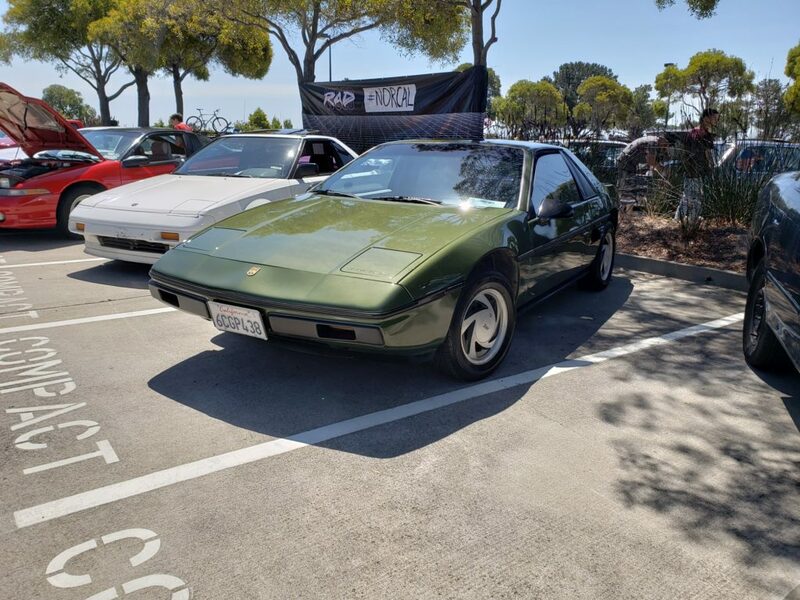 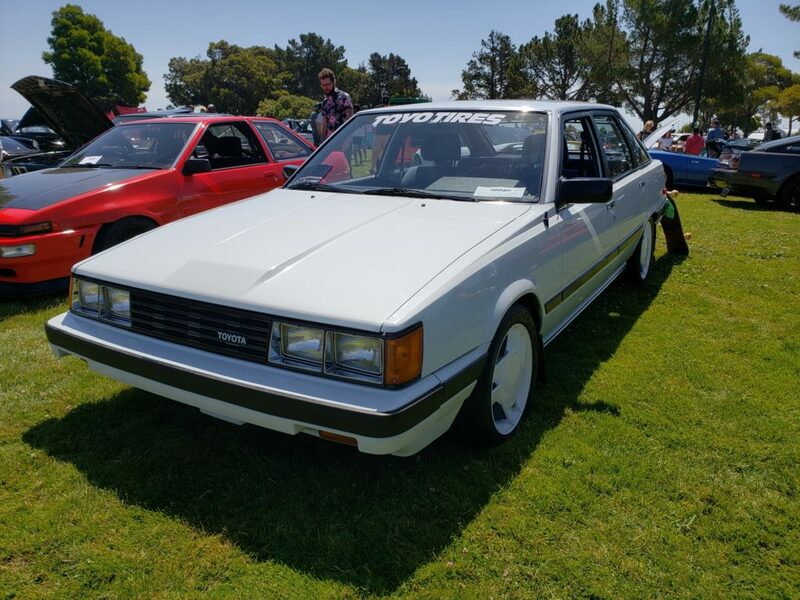 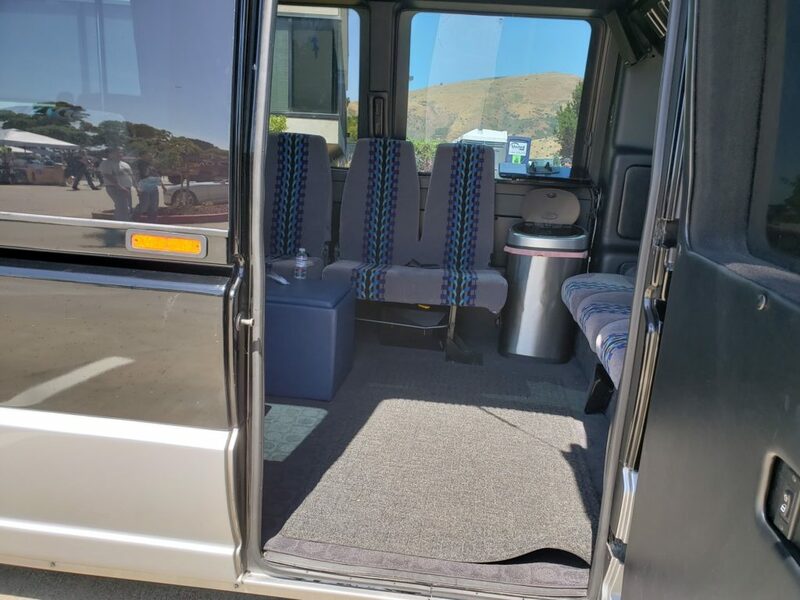 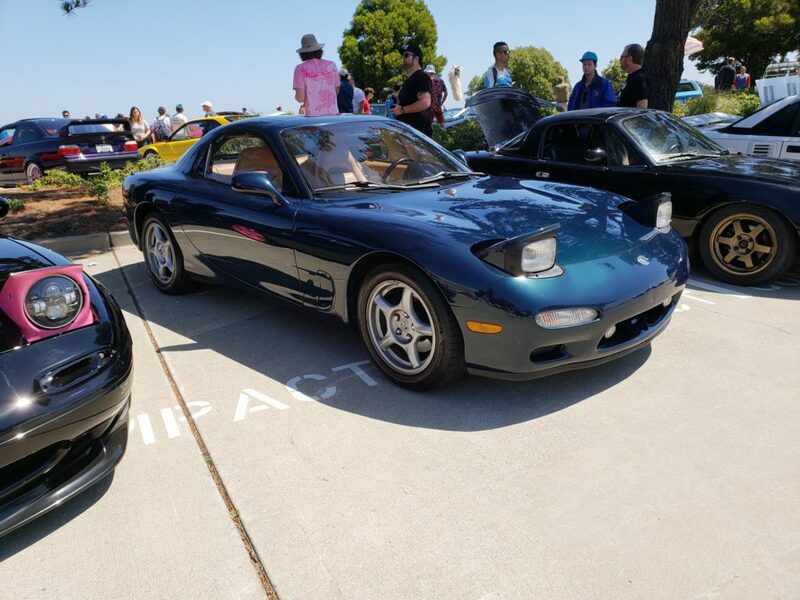 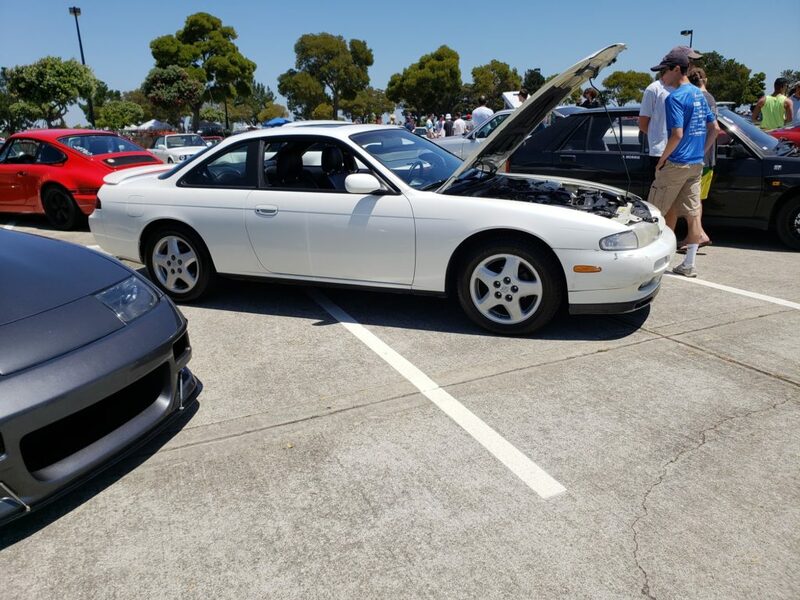 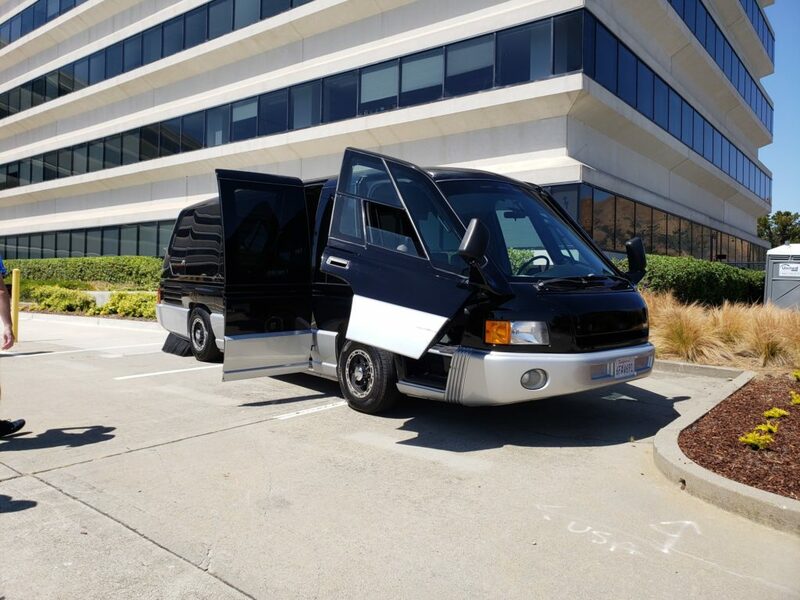 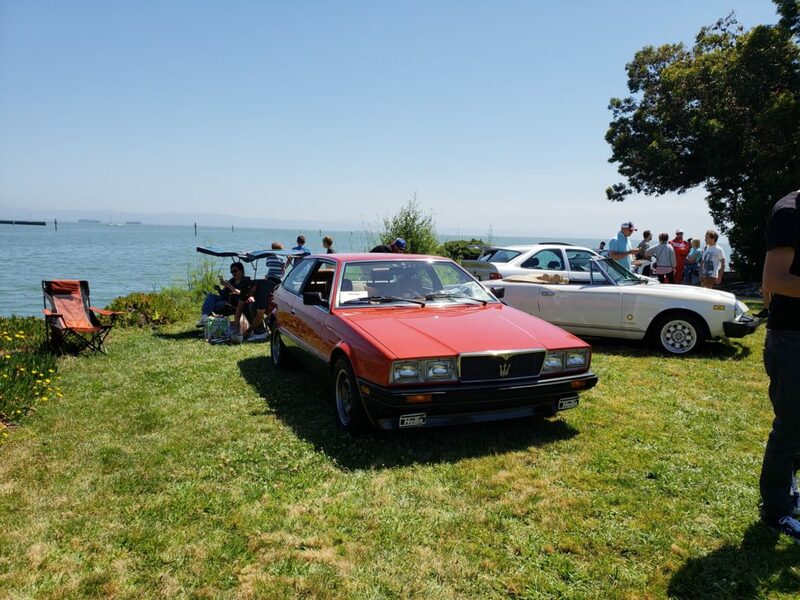 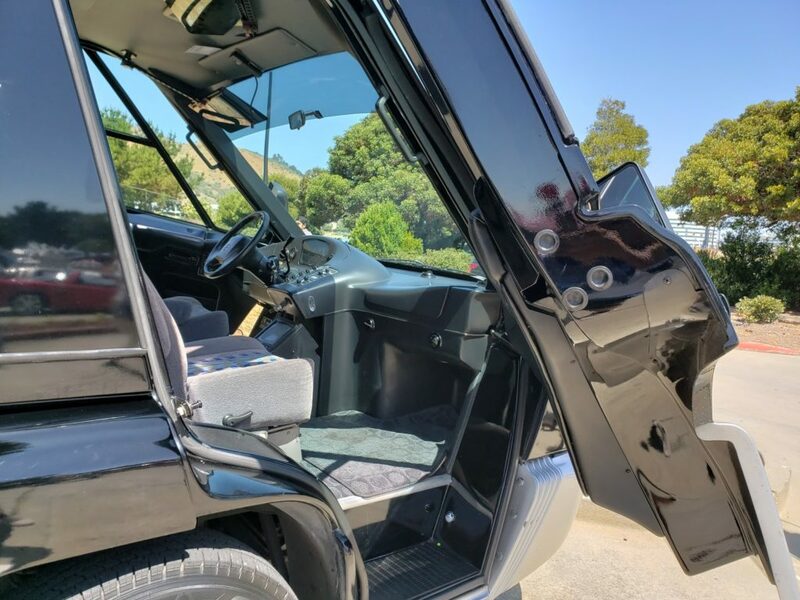 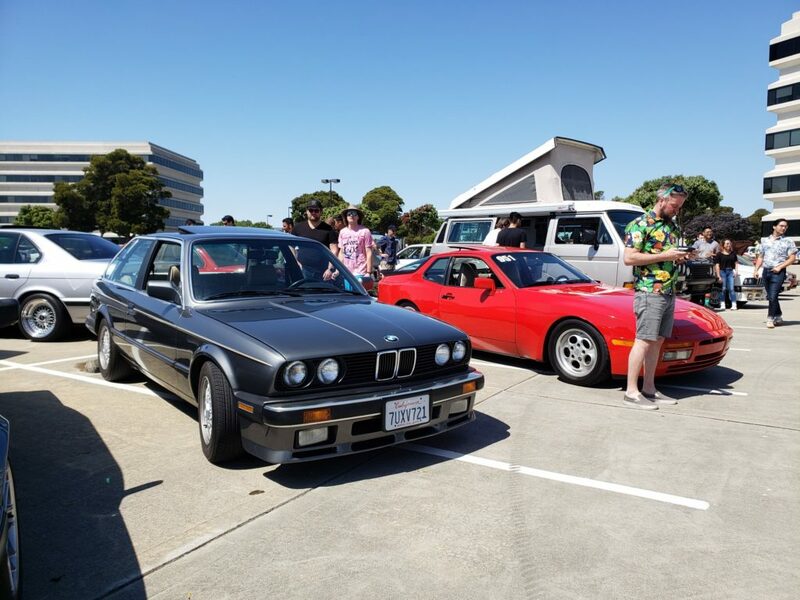 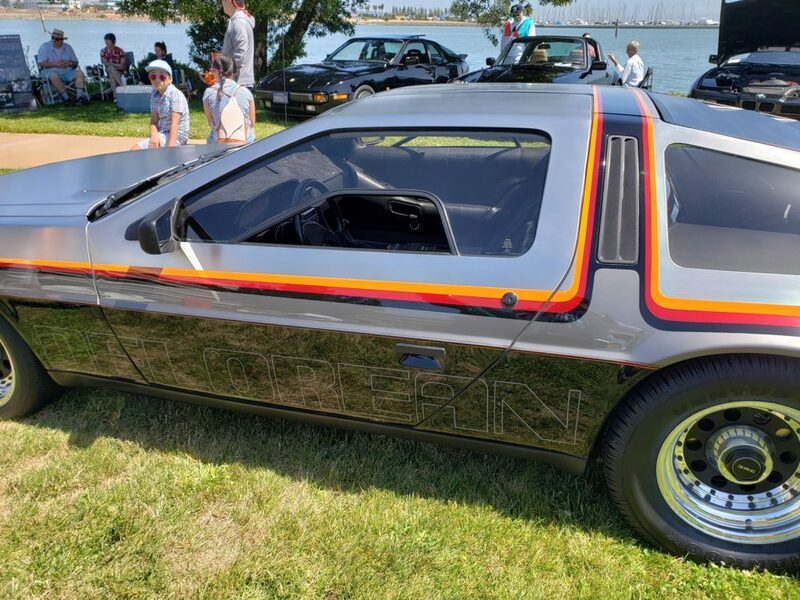 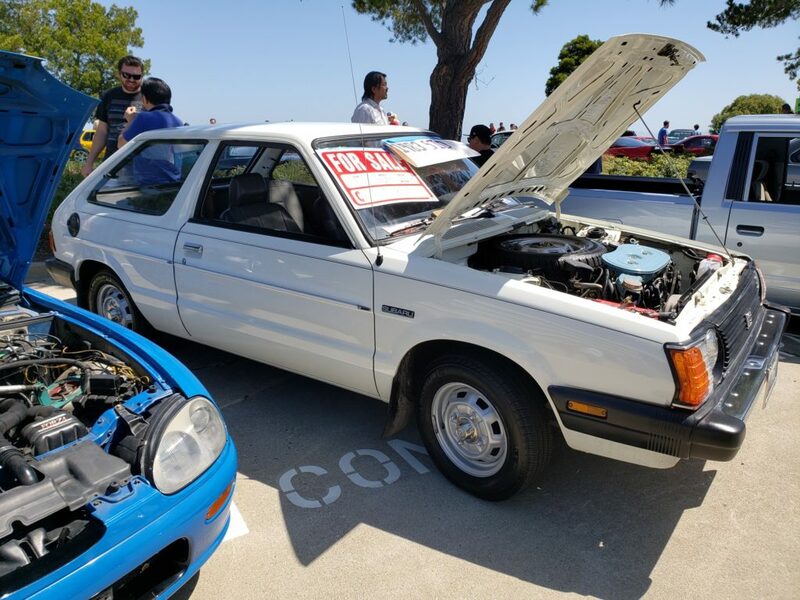 This entry was posted in blog, Carshop Friend, events, history, magazines, Owners, parts, wandering leopard, Write up and tagged 80s, 90s, drivingwhileawesome, radwood, redstartracing. 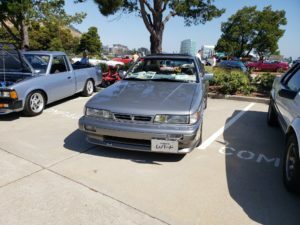 ← 1/24 scale Nissan Leopard Abunai Deka Port 302 scale model.